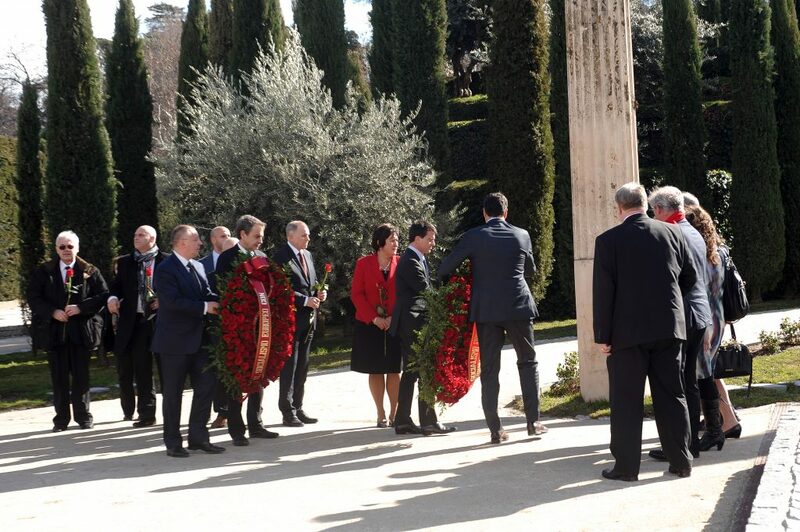 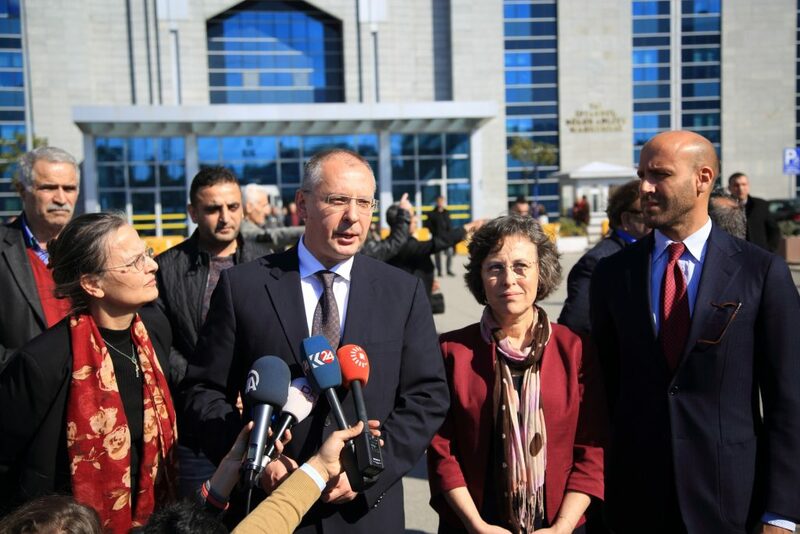 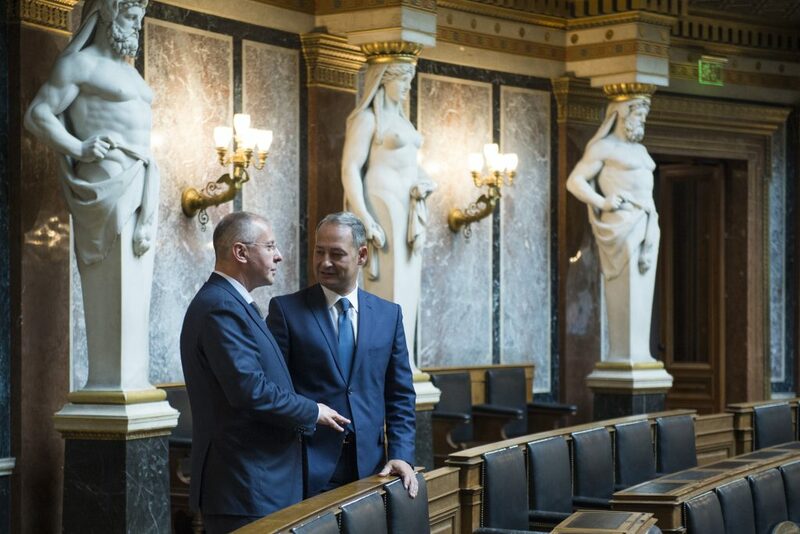 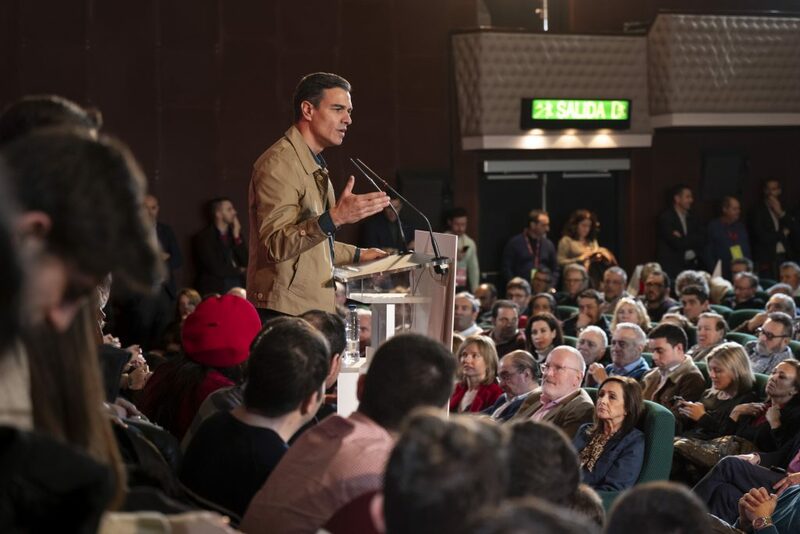 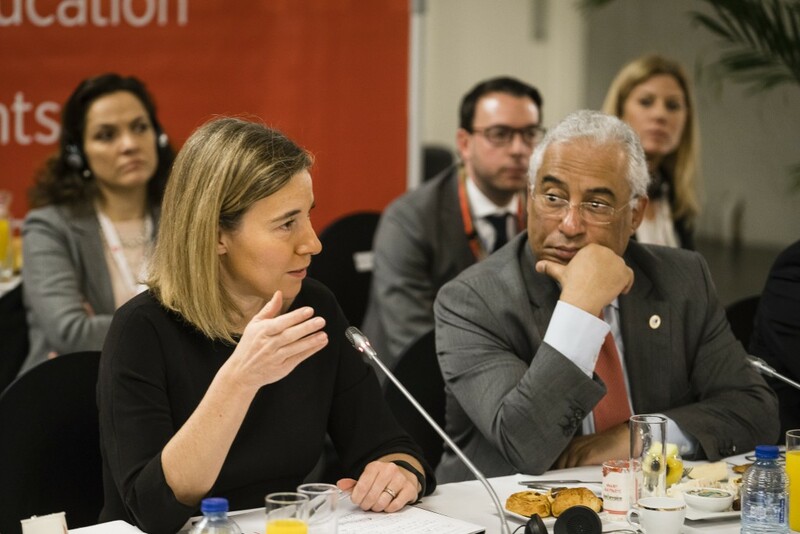 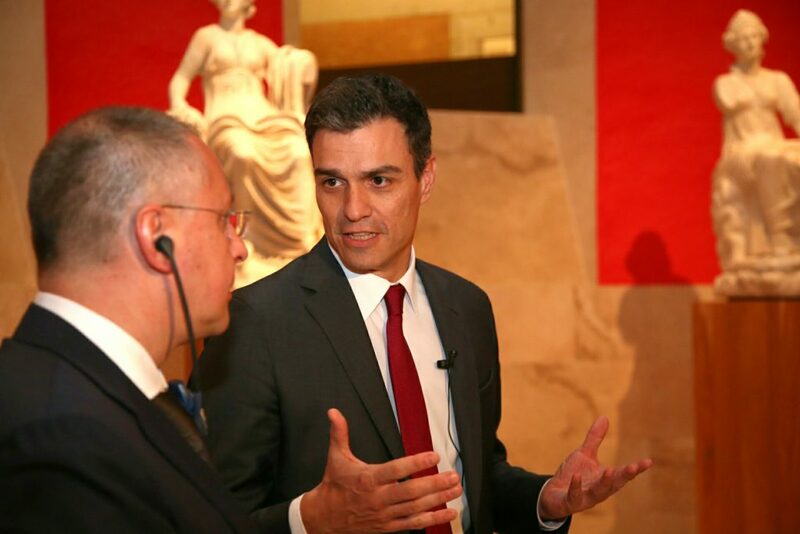 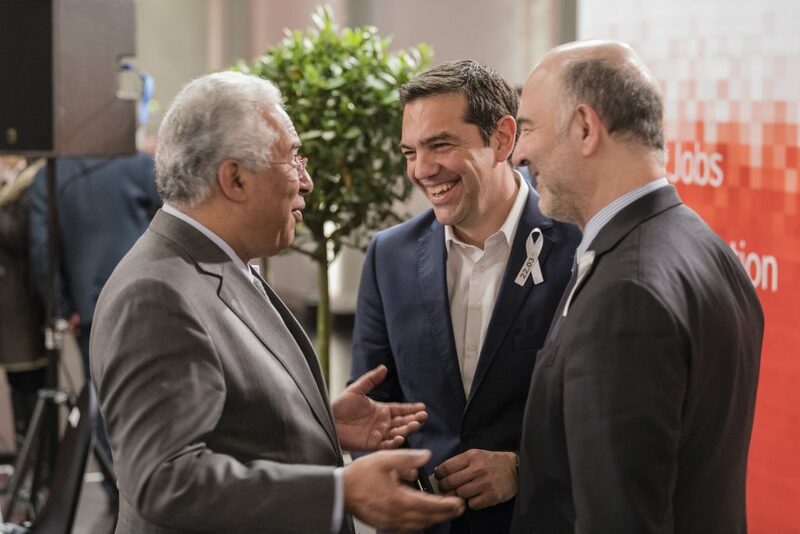 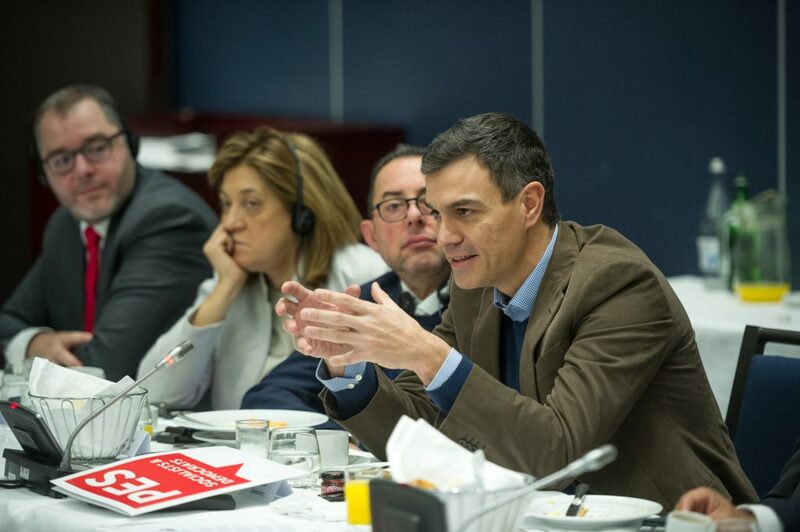 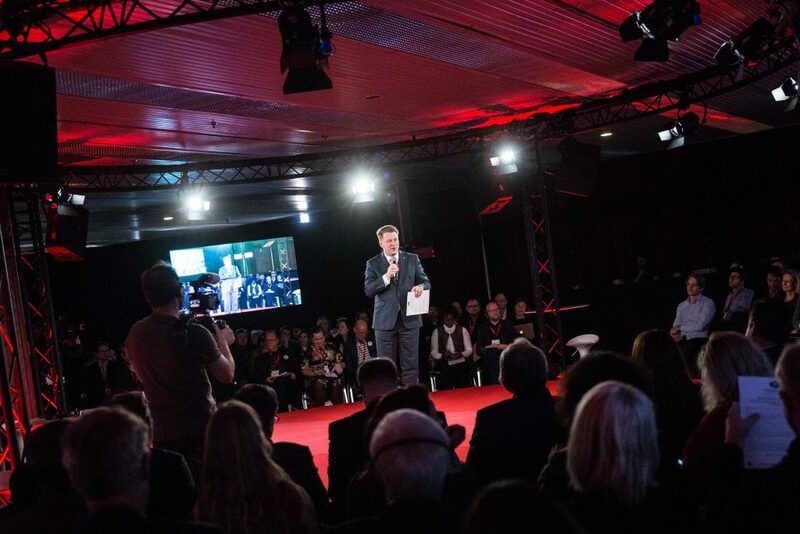 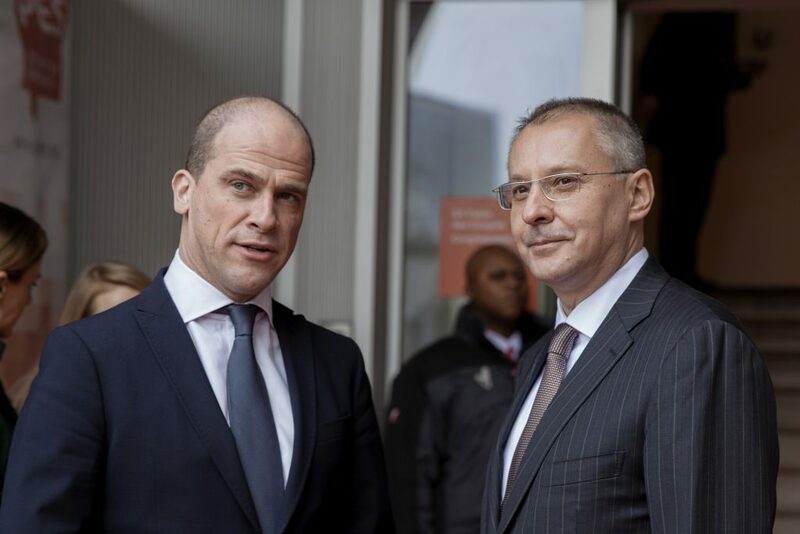 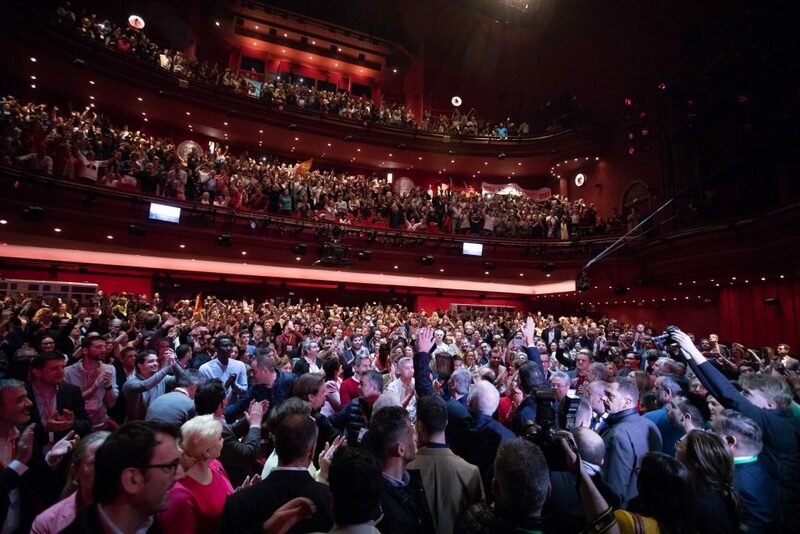 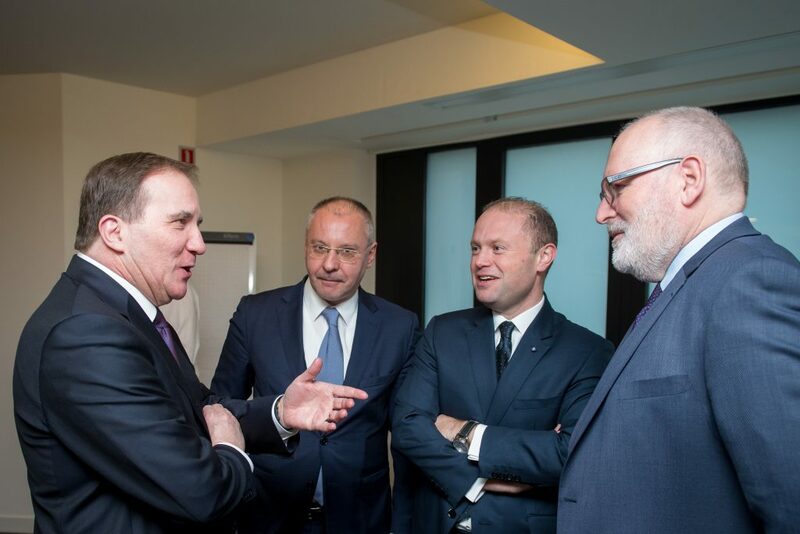 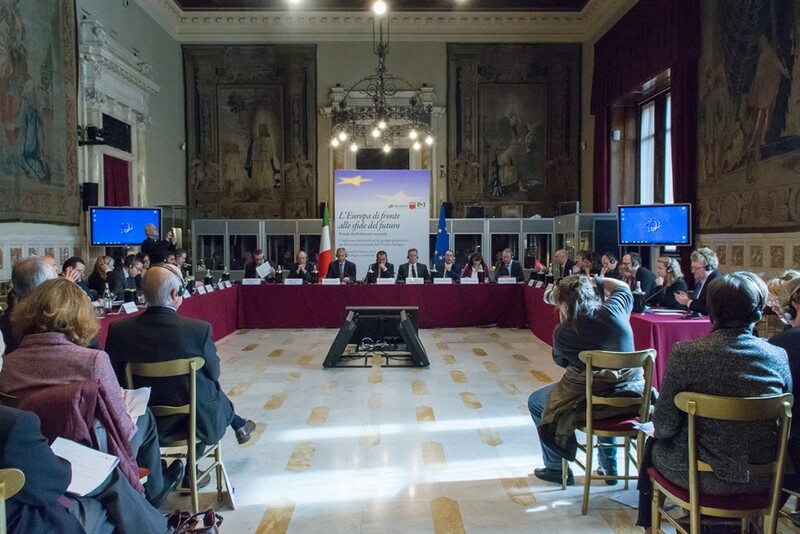 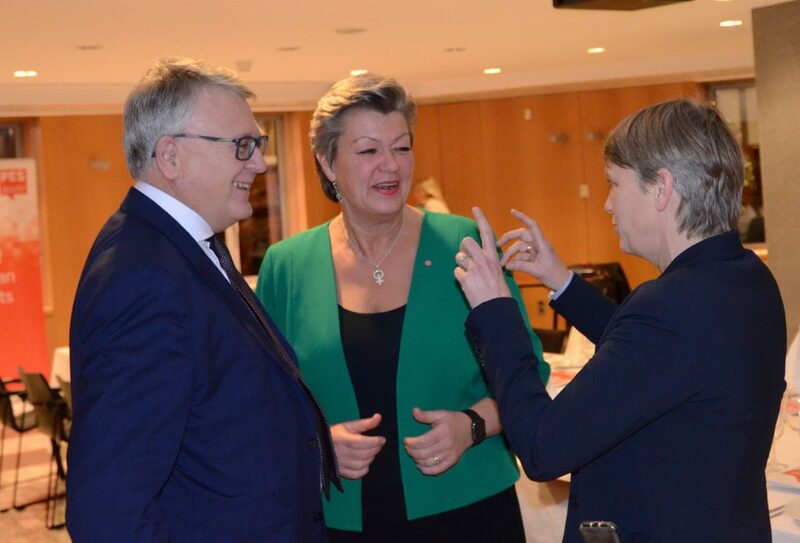 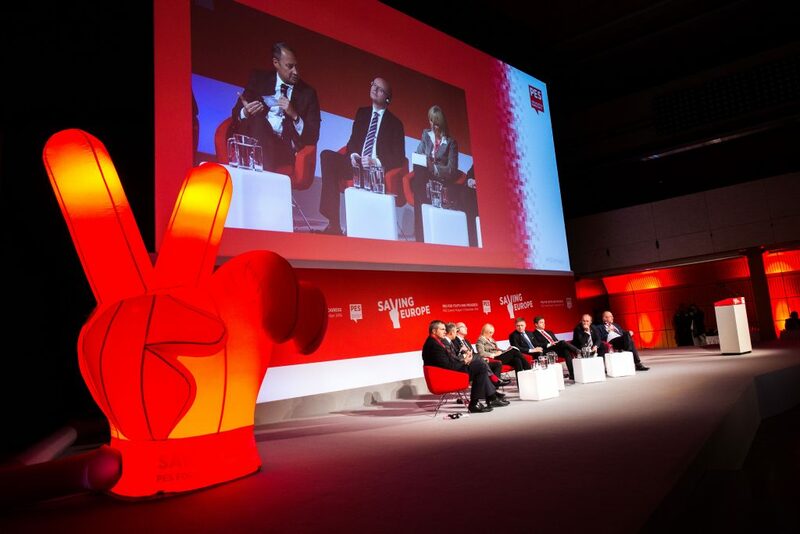 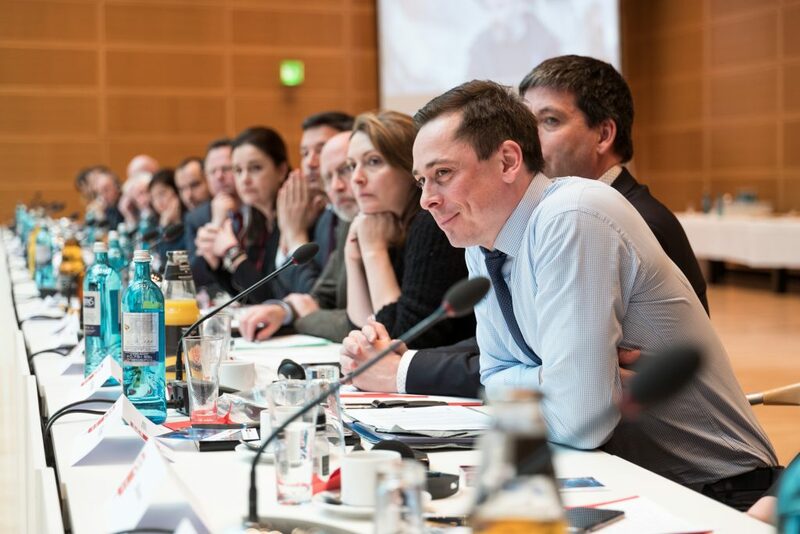 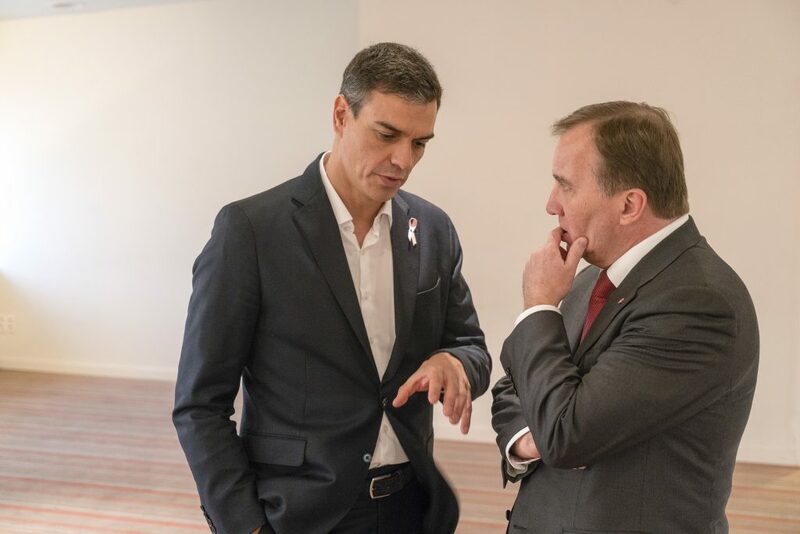 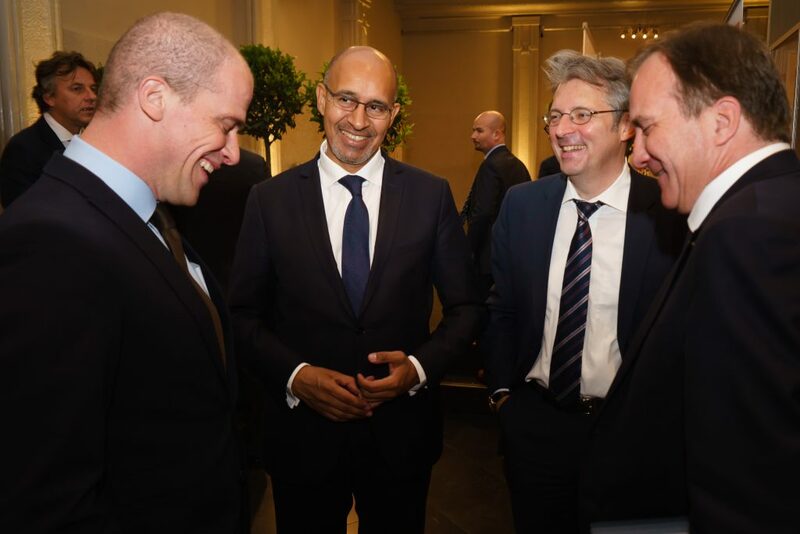 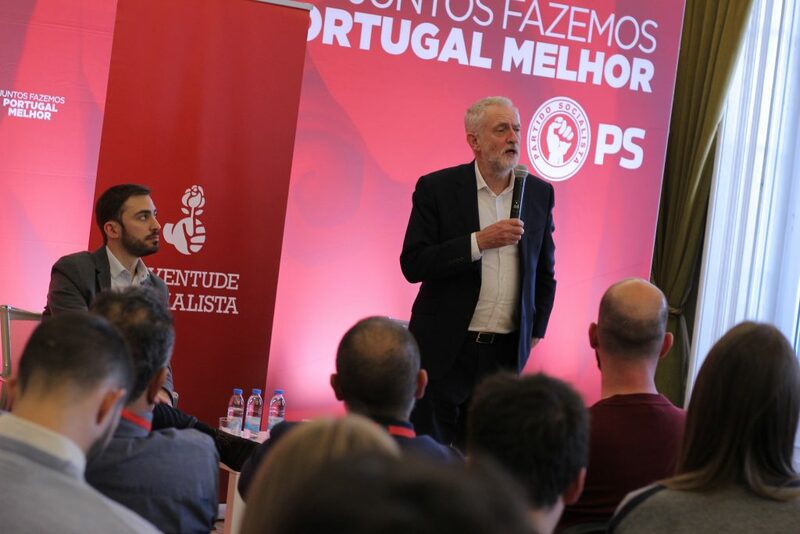 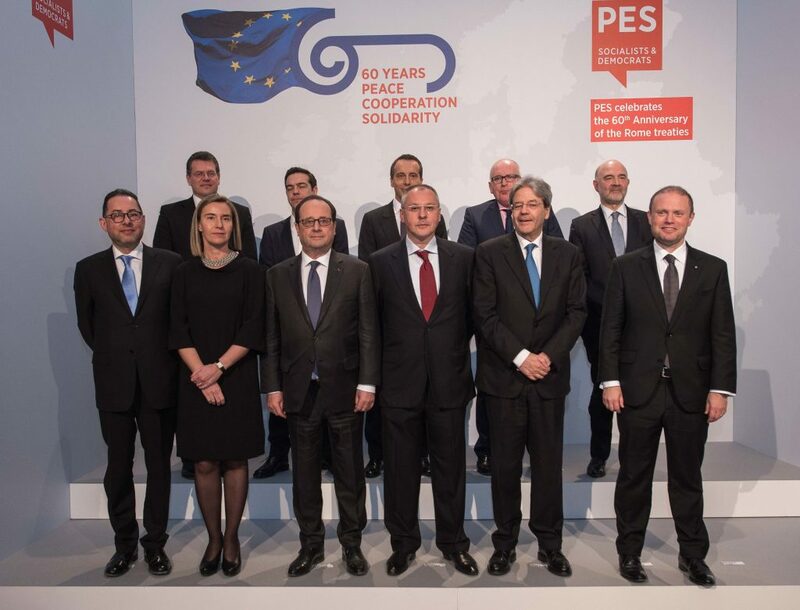 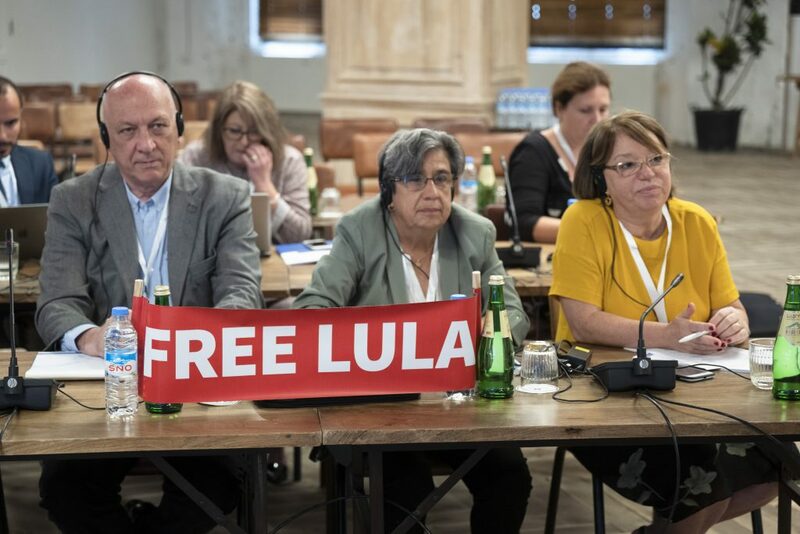 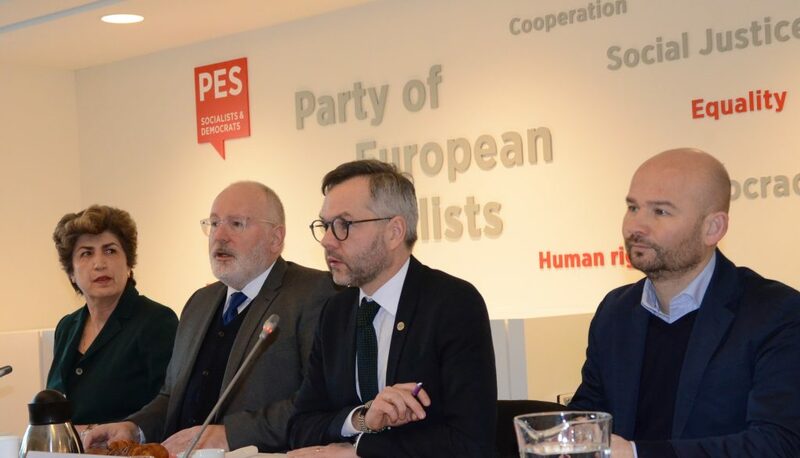 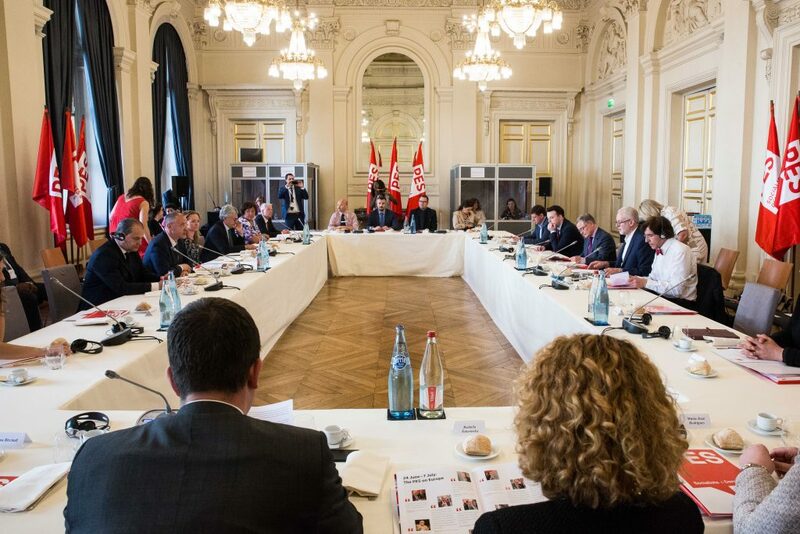 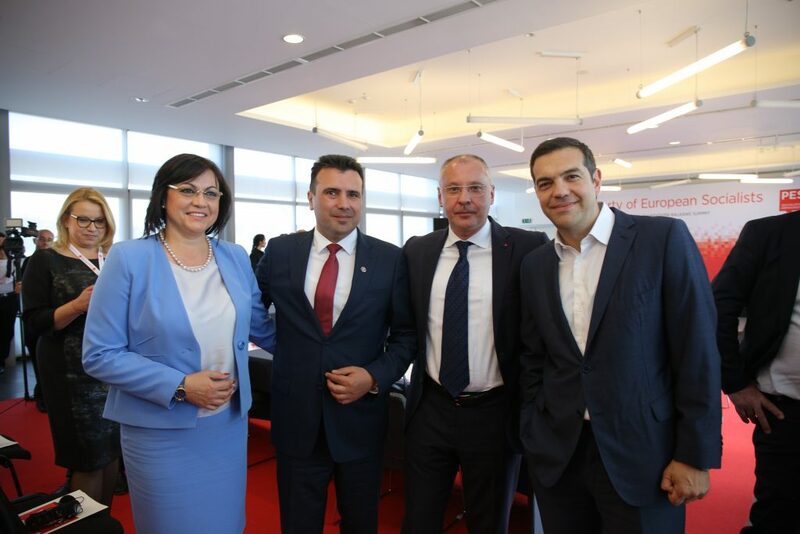 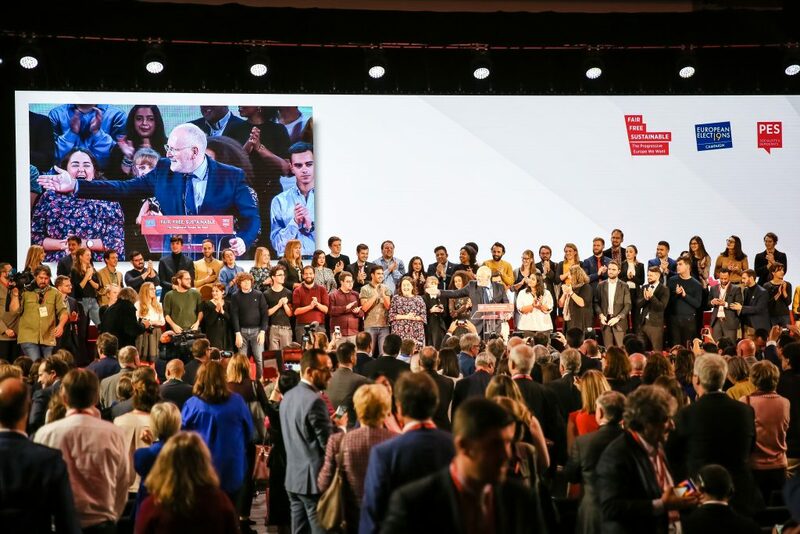 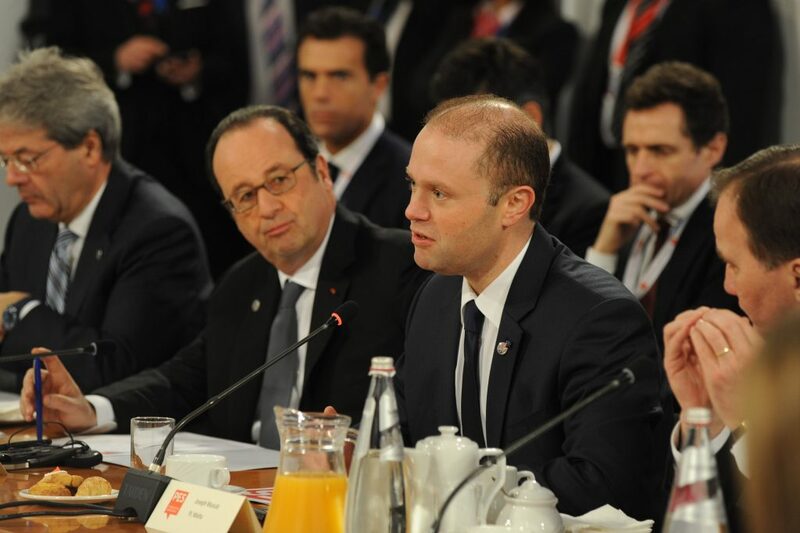 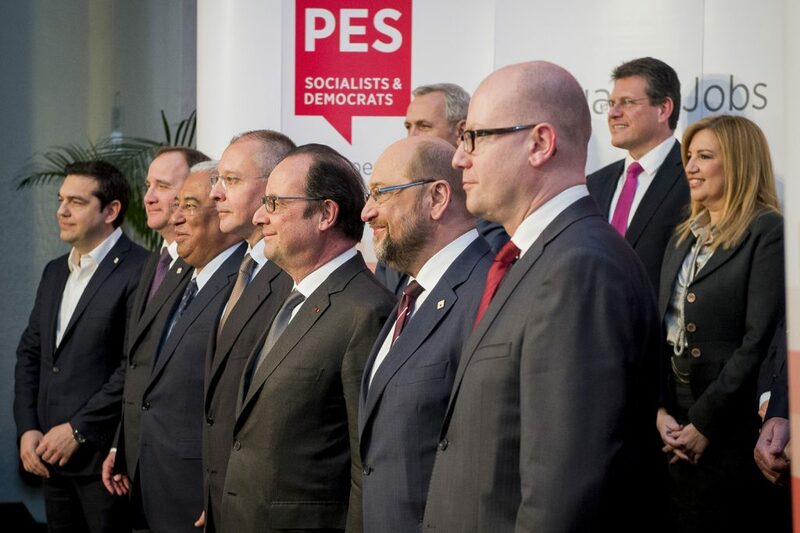 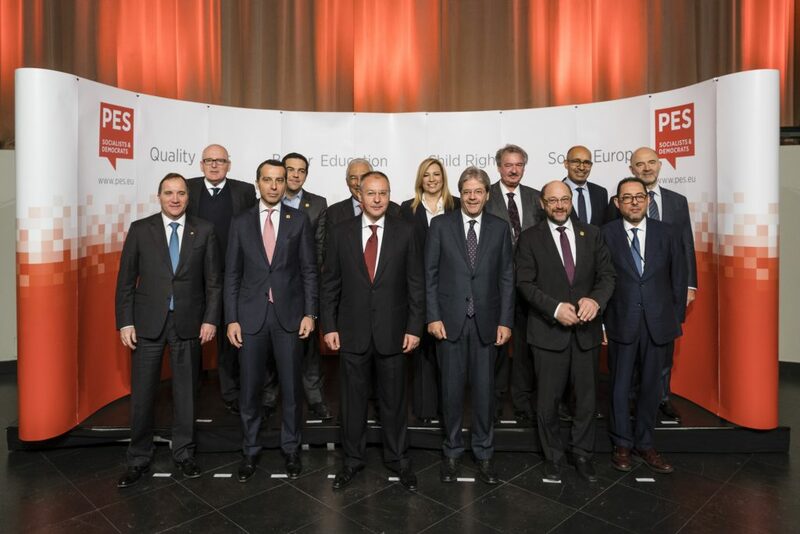 PES Prime Ministers and Leaders meeting, 21 March 2019. 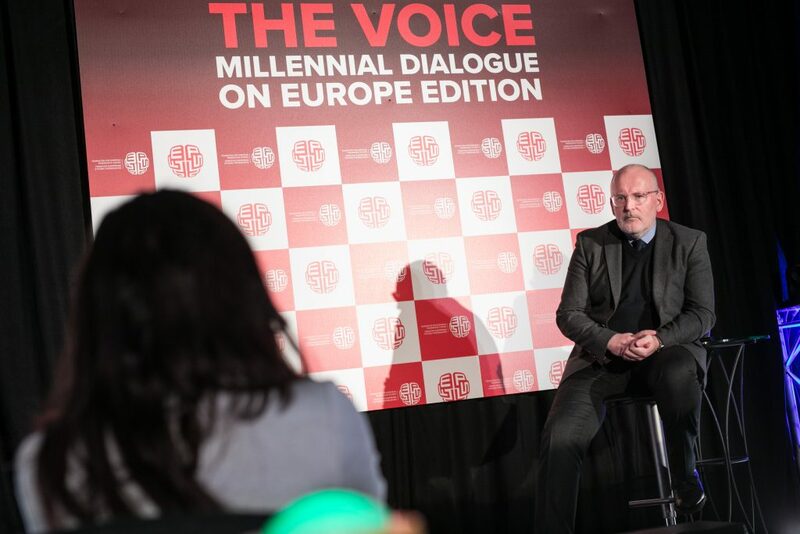 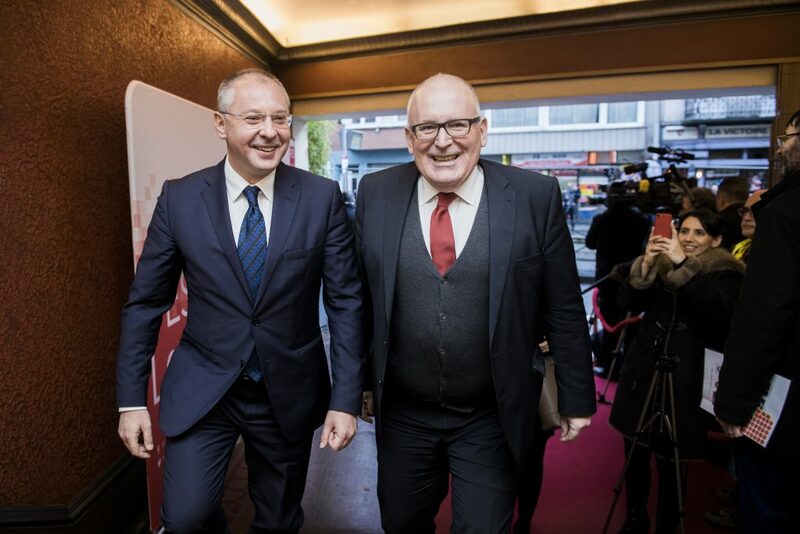 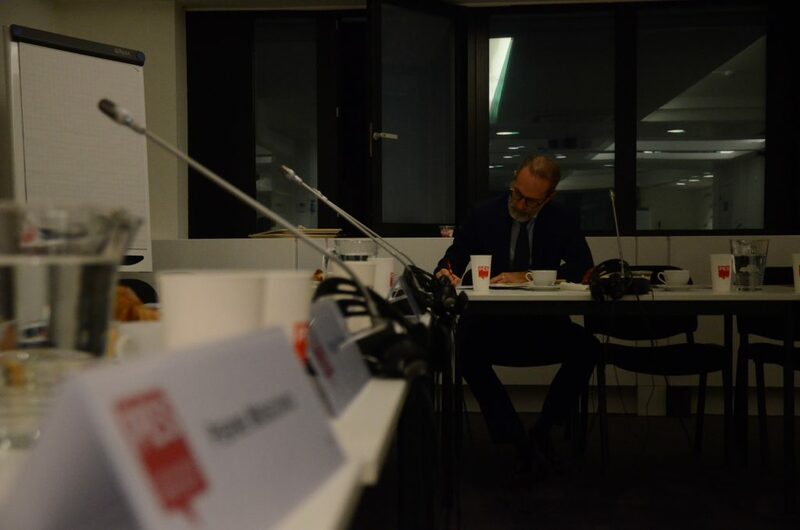 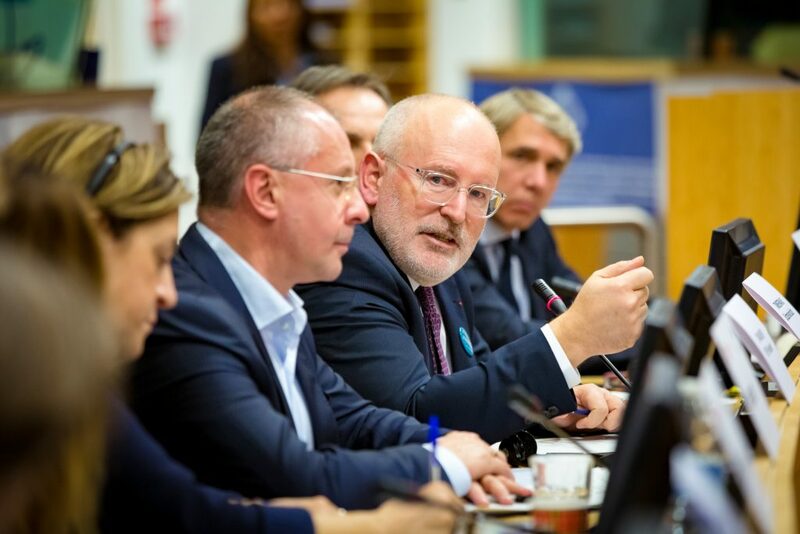 PES Common Candidate Frans Timmermans at FEPS New Year’s reception “THE VOICE: Millennial Dialogue on Europe edition”. 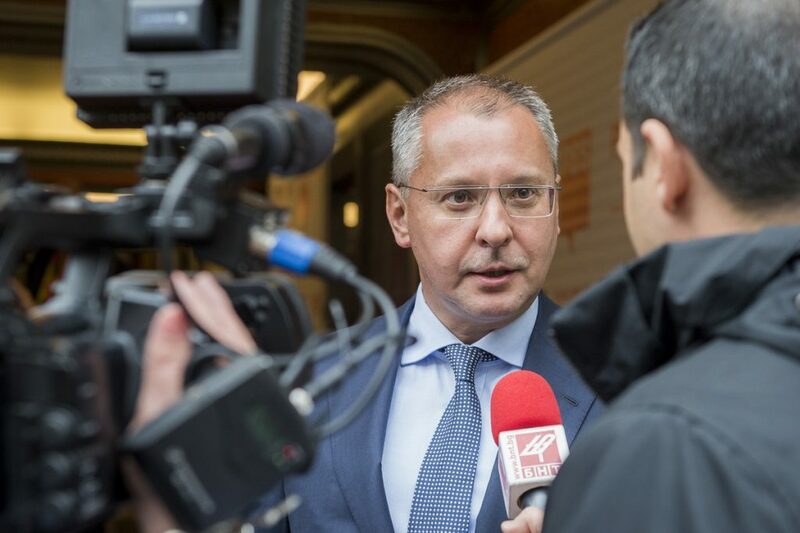 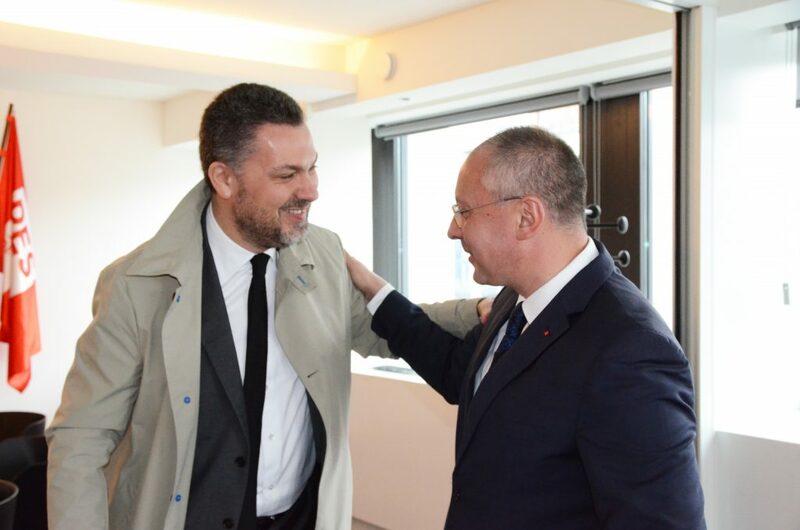 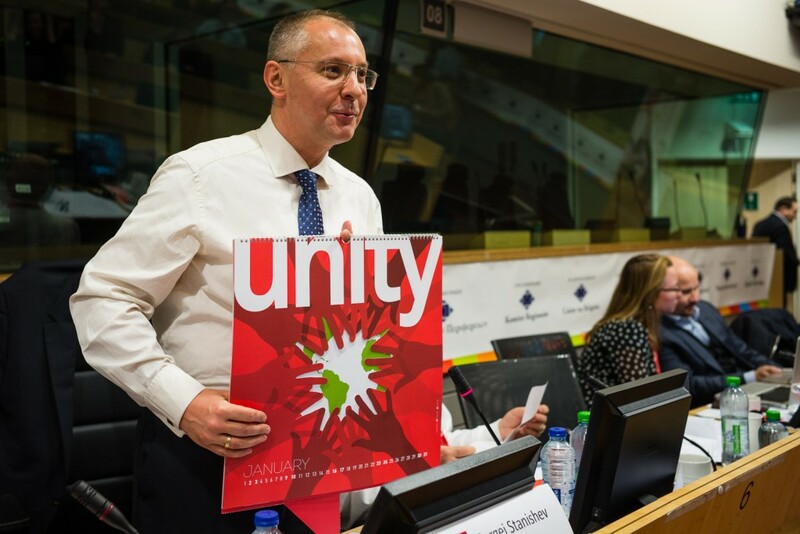 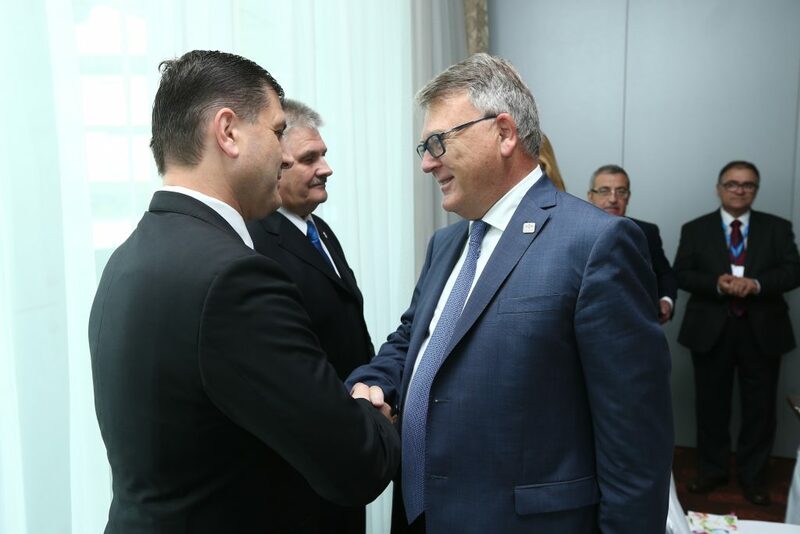 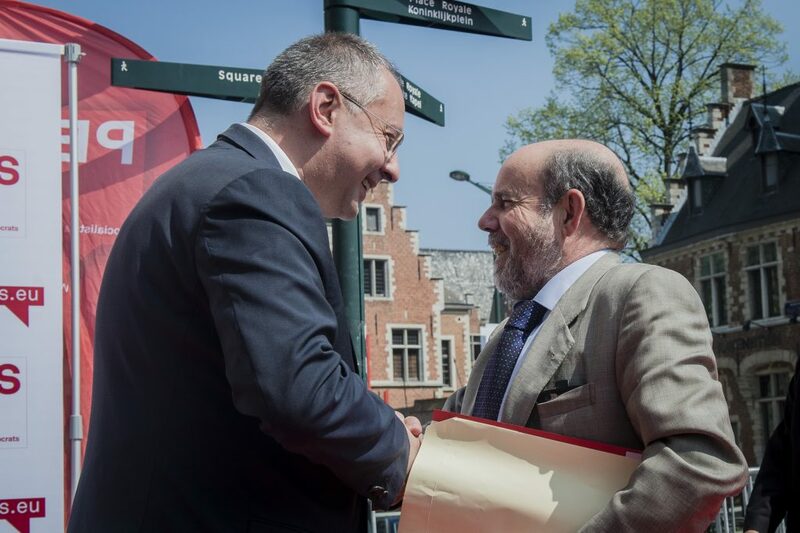 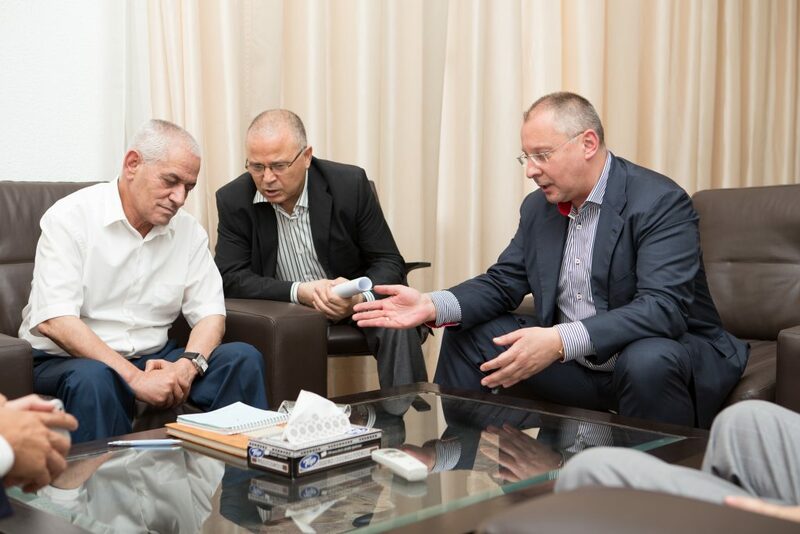 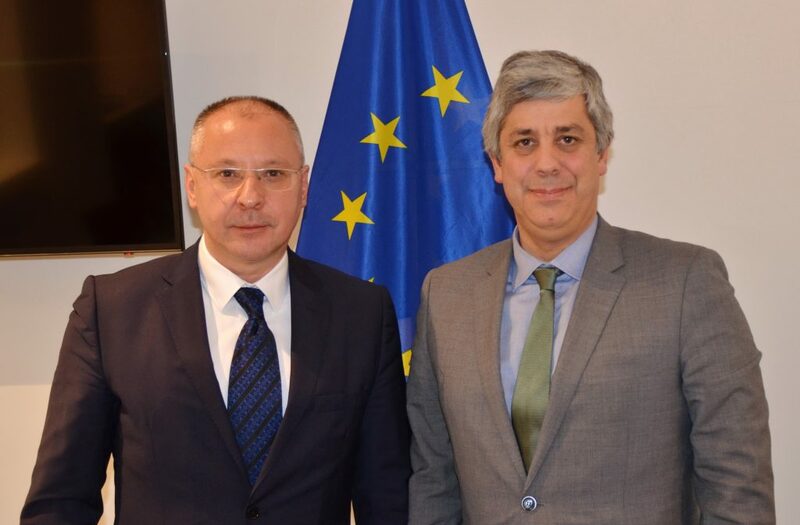 PES president Stanishev meets ETUC Secretary General Luca Visentini on 24 April, 2018. 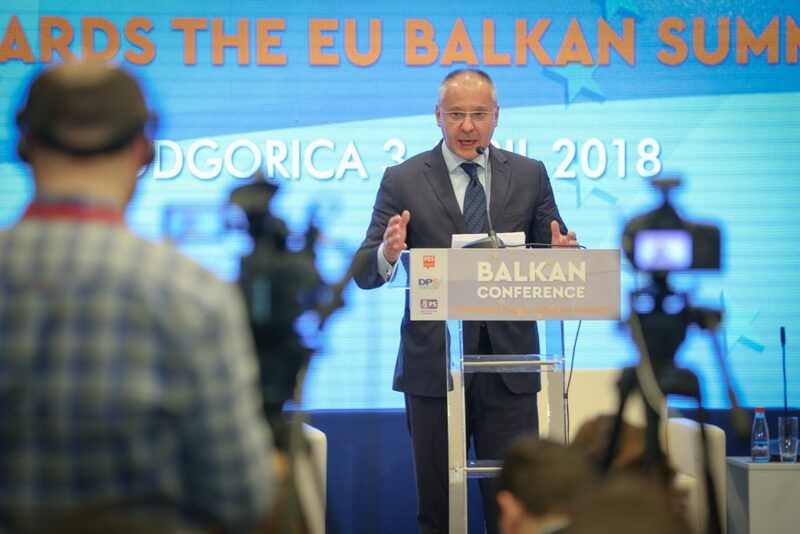 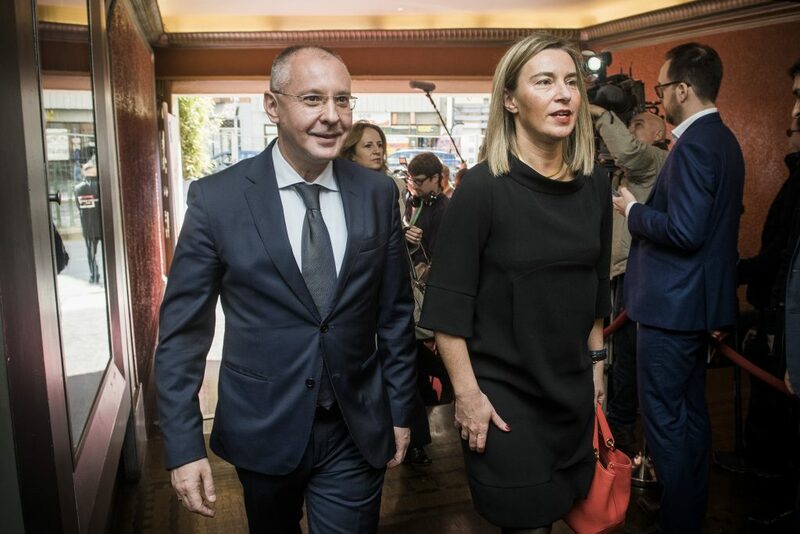 The Western Balkans; place is in the EU. 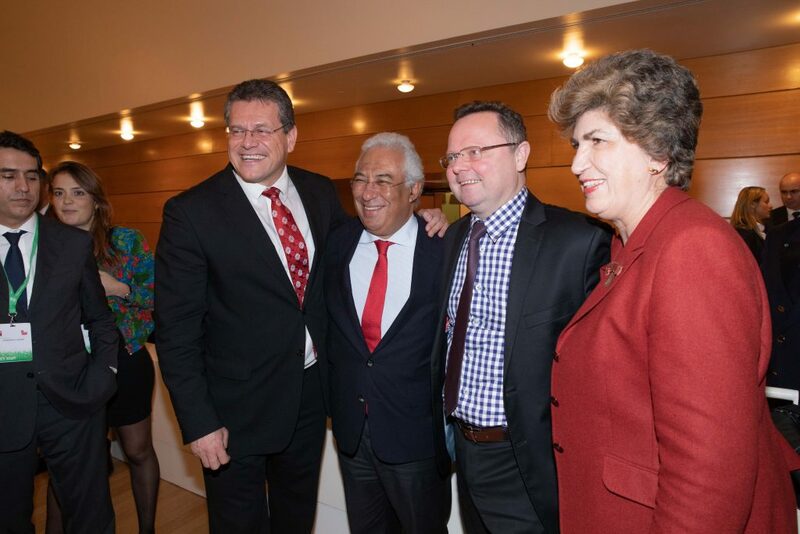 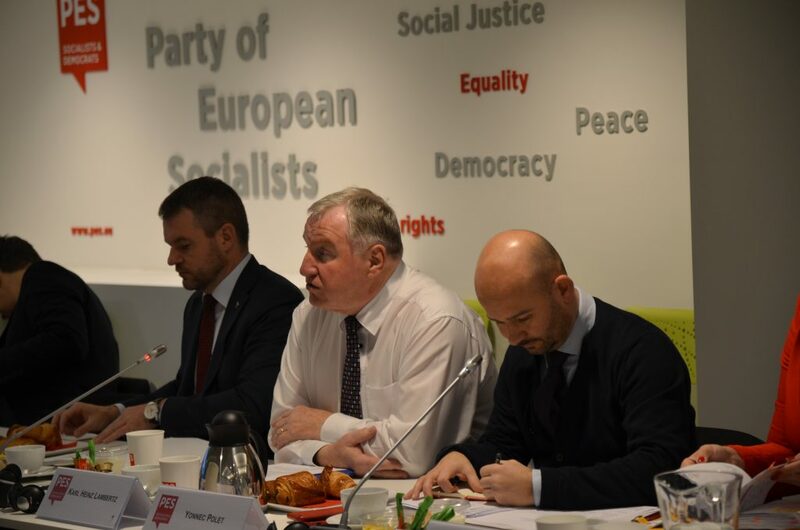 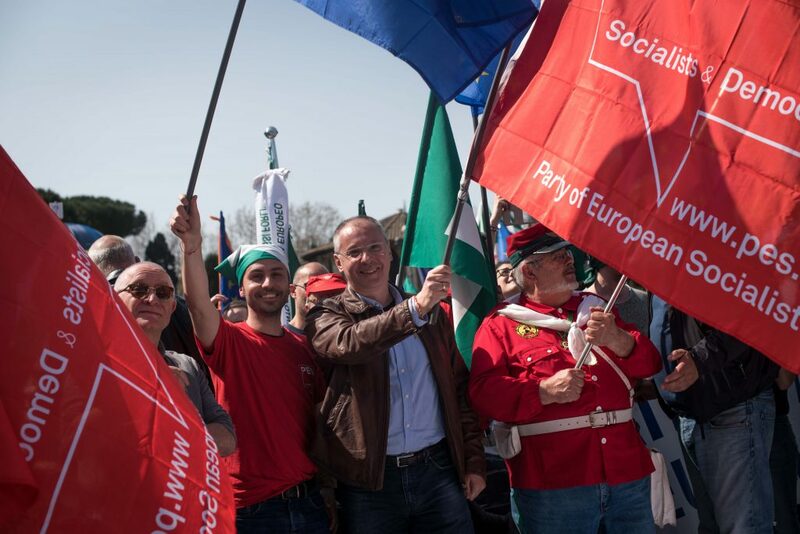 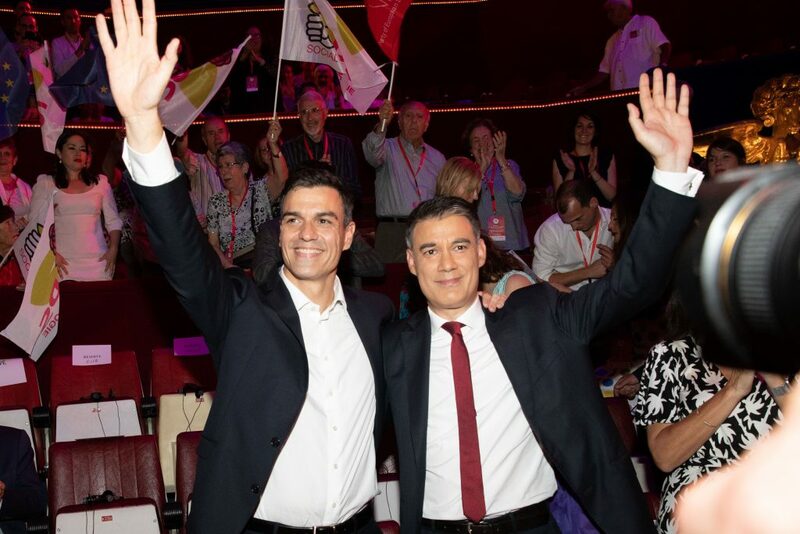 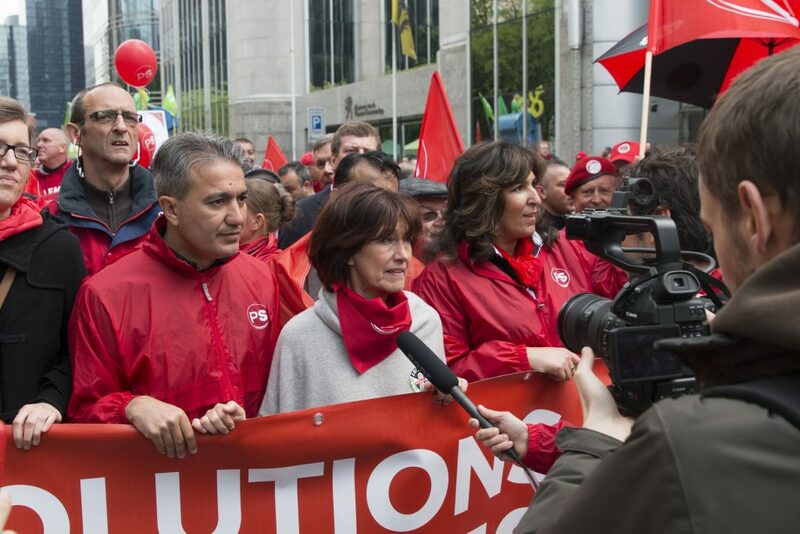 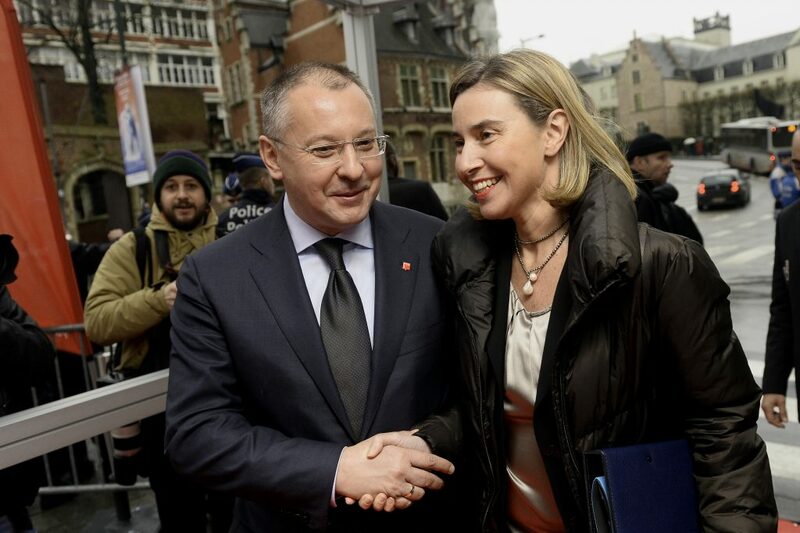 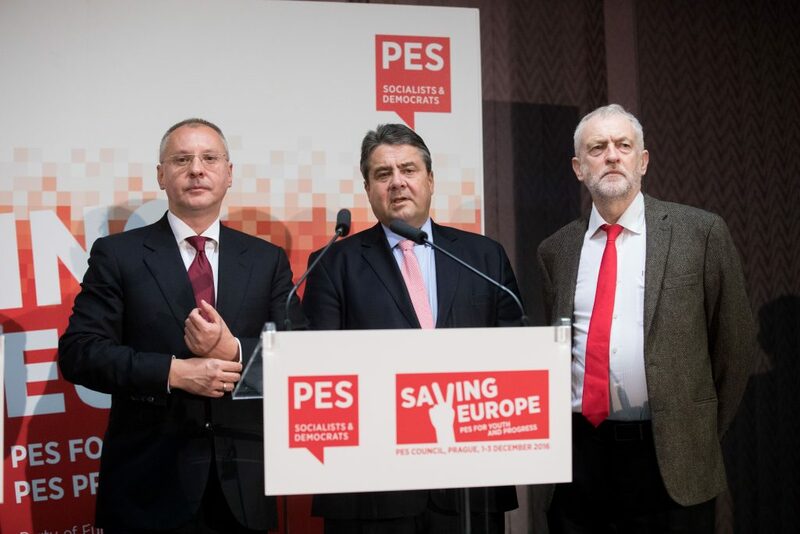 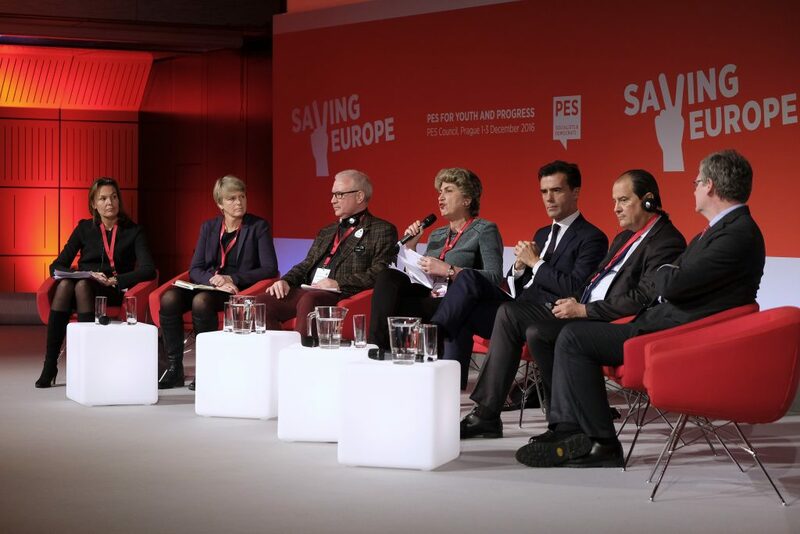 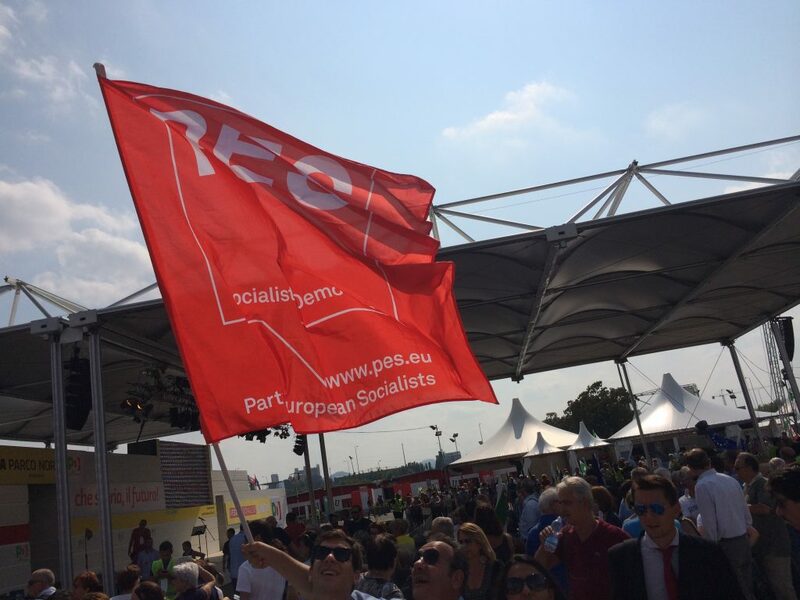 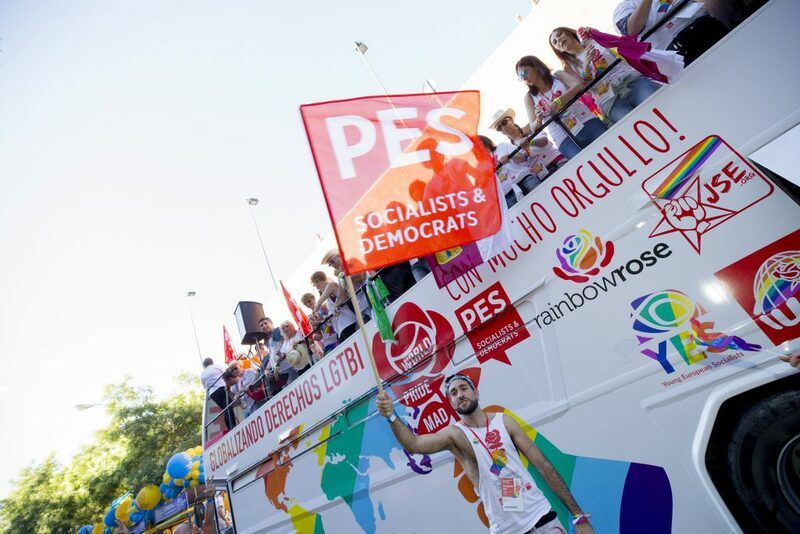 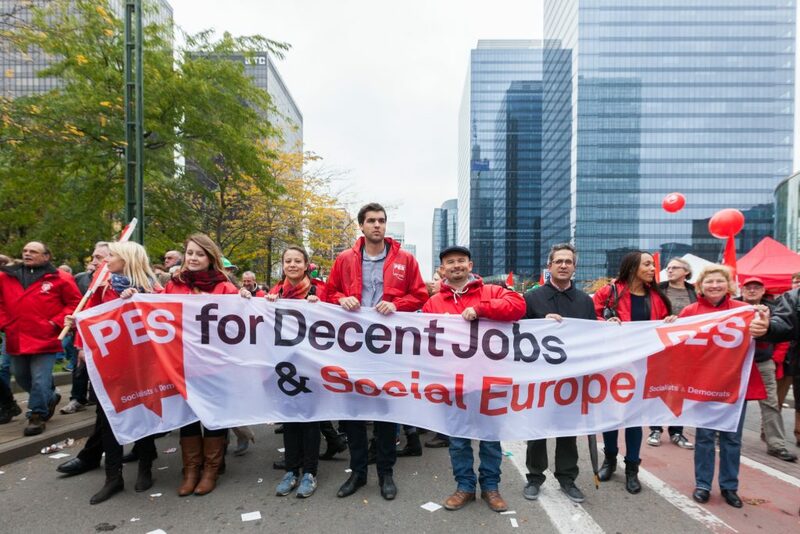 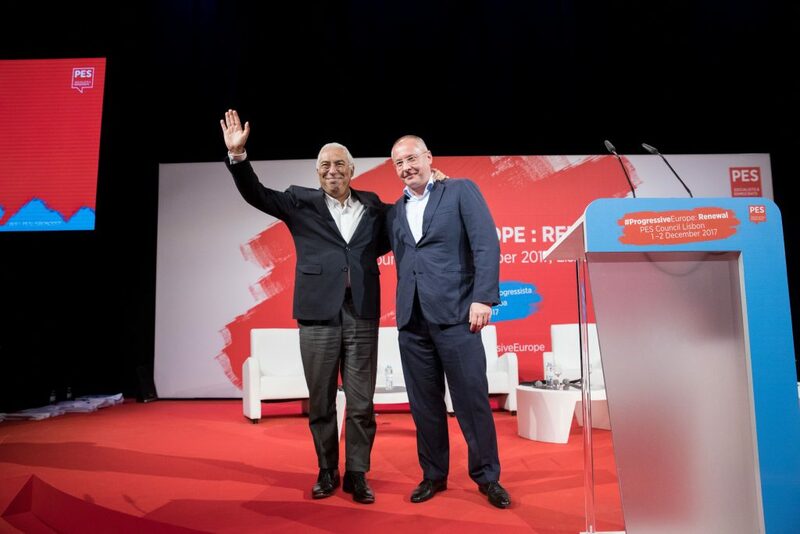 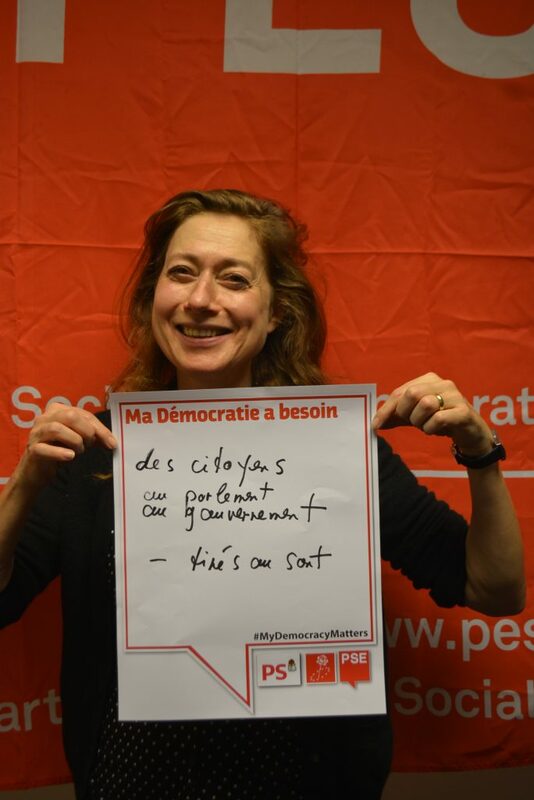 We are join forces with the Socialists & Democrats in the European Parliament for a more progressive Europe. 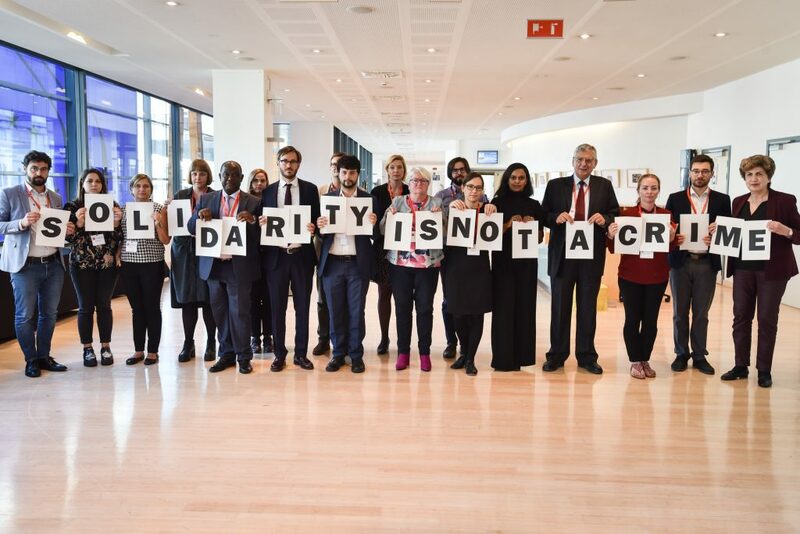 We need to rethink the European Asylum system completely. 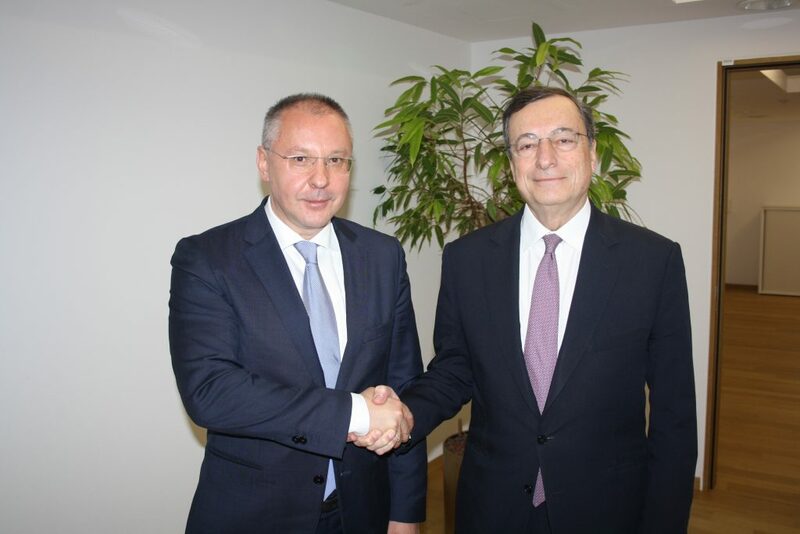 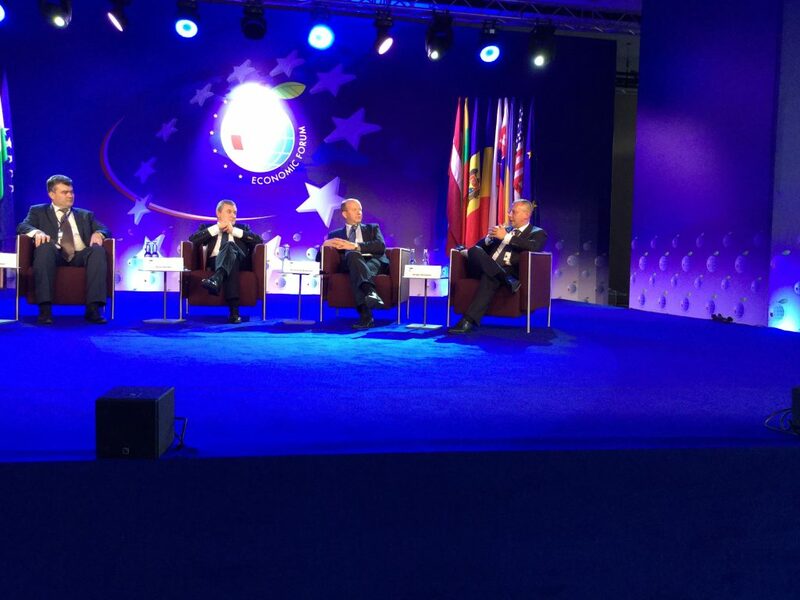 We need to complete the economic and monetary union. 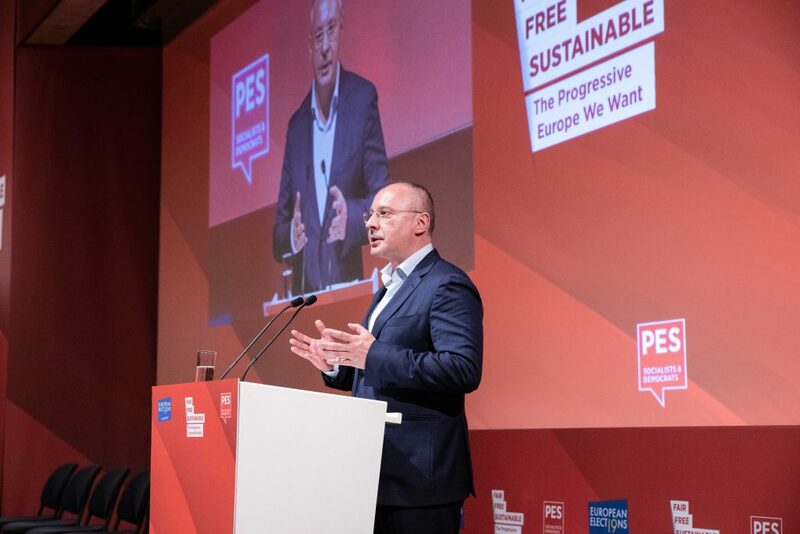 And we have to shape it based on progressive principles. 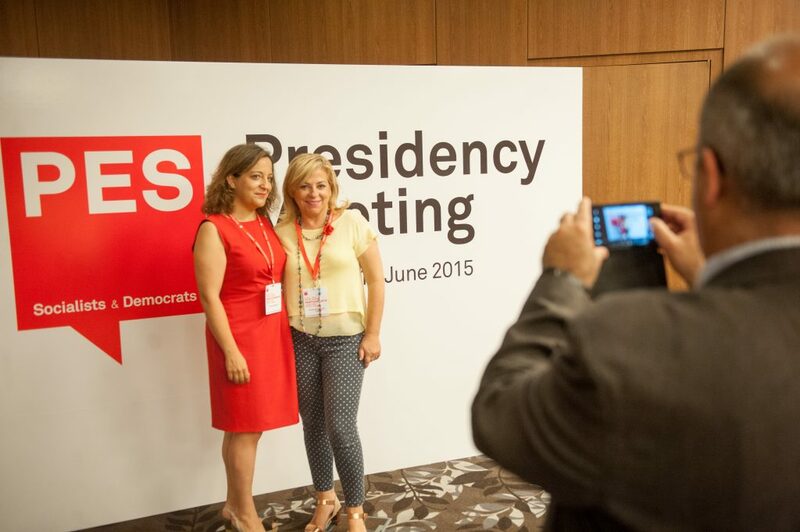 Where our future leaders meet our current leaders. 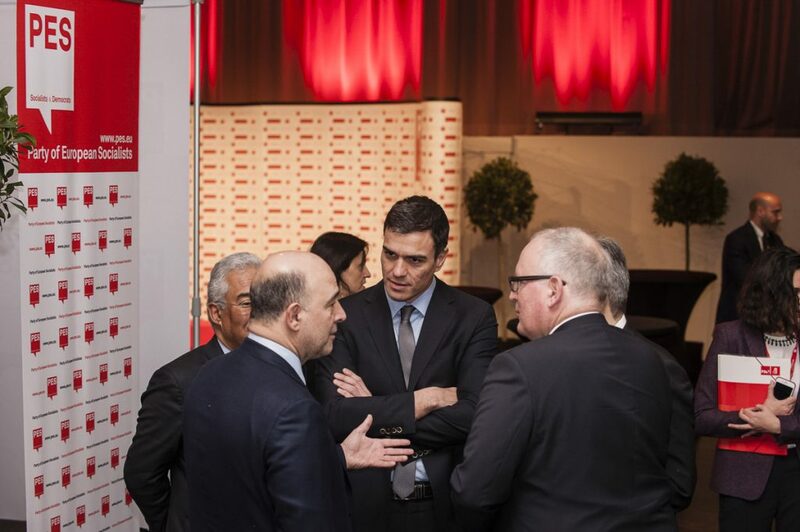 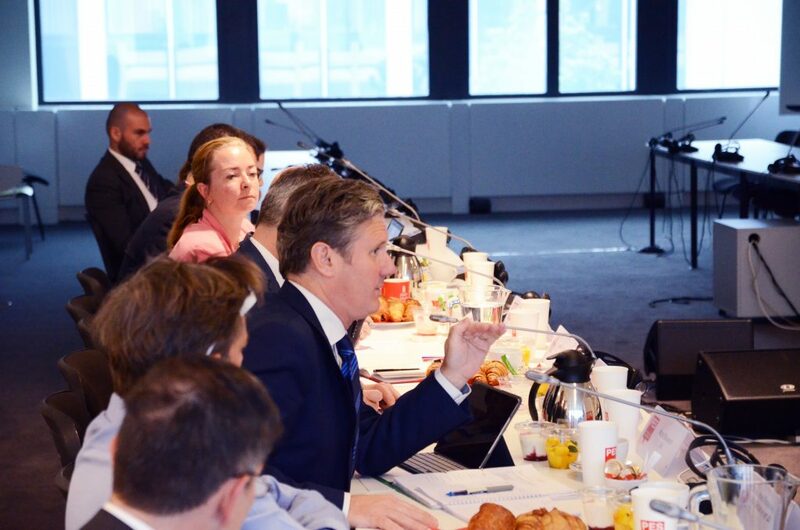 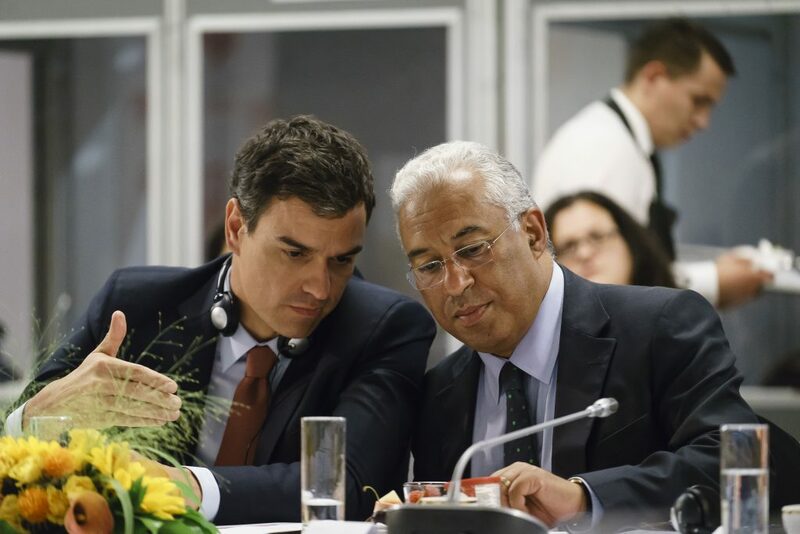 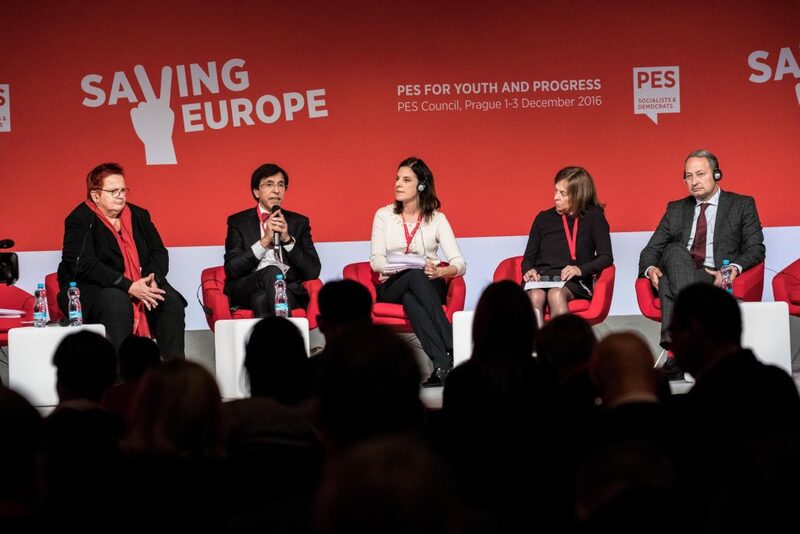 The first PES Ecofin meeting with the Mário Centeno as the President of the Eurogroup. 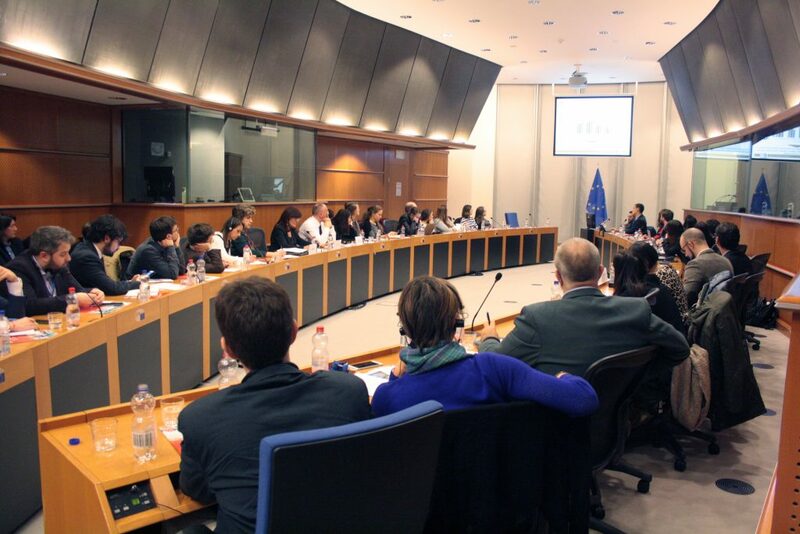 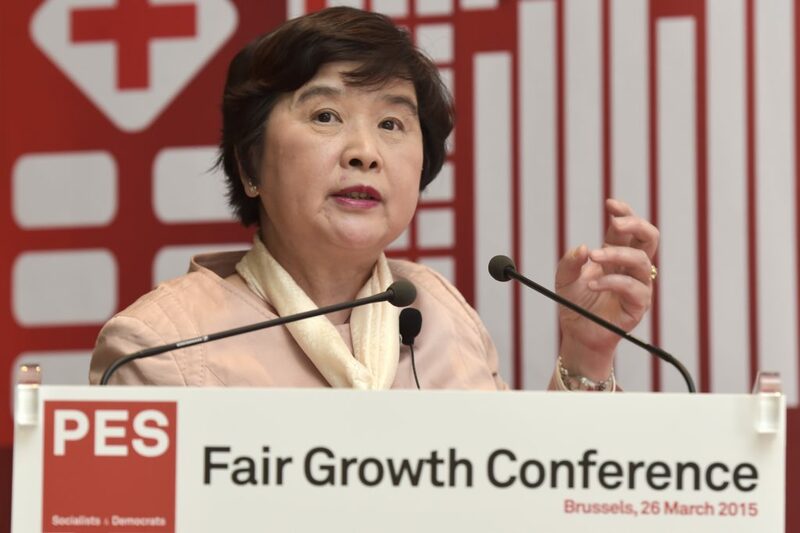 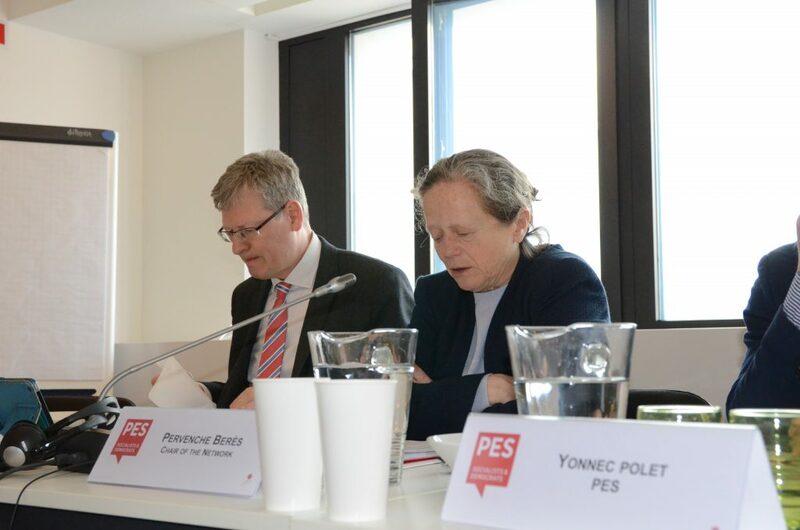 Pharmaceutical policy and affordable medicines on the PES agenda. 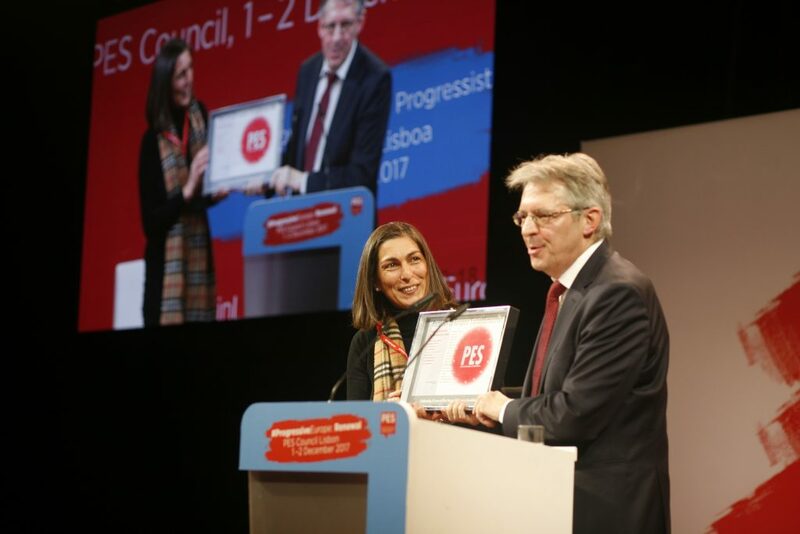 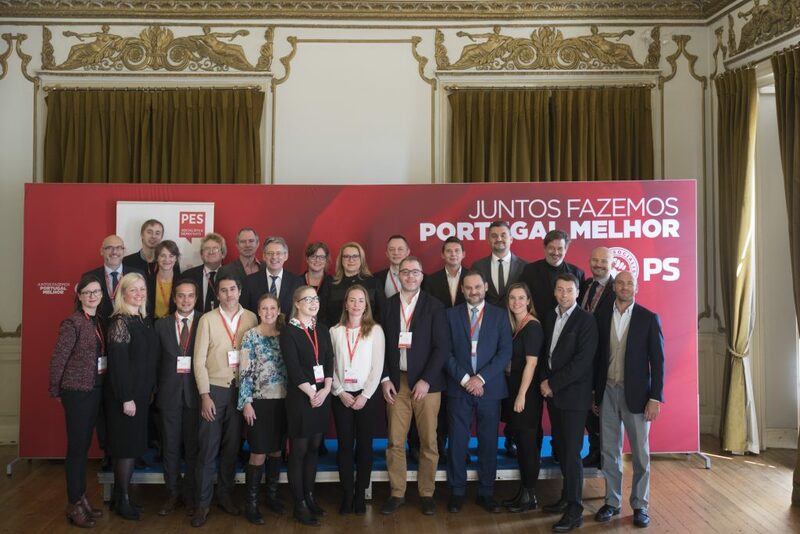 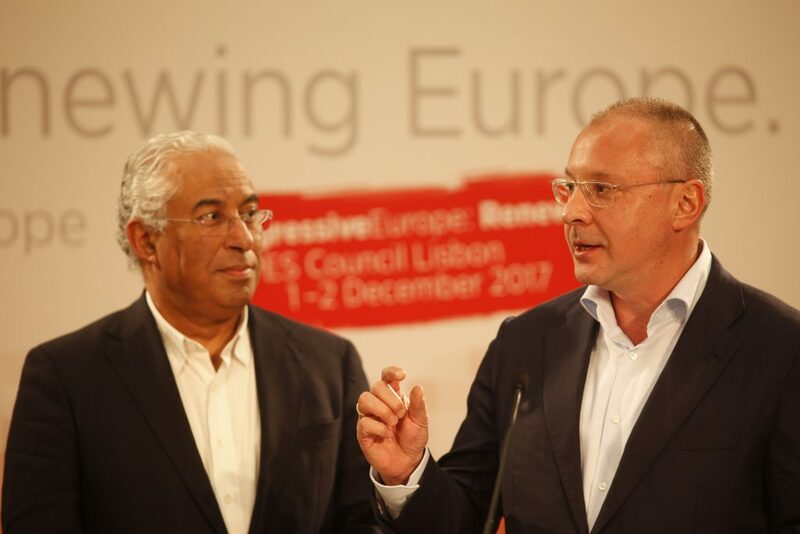 Check the photos from the 11 workshops at the PES Council in Lisbon on 1 December 2017. 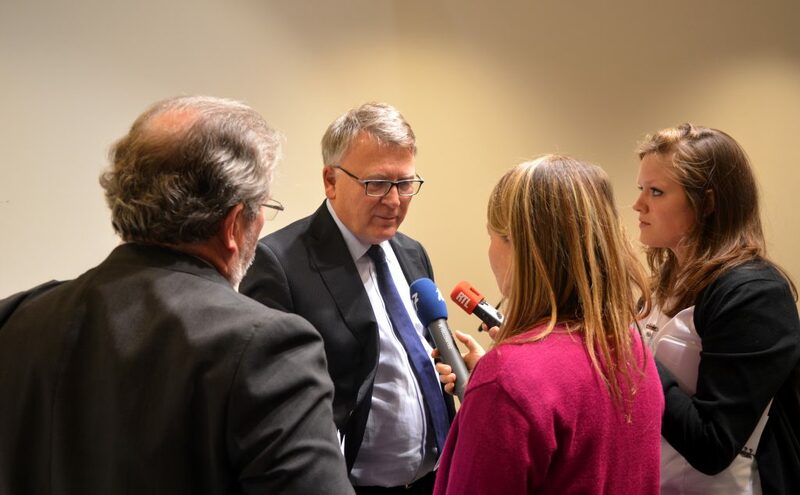 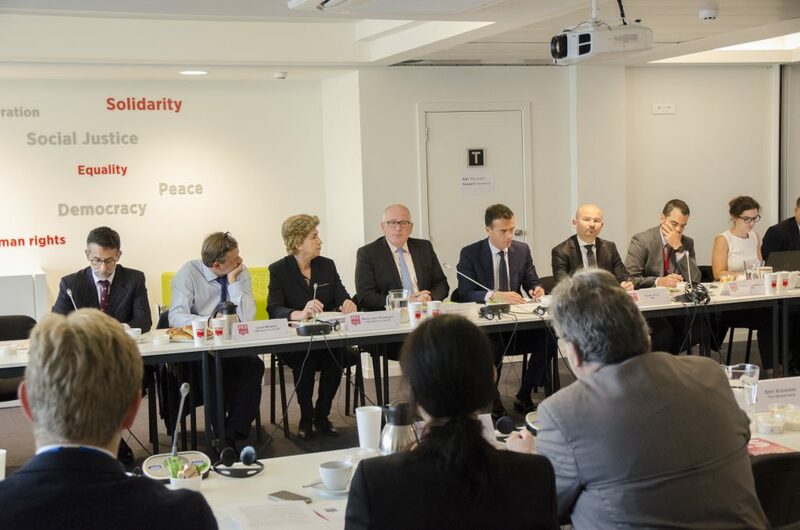 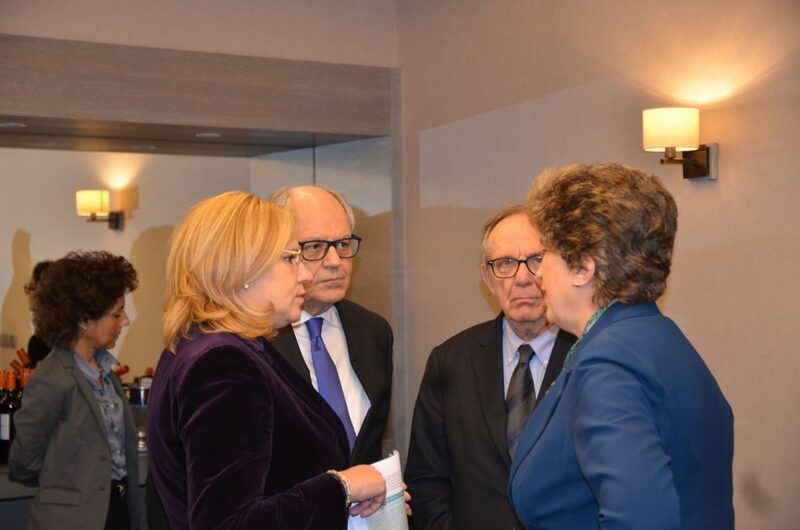 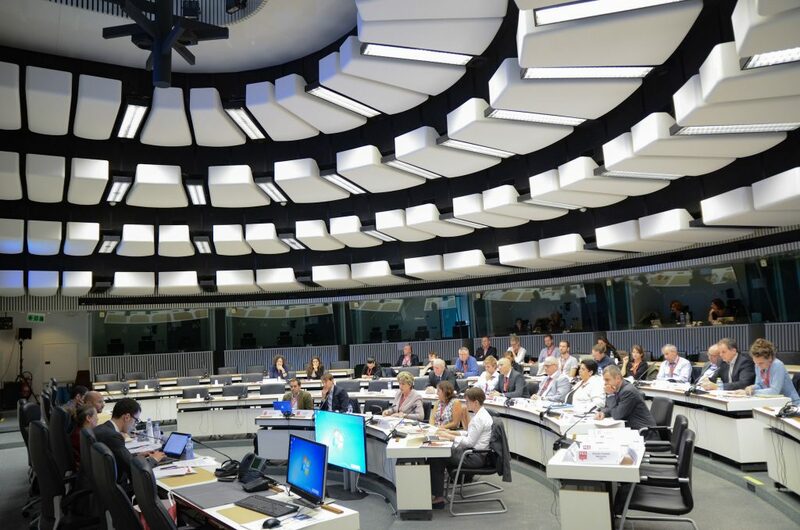 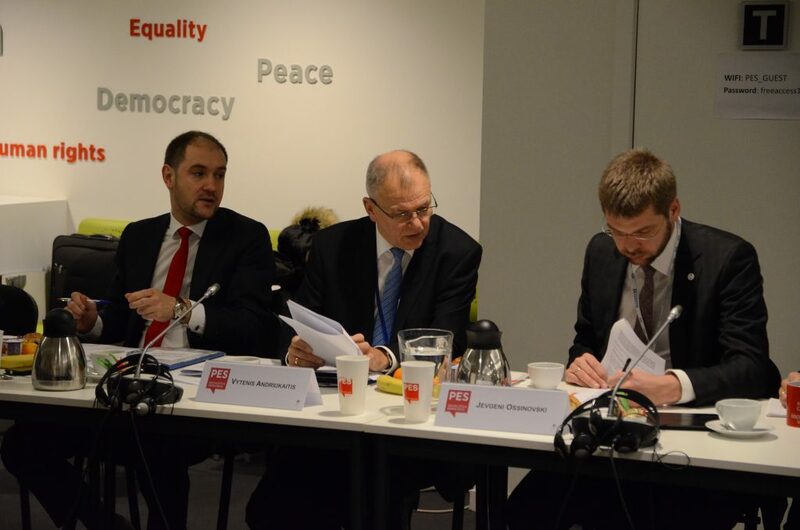 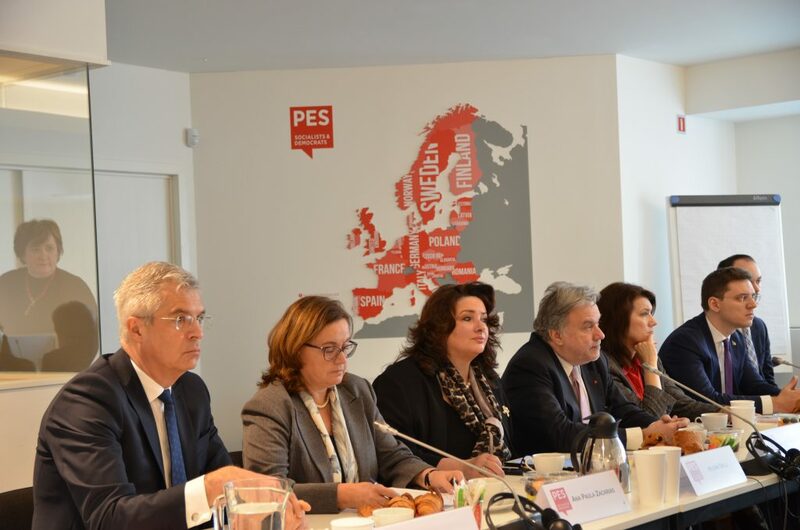 European affairs ministers are discussing the rule of law today at PES’ HQs. 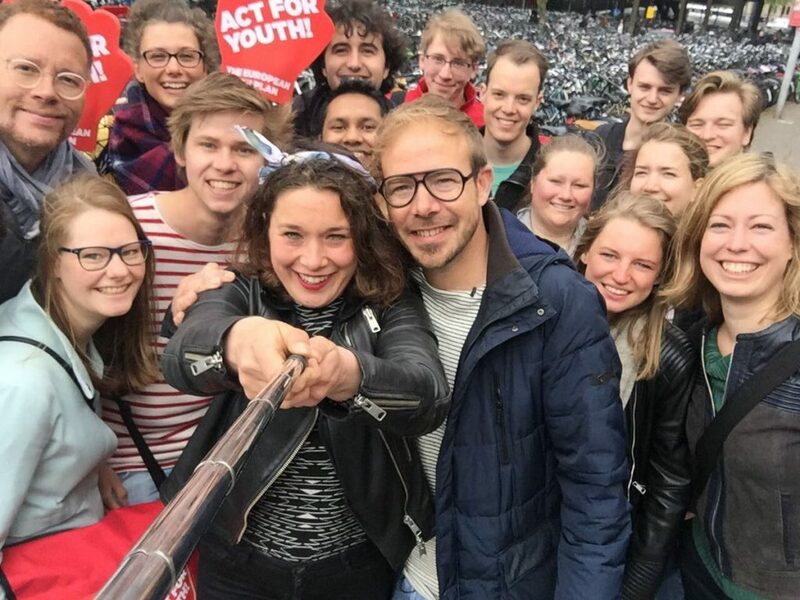 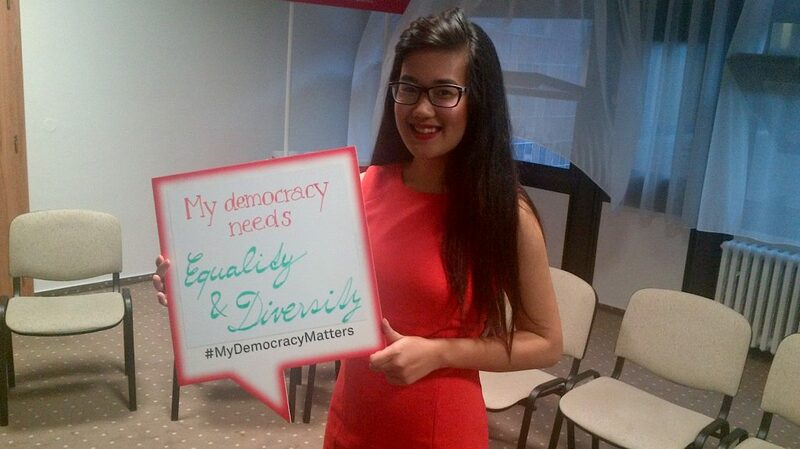 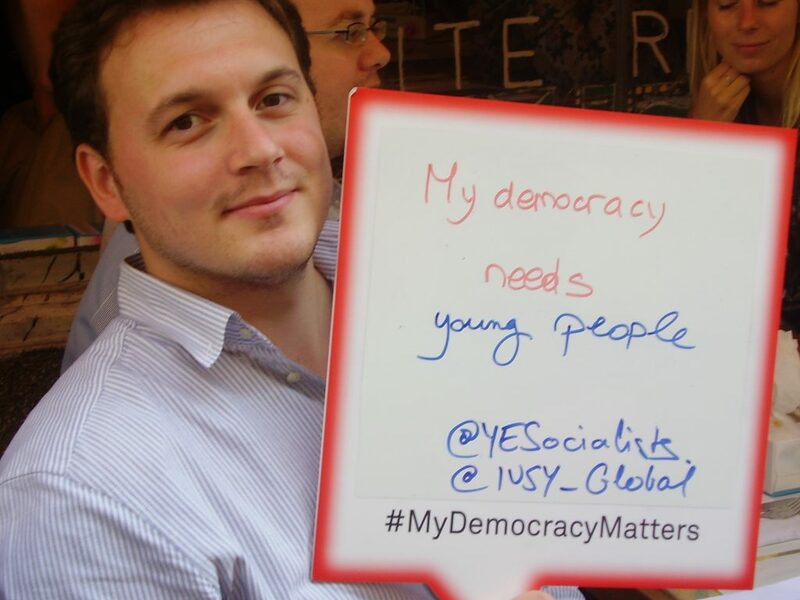 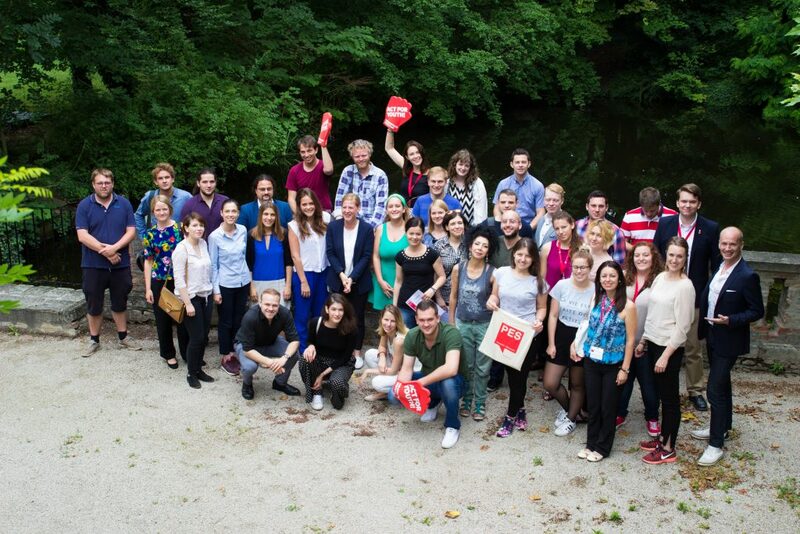 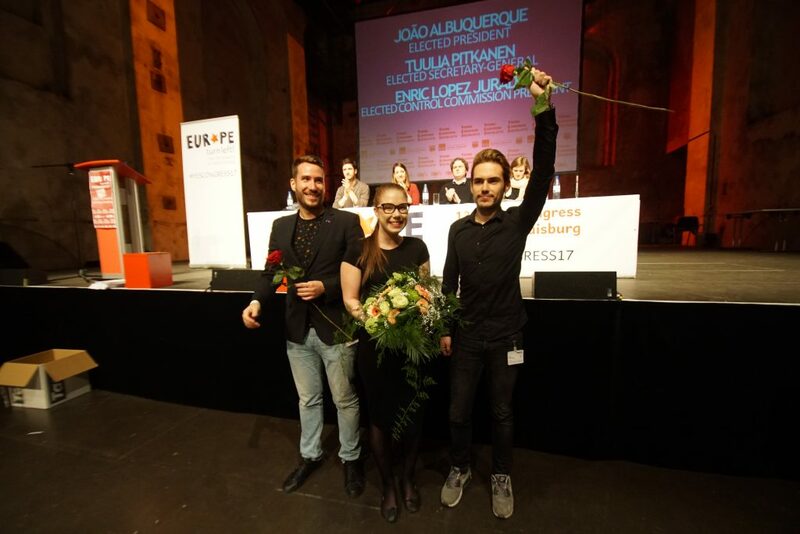 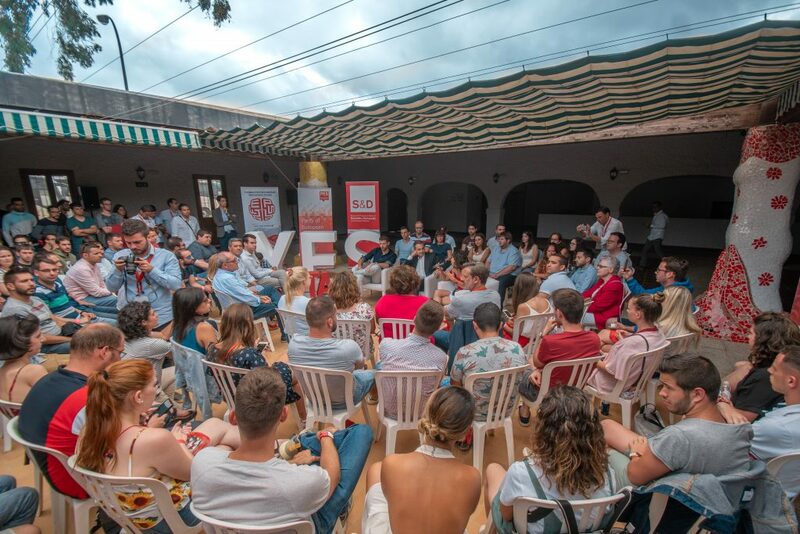 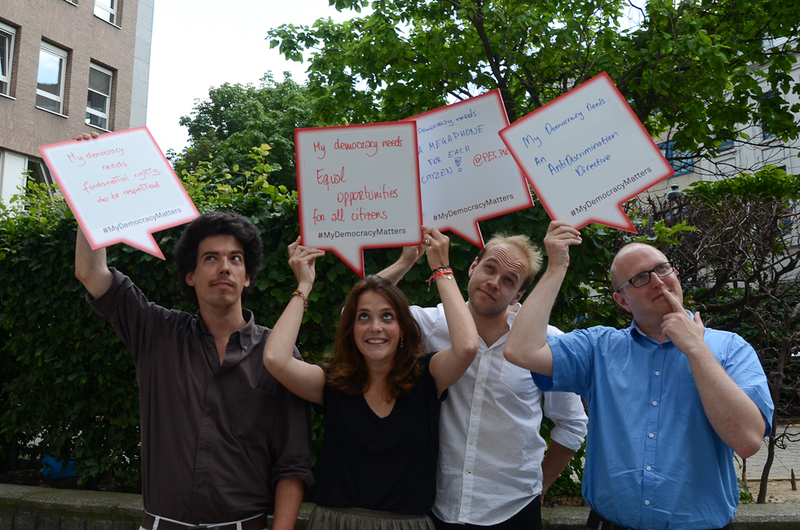 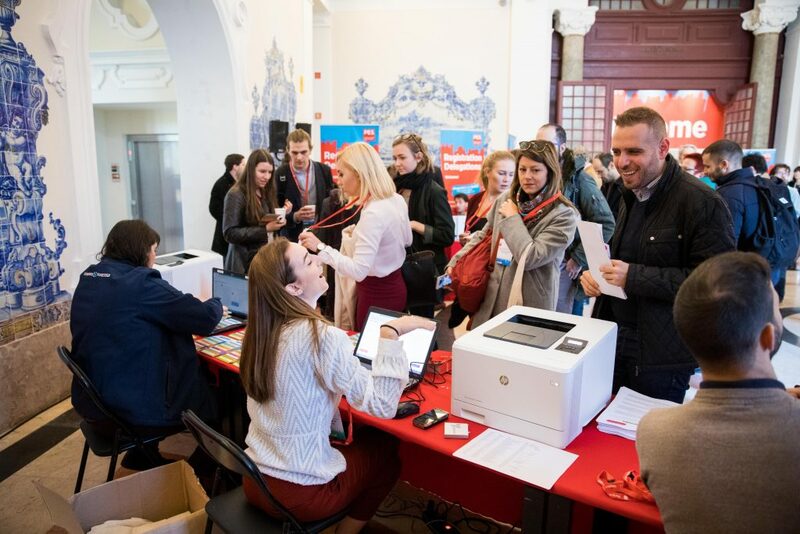 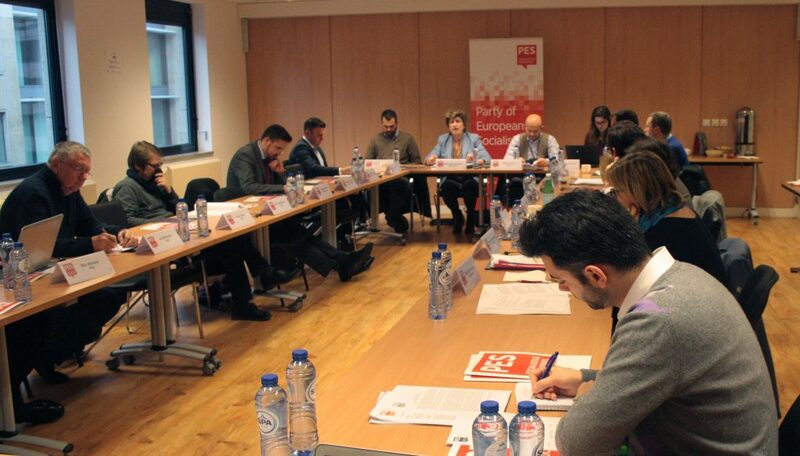 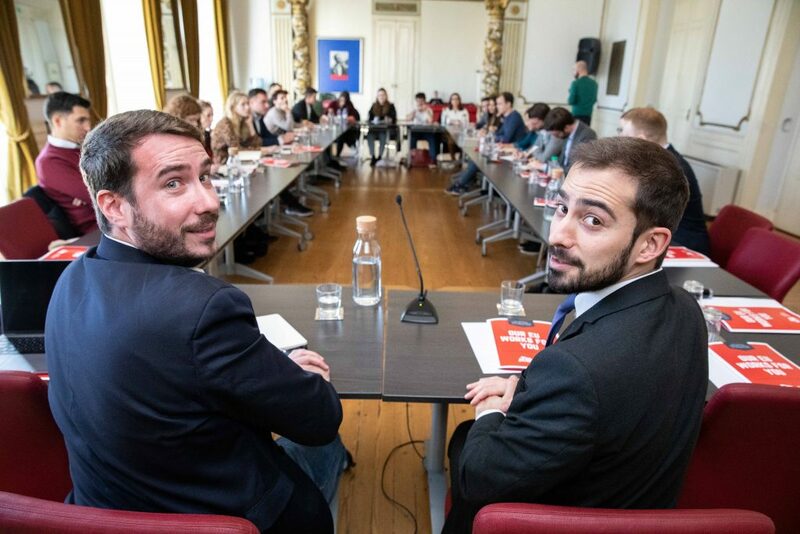 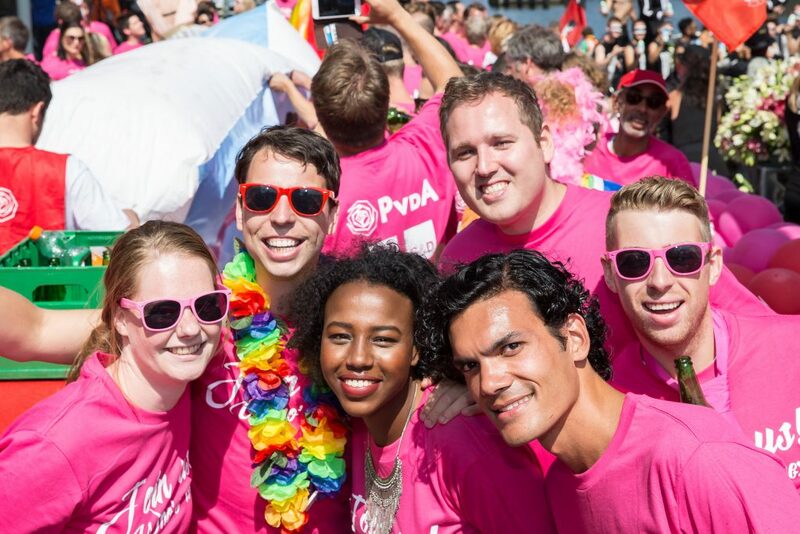 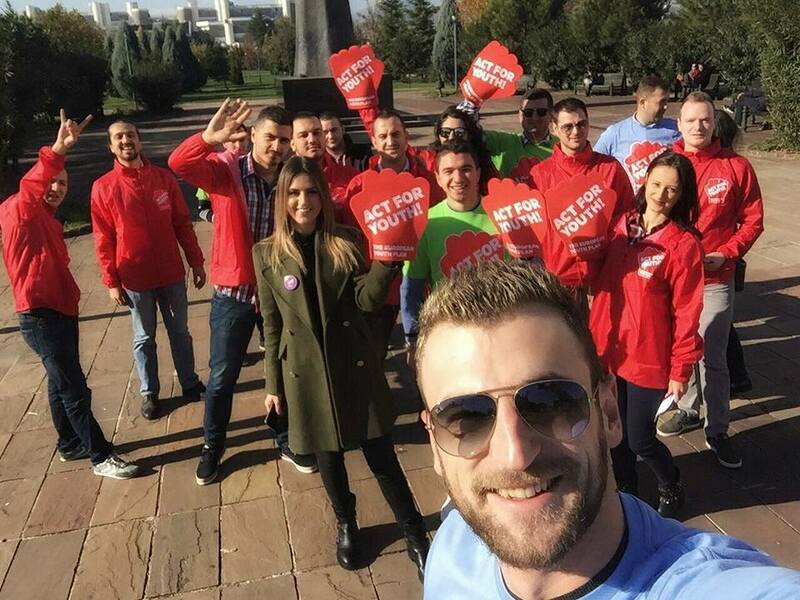 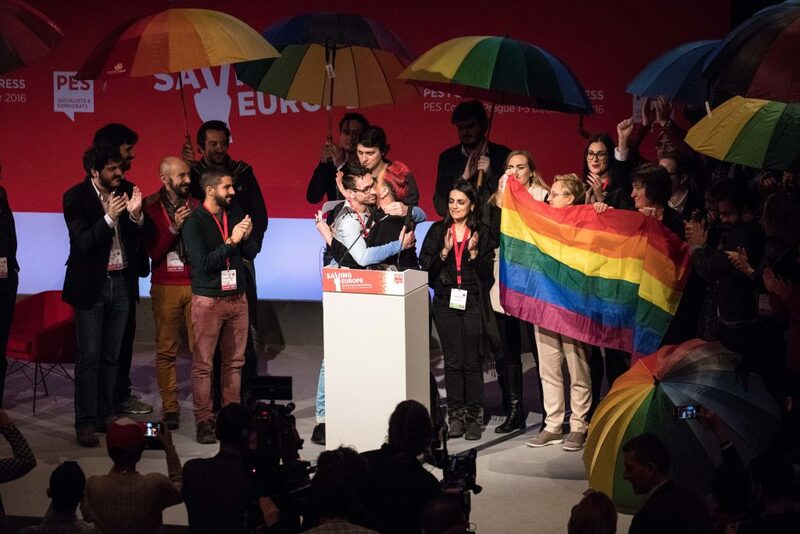 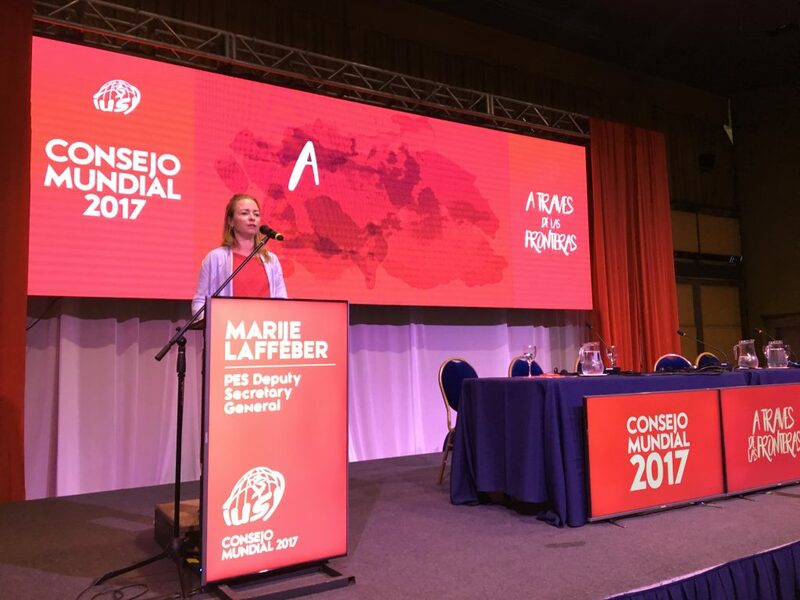 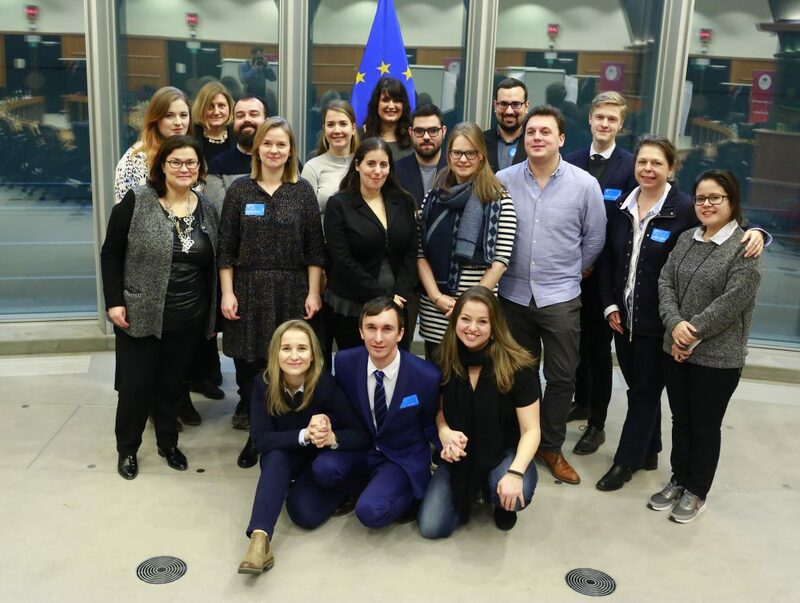 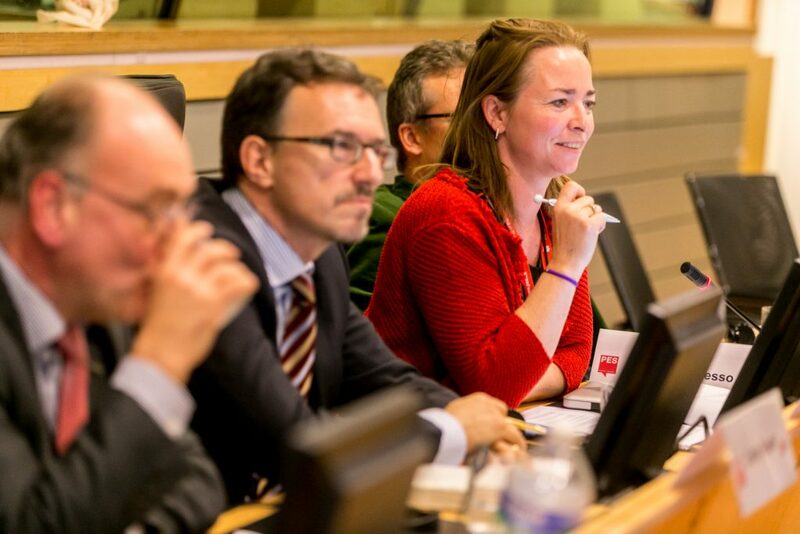 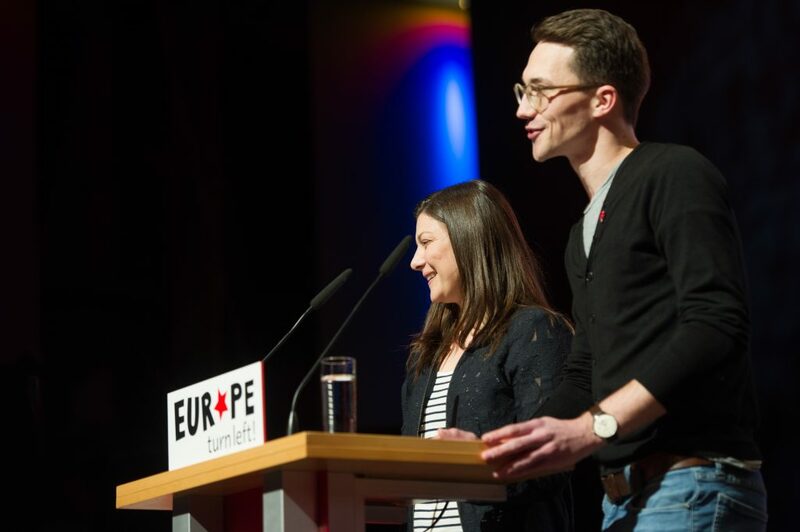 The Young European Socialists elected its new officers, including its President and Secretary General. 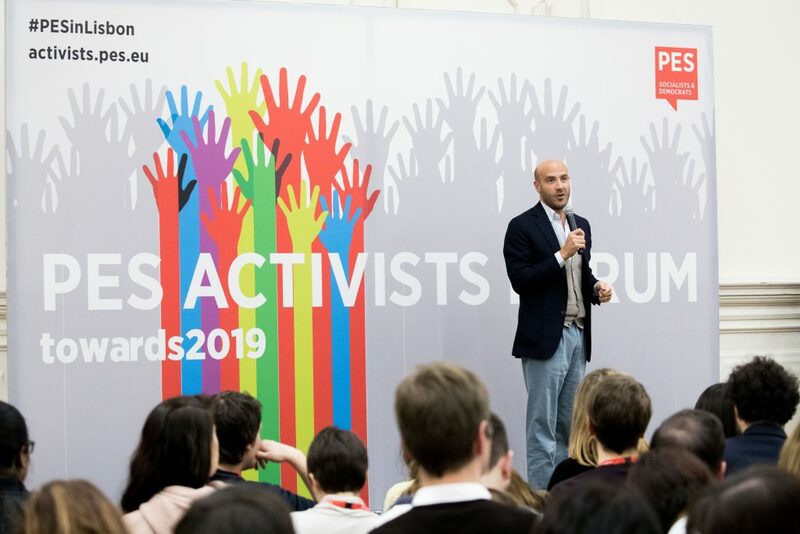 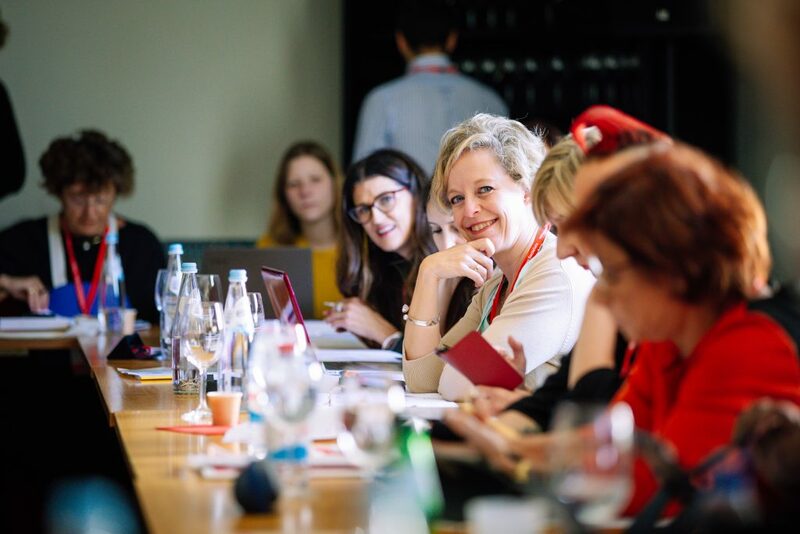 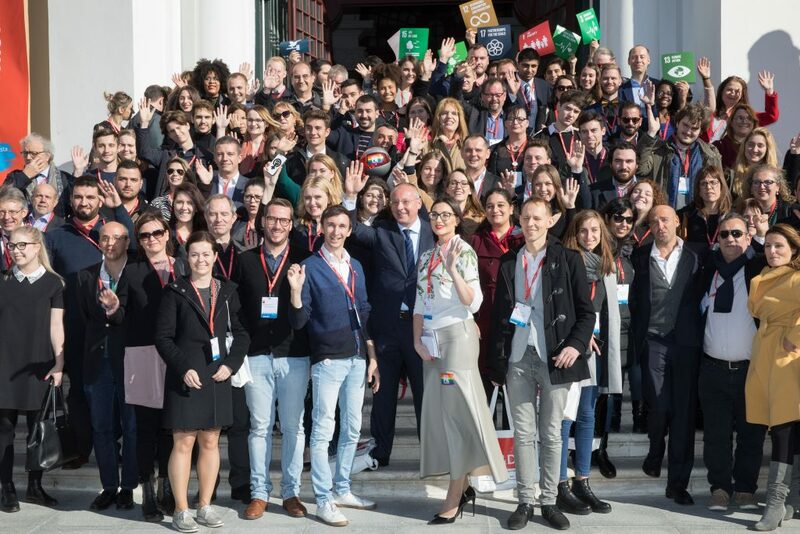 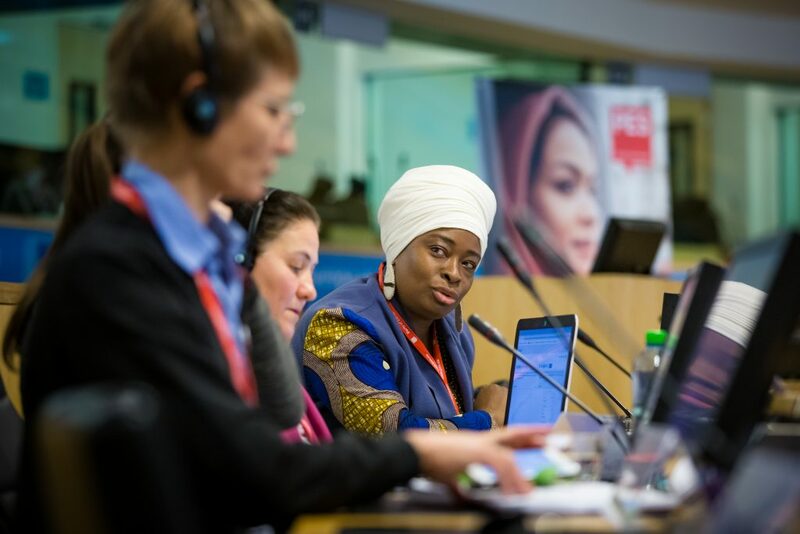 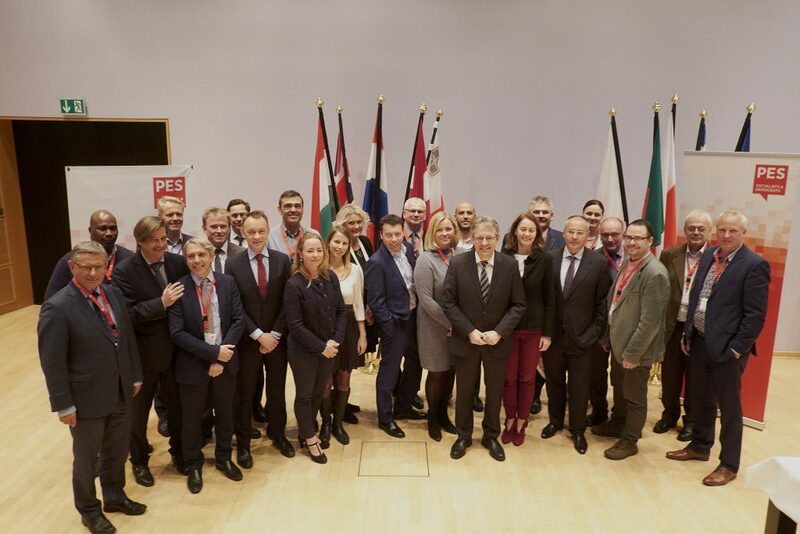 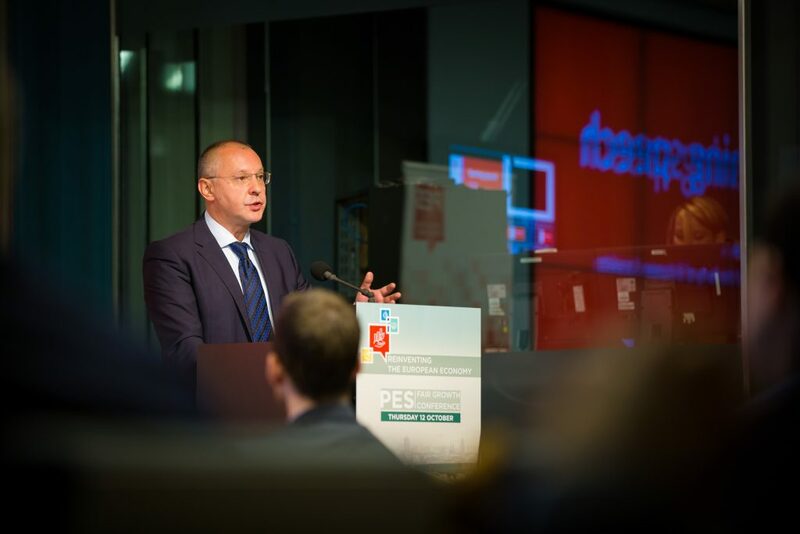 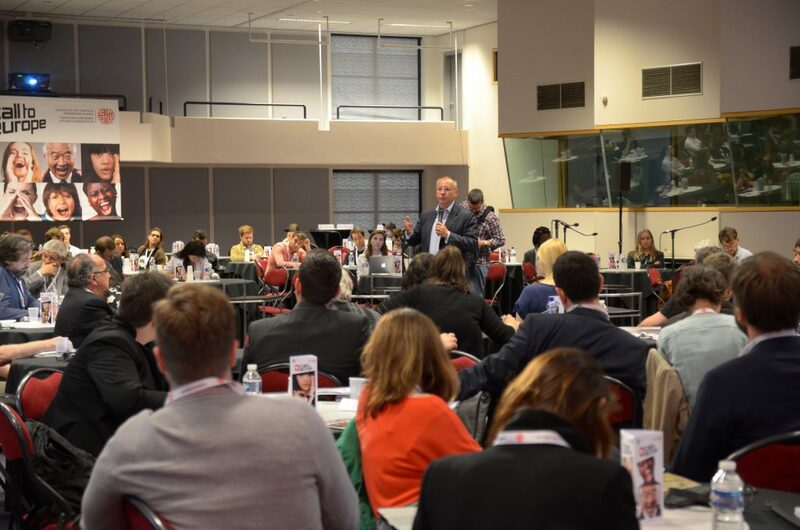 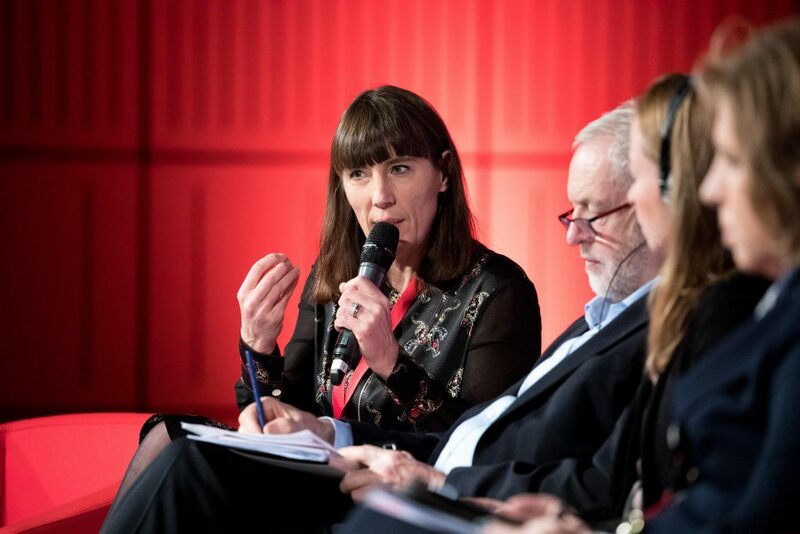 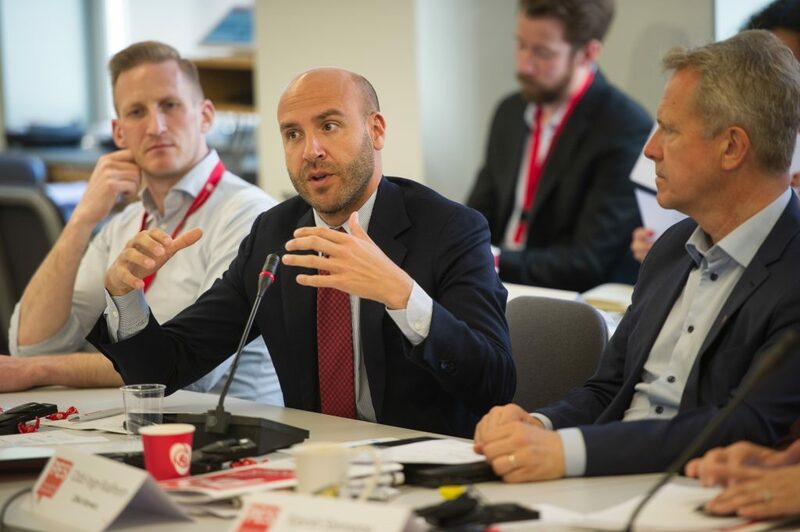 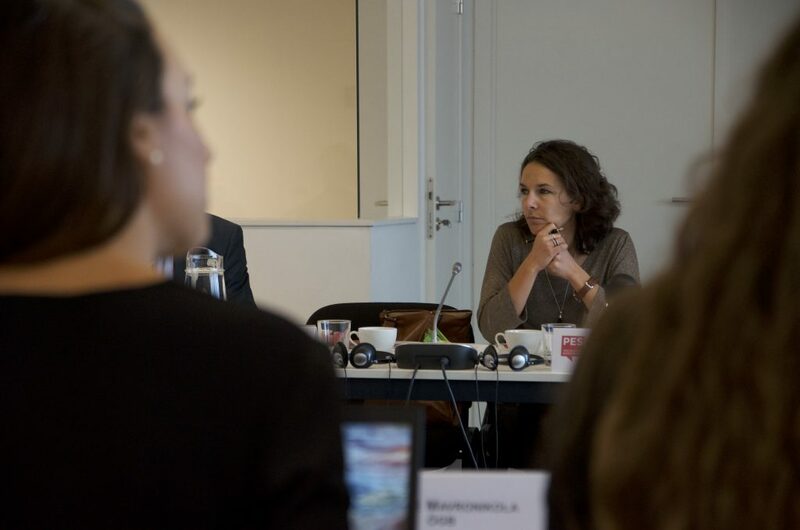 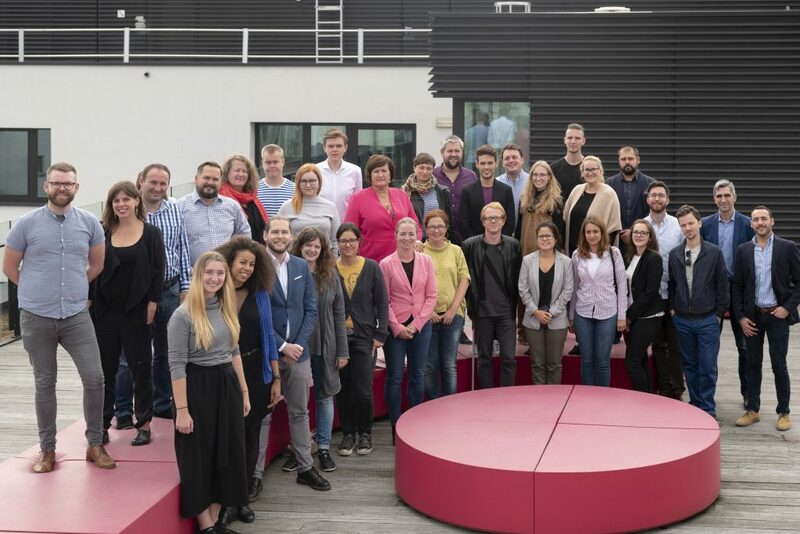 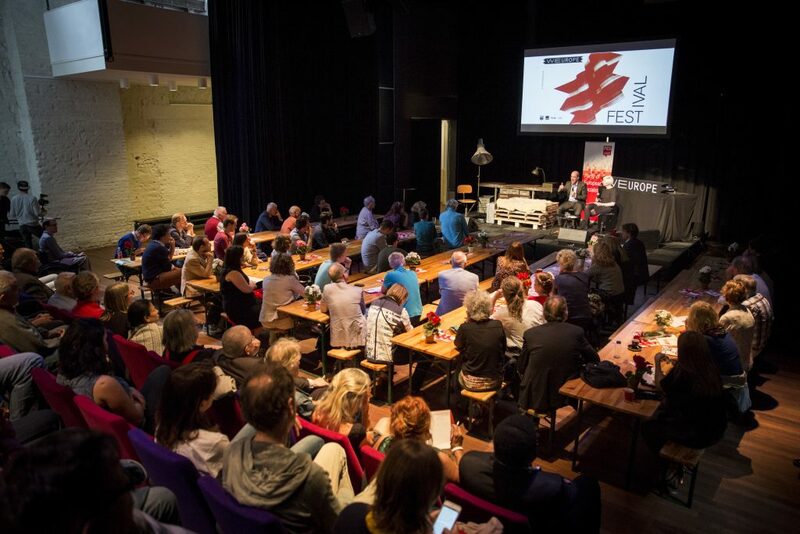 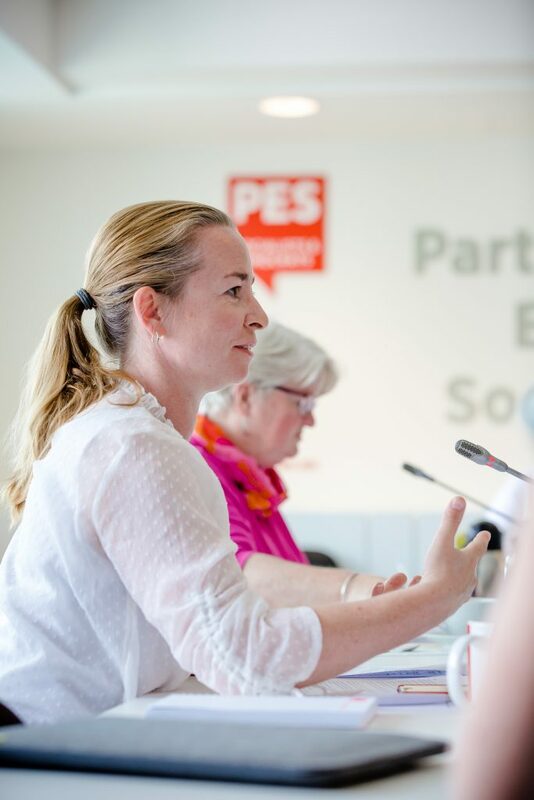 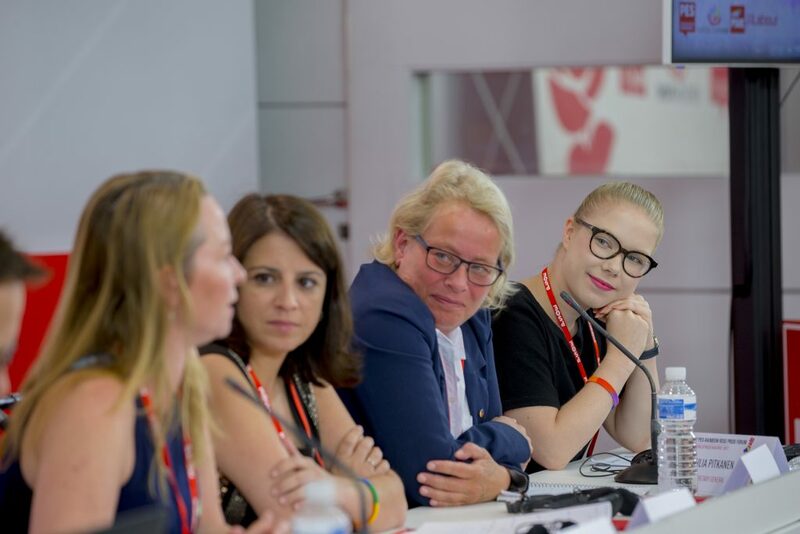 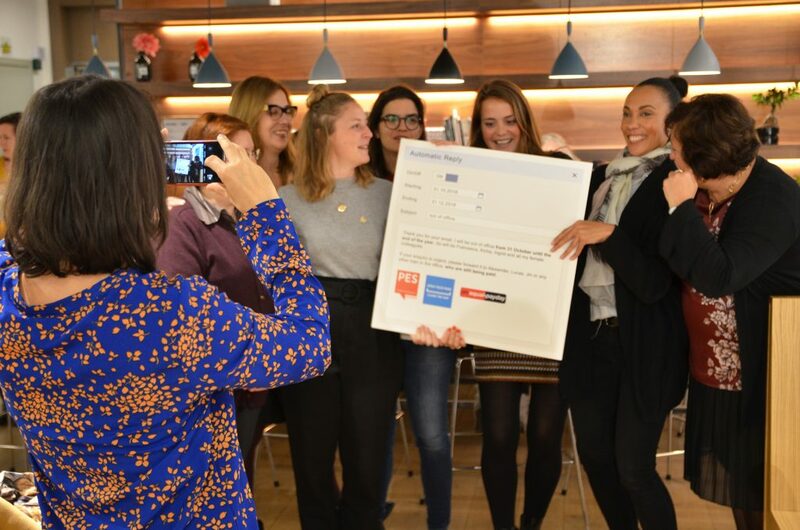 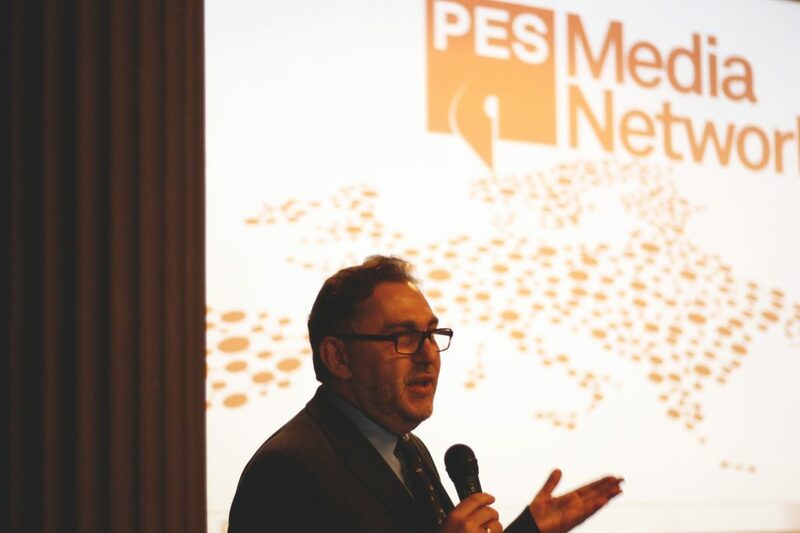 The 7th PES Media Network brought together communications professionals from PES member parties to exchange best practice and discuss common strategies. 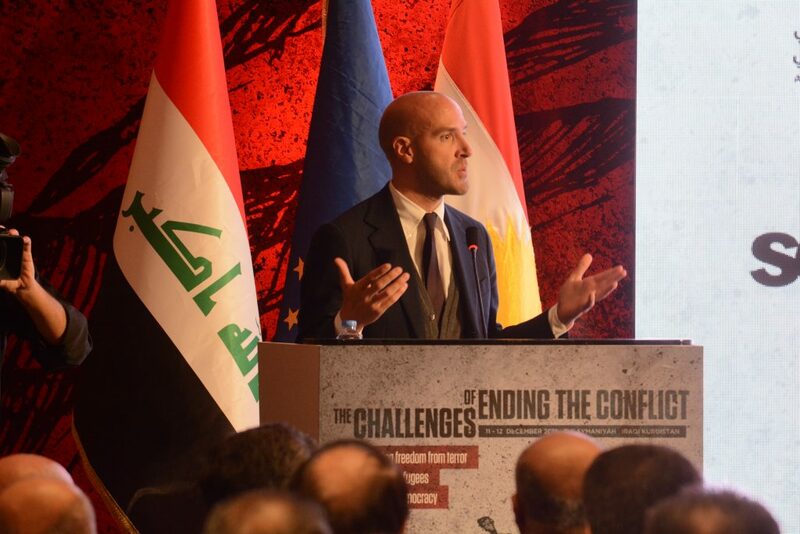 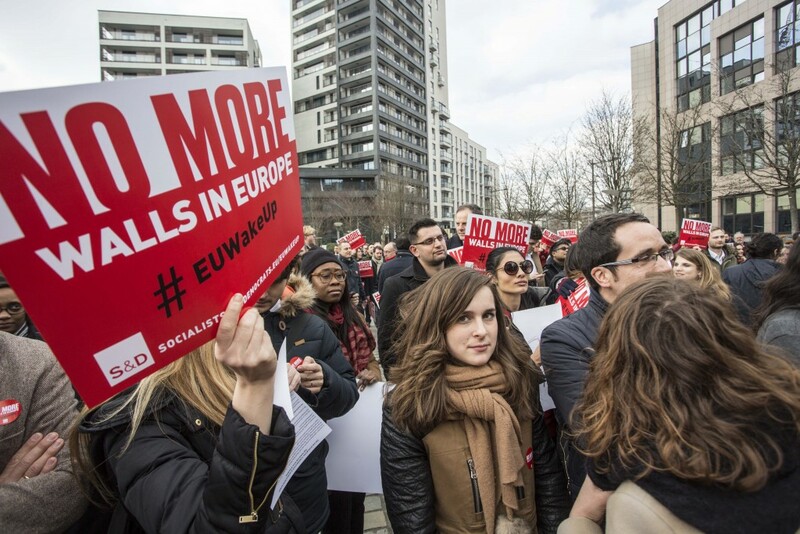 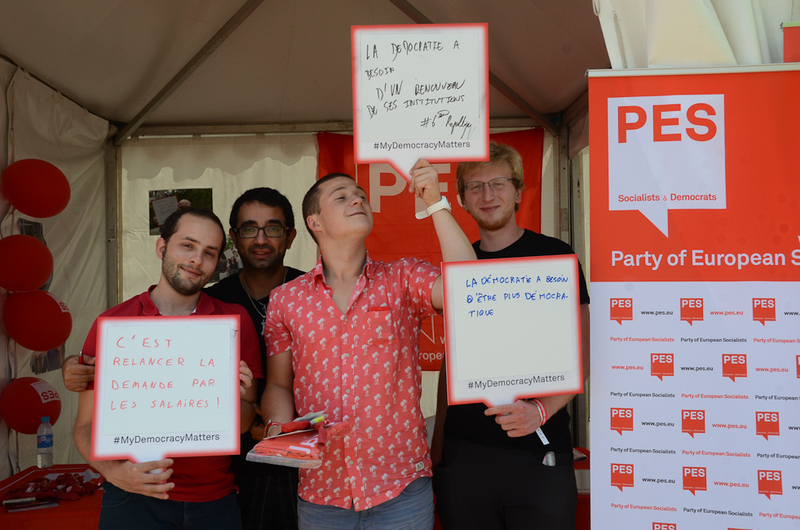 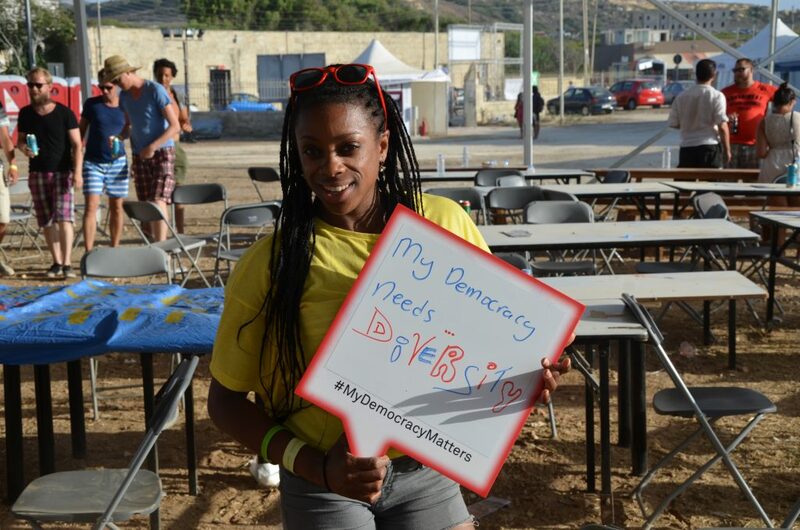 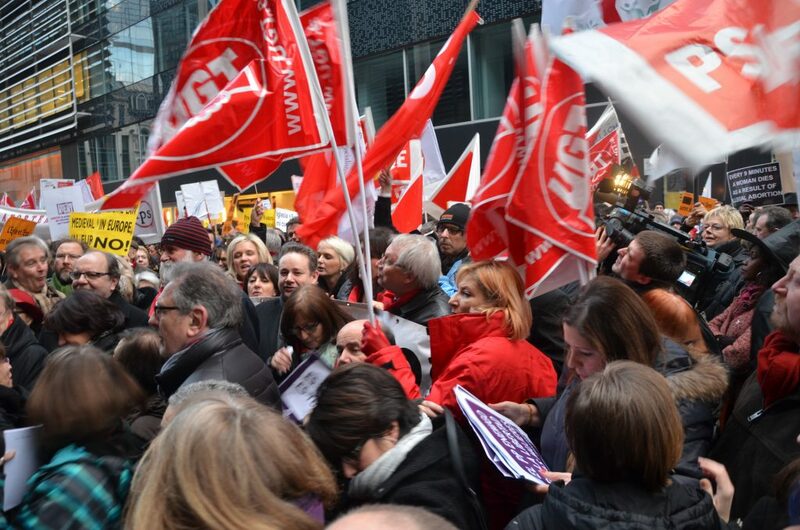 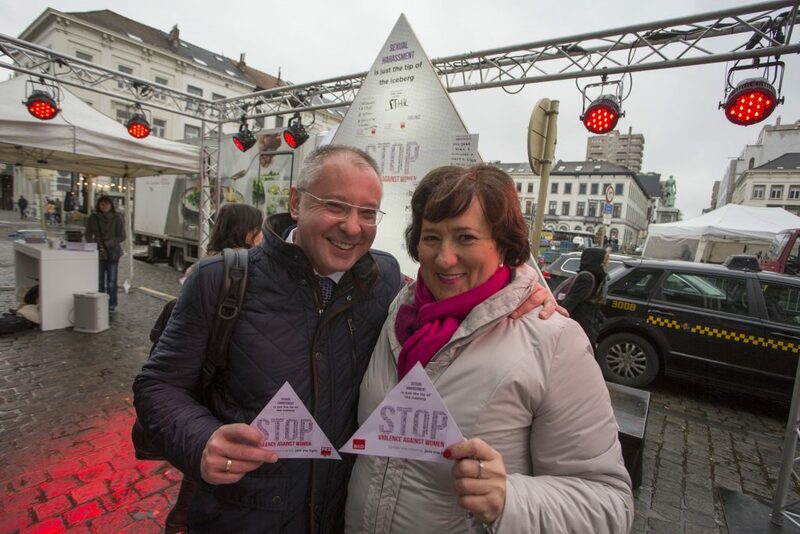 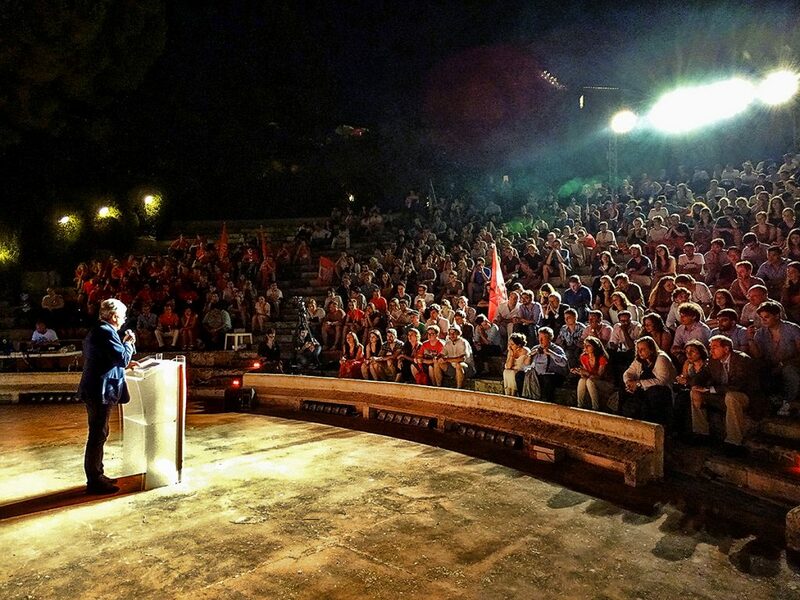 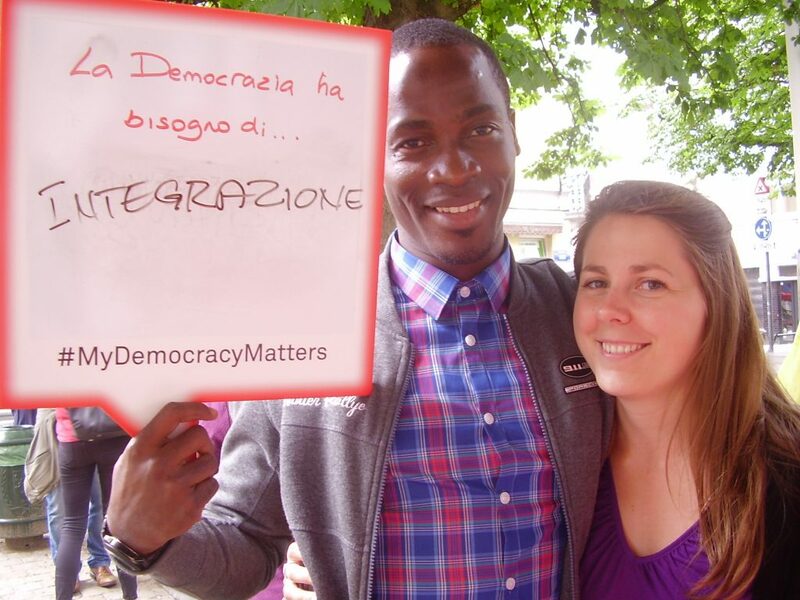 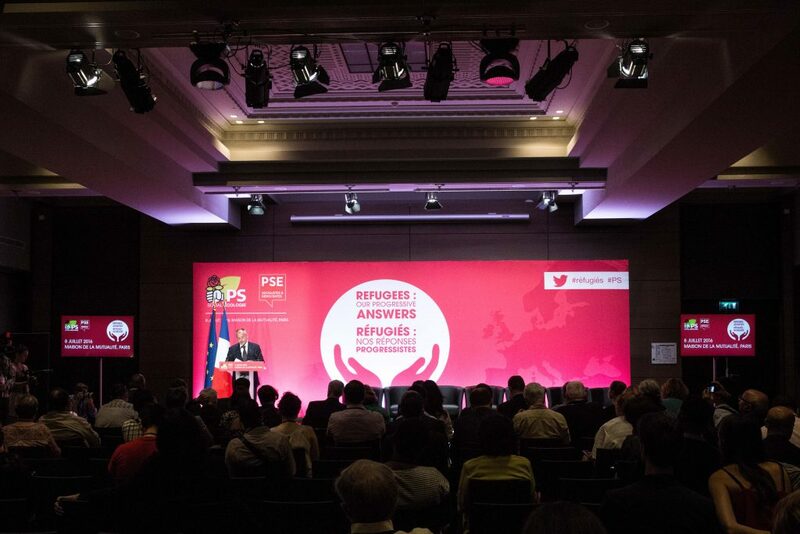 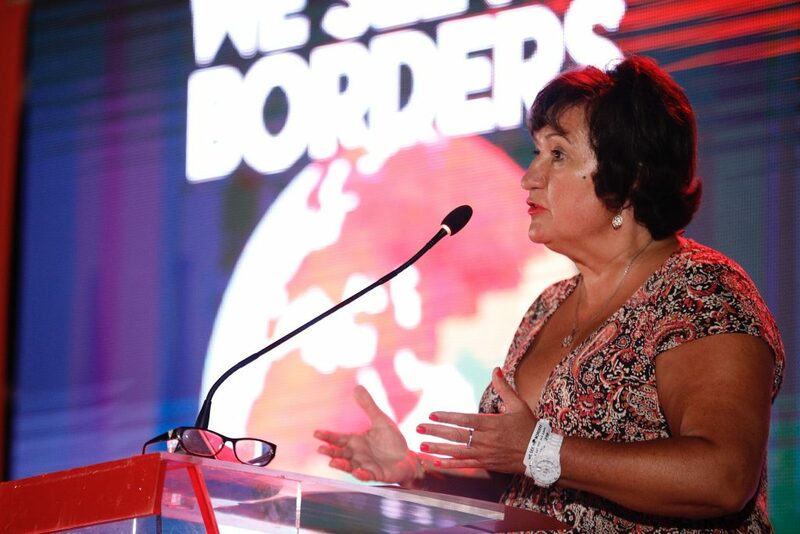 Demonstration of the S&D and the PES in favour of Schengen and a common policy for refugees. 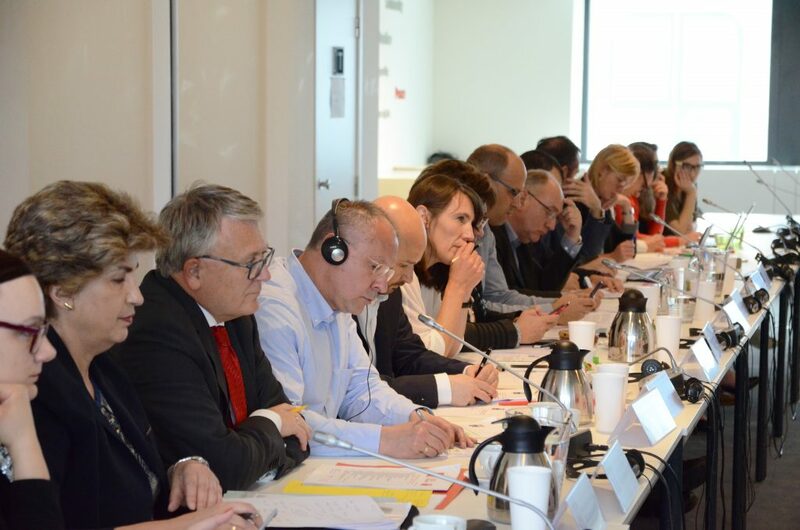 Progressive Europe Ministers working on a strong investment strategy and a European solution for refugees. 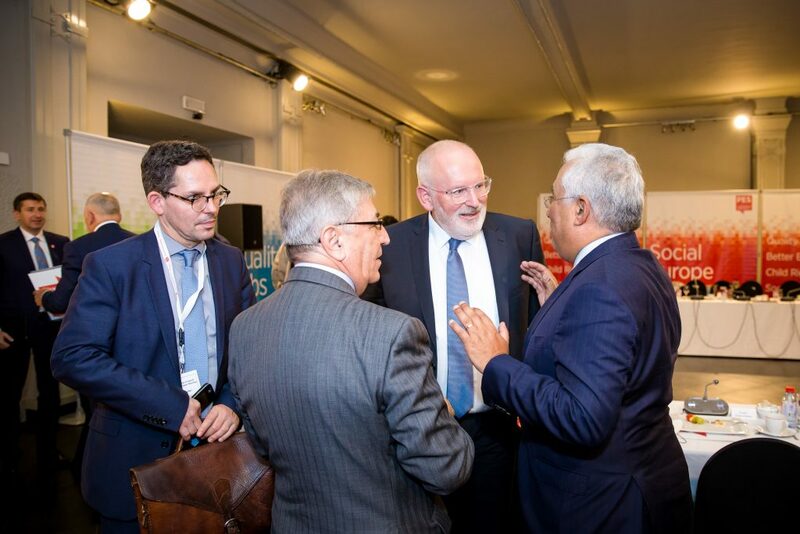 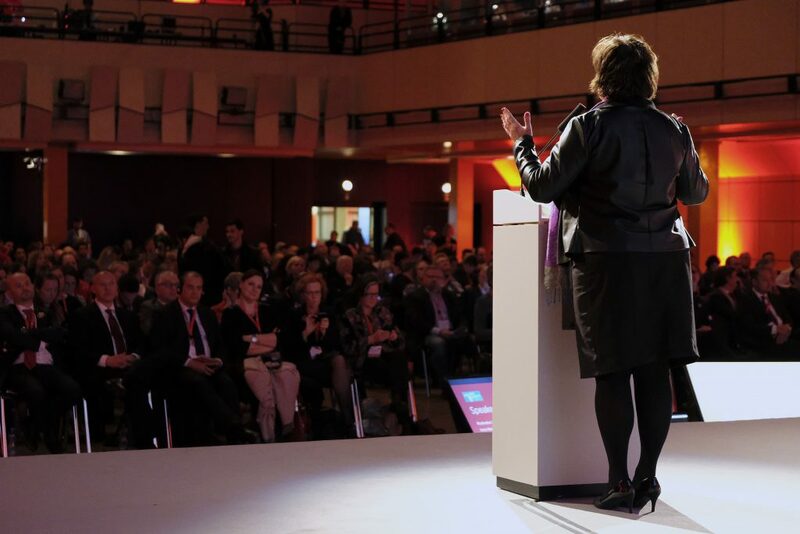 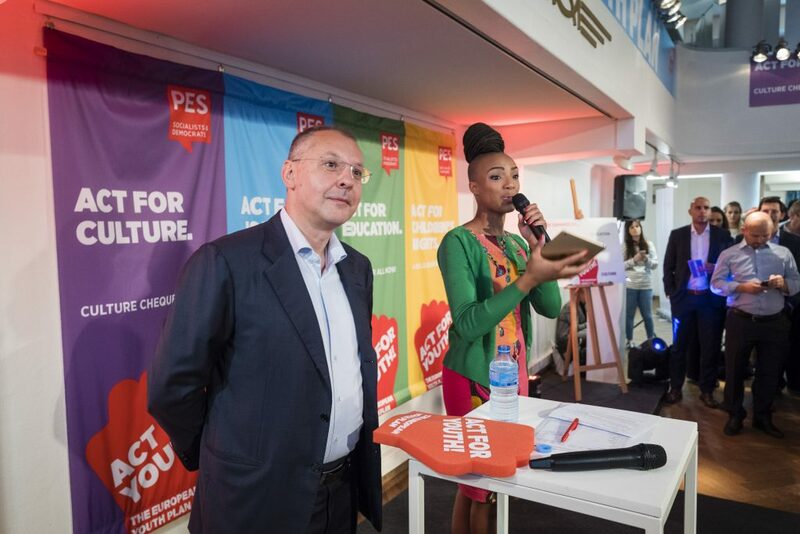 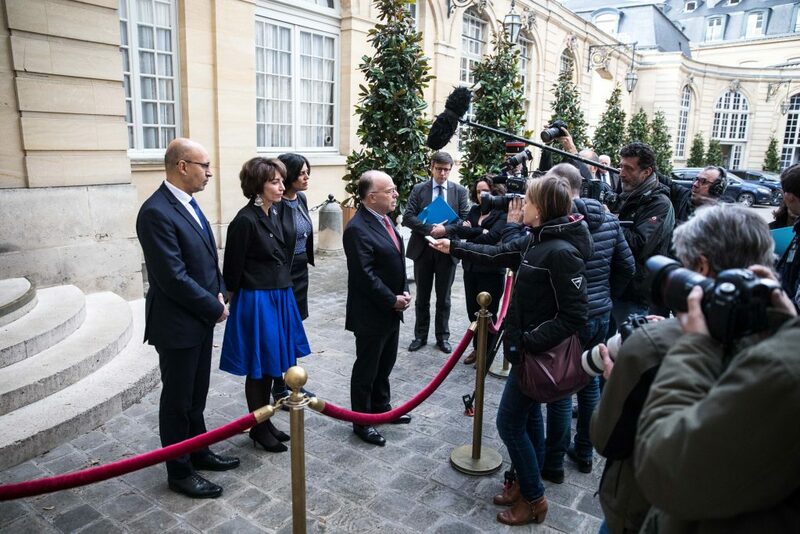 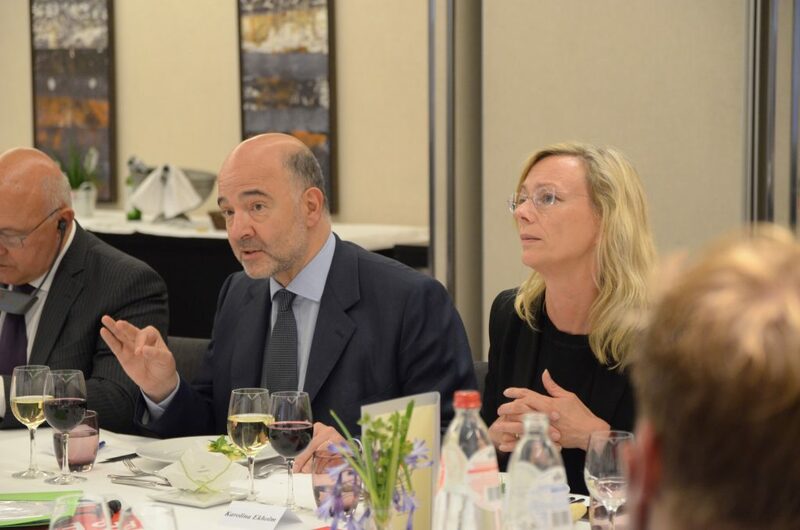 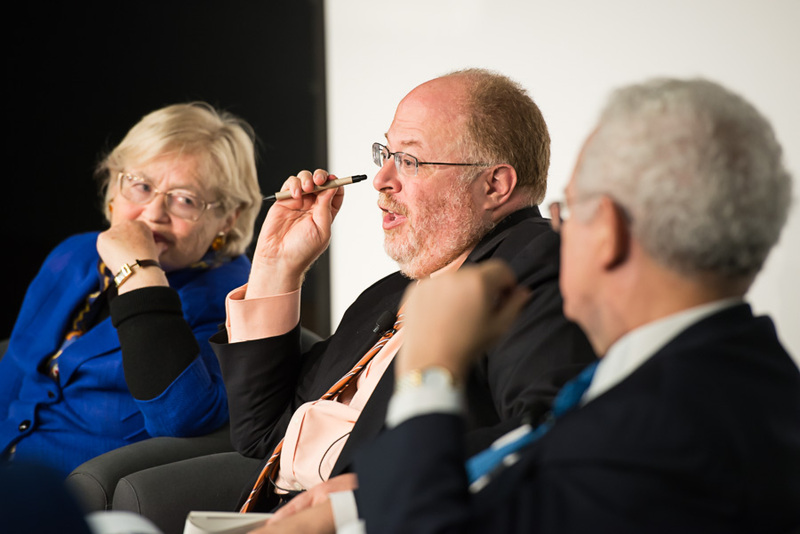 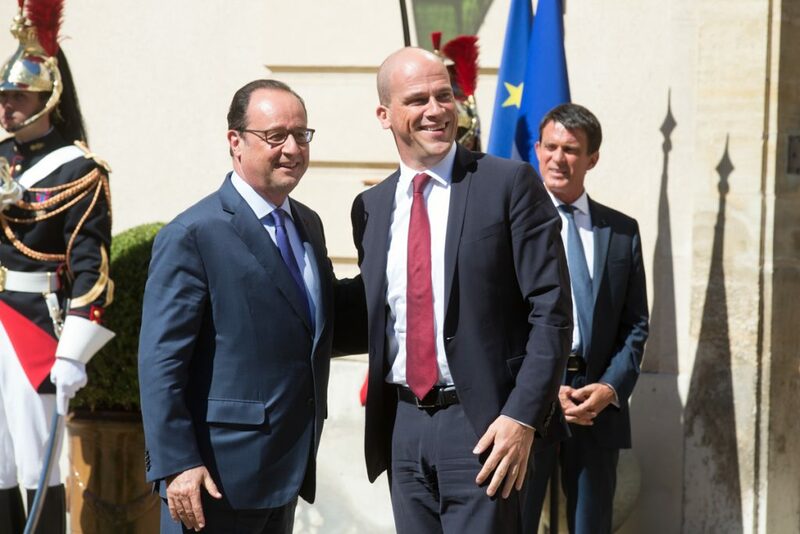 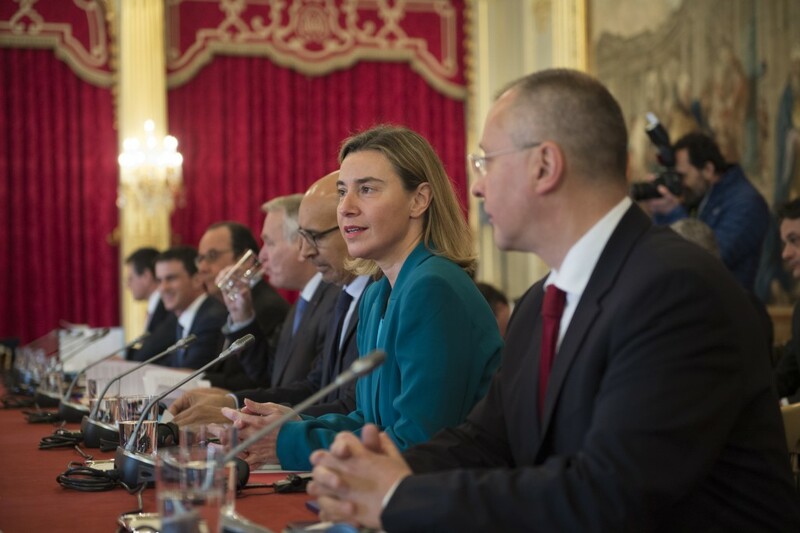 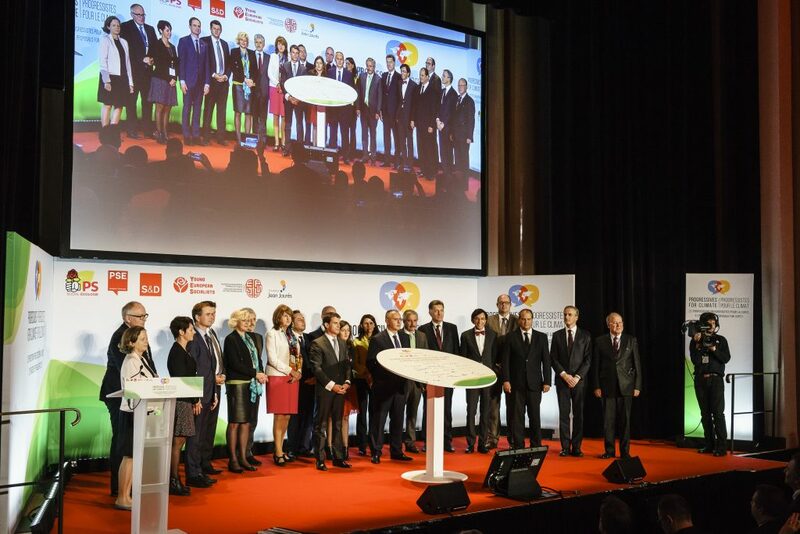 Progressive Summit in Paris: the European common ground for growth. 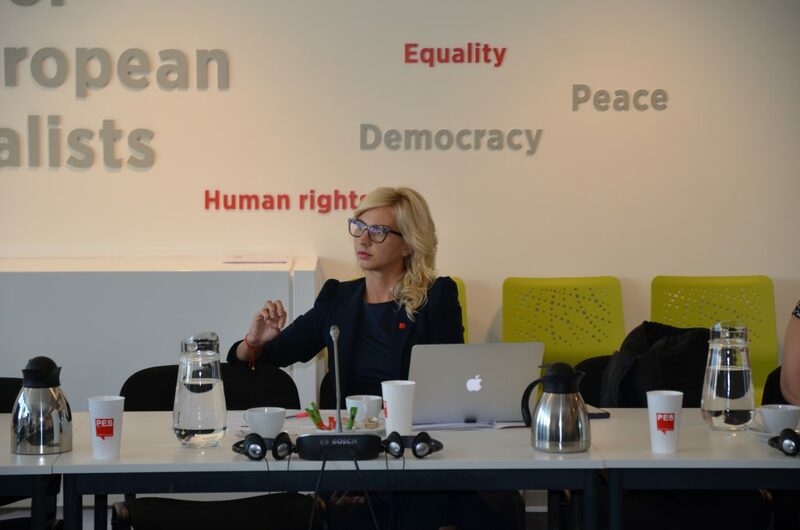 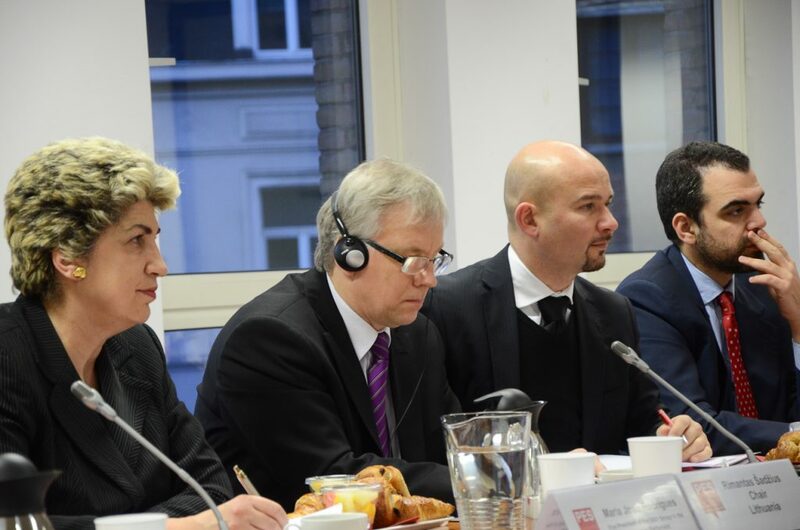 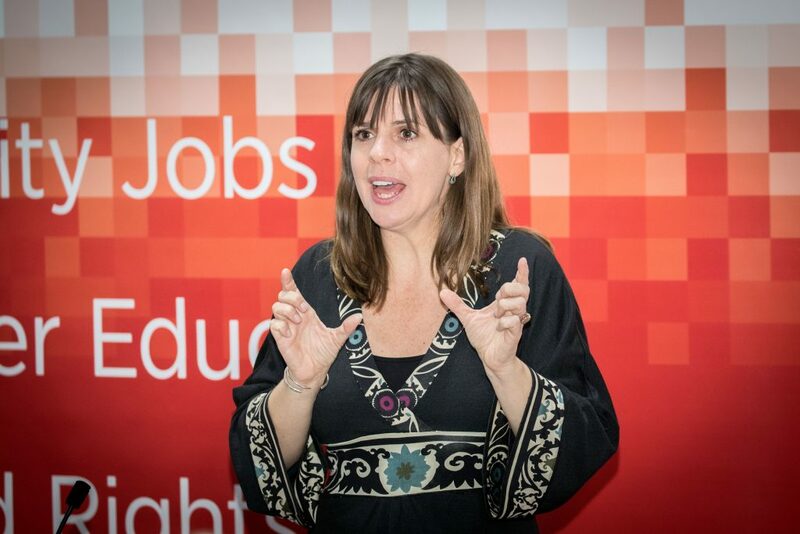 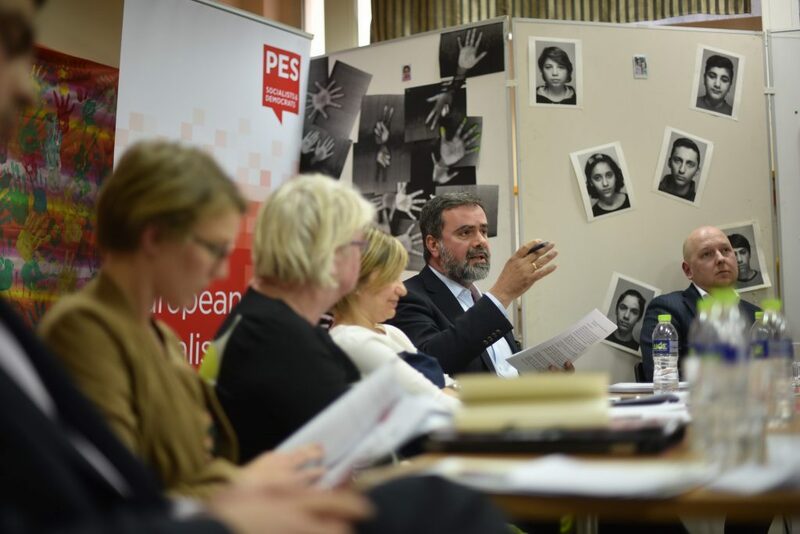 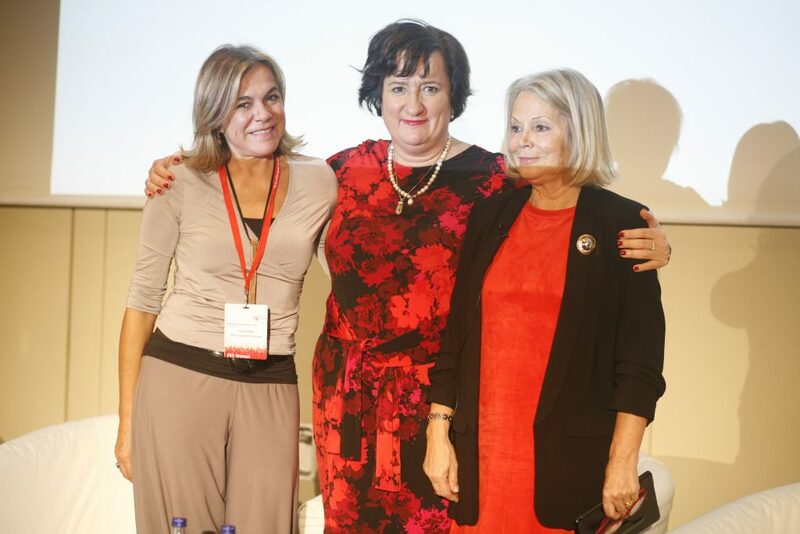 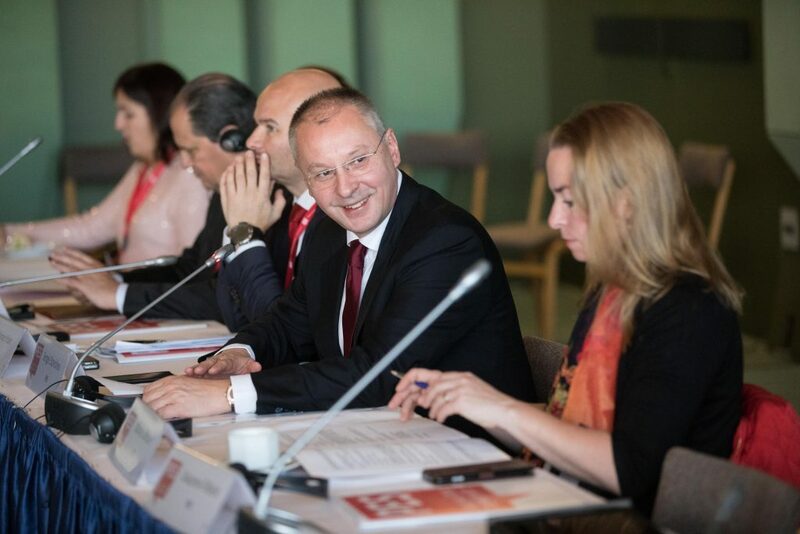 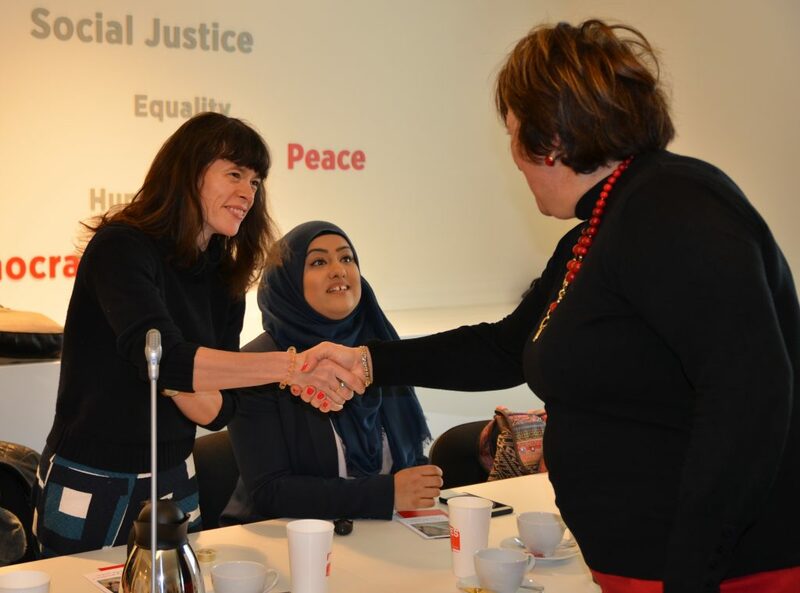 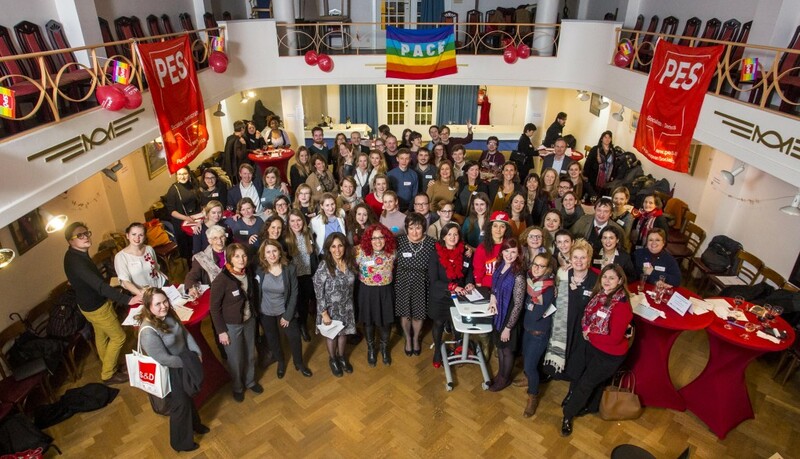 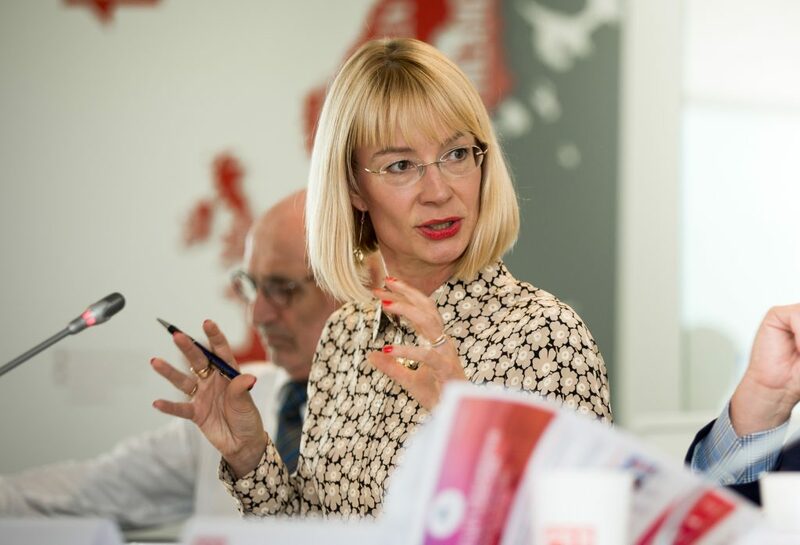 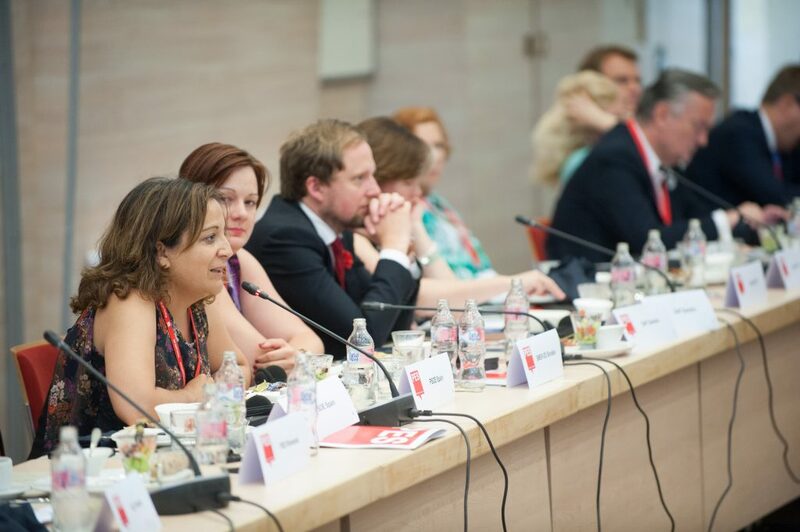 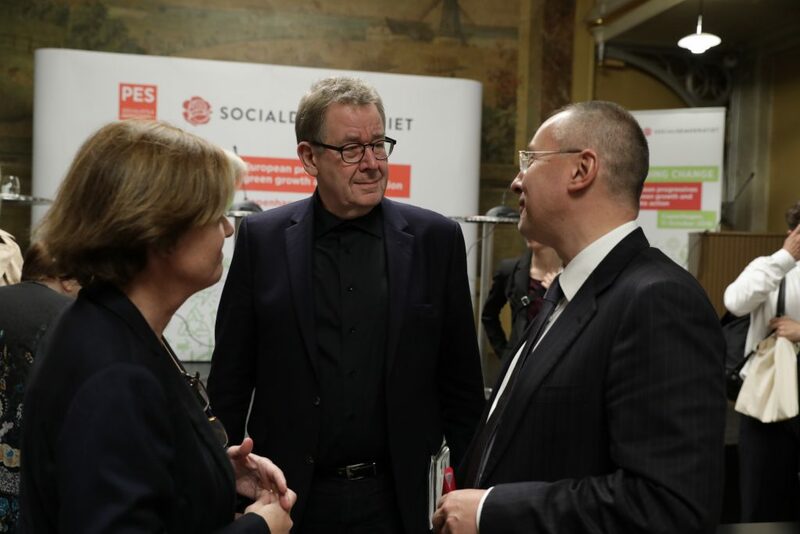 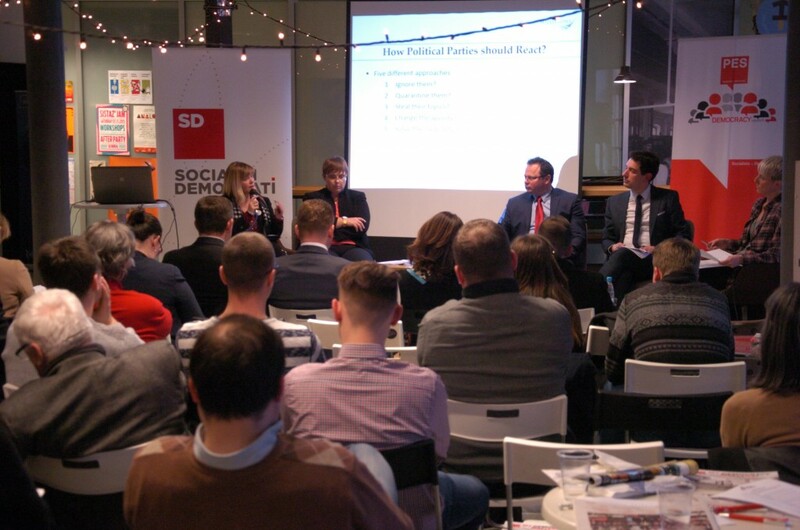 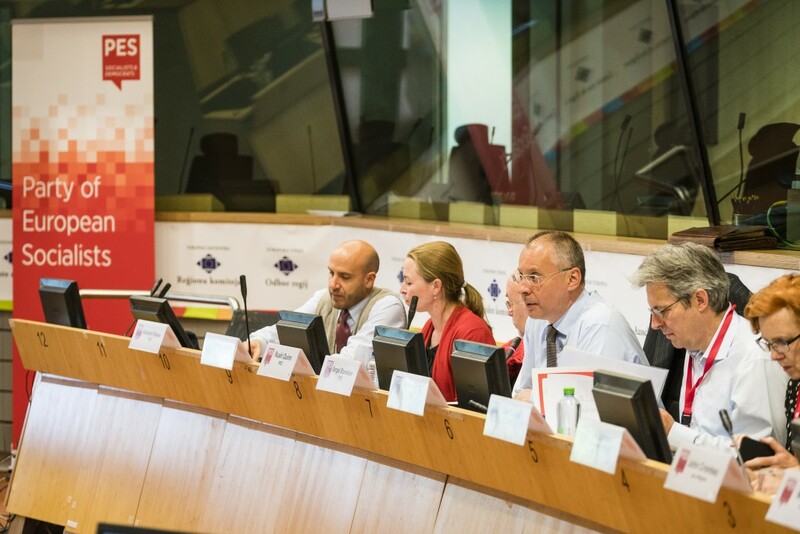 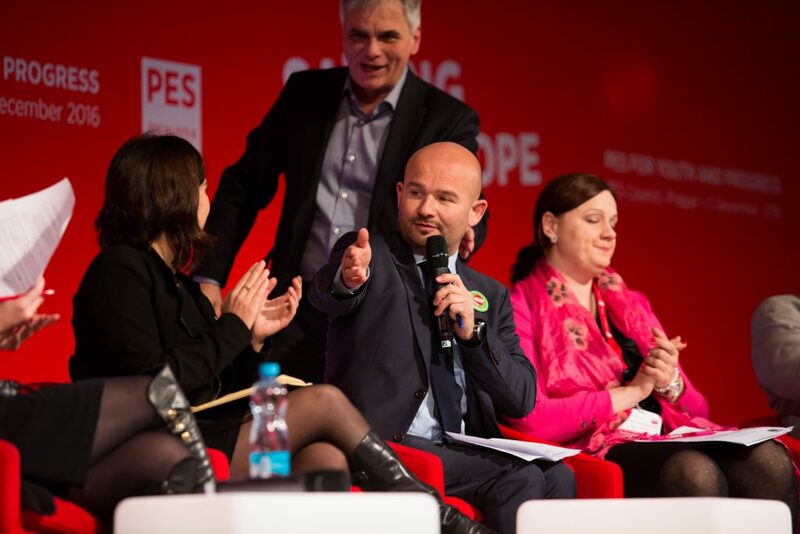 Promoting a culture of tolerance in Europe: PES democracy network, Ljubljana, 11 March 2016. 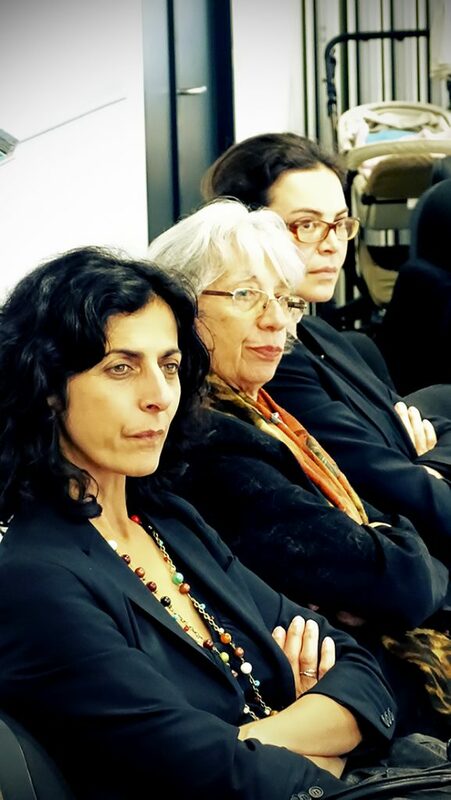 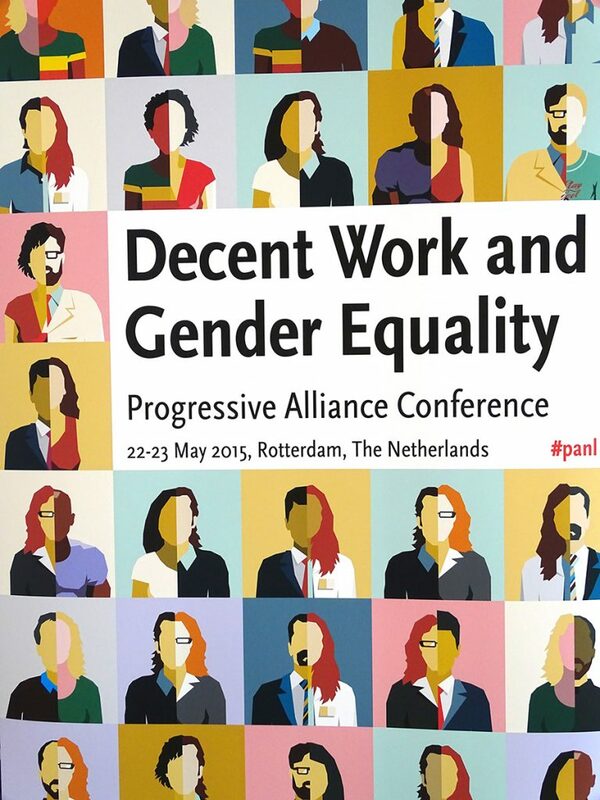 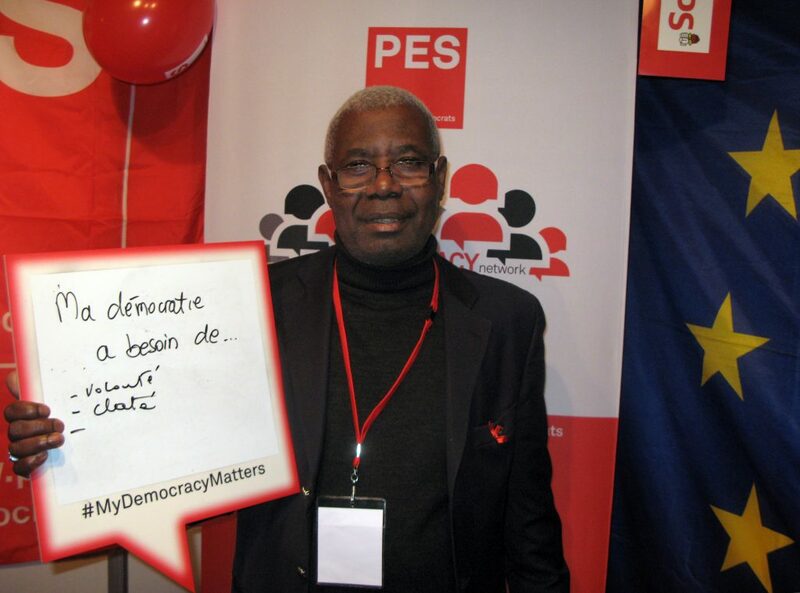 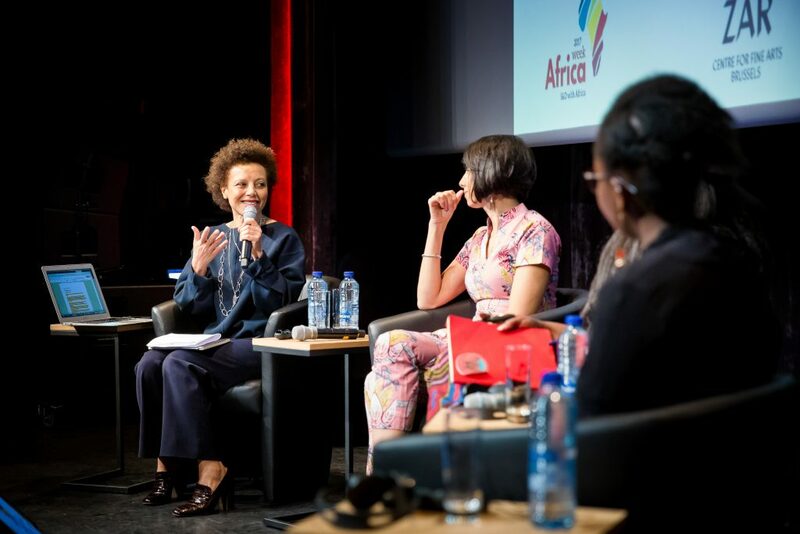 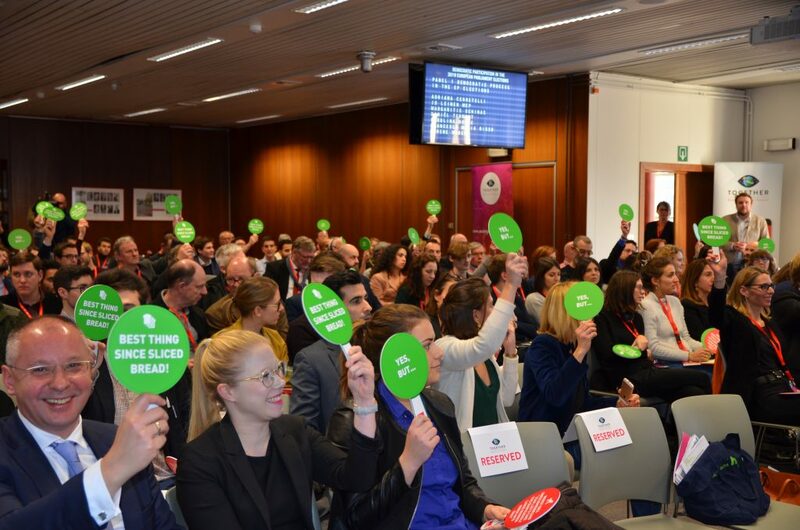 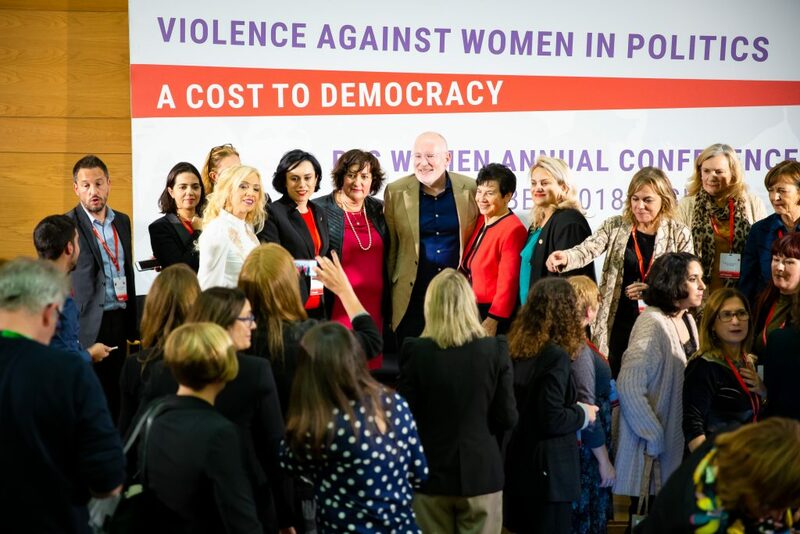 Event “All women, all rights”, organized by progressive sister parties in Brussels. 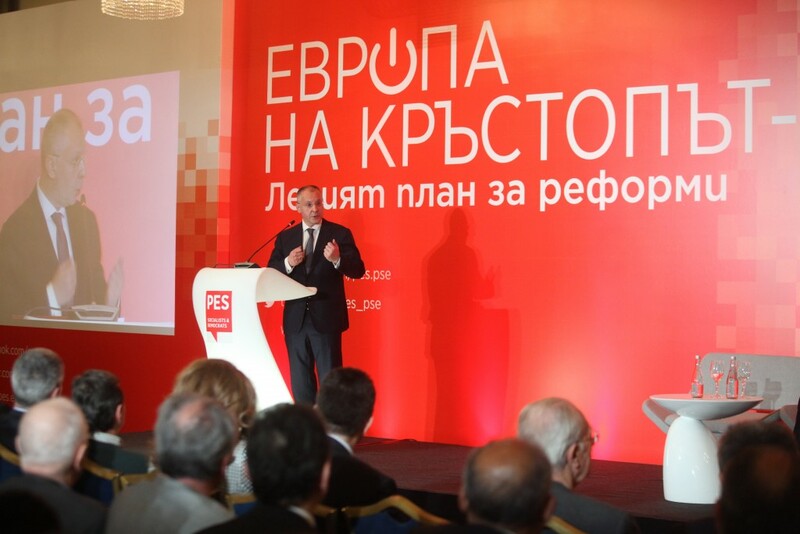 Conference “Dotting the ‘i’s and Crossing the ‘t’s: Securing Fundamentals for a Future Democratic Macedonia” held in Skopje. 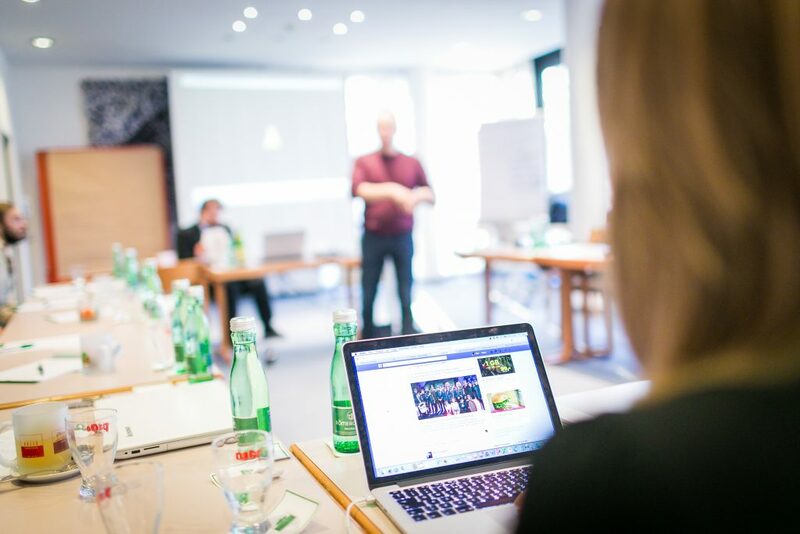 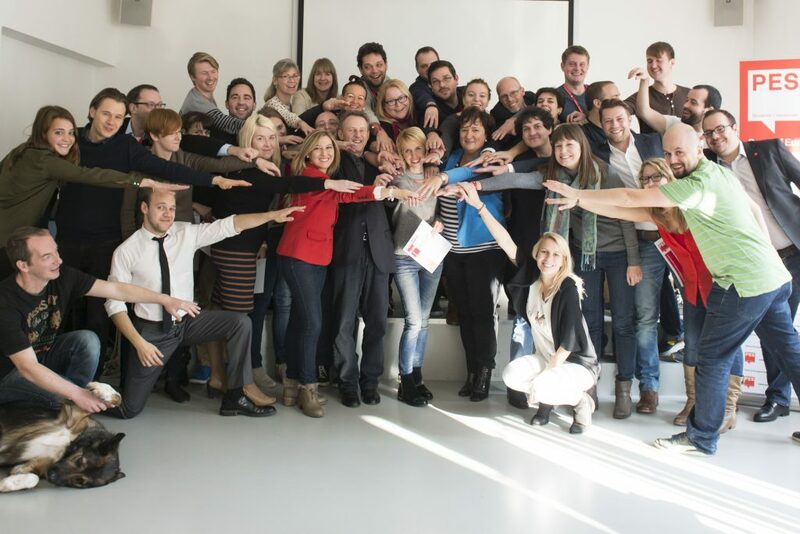 PES Training Academy in Vienna from the 2nd to the 6th of December, 2015. 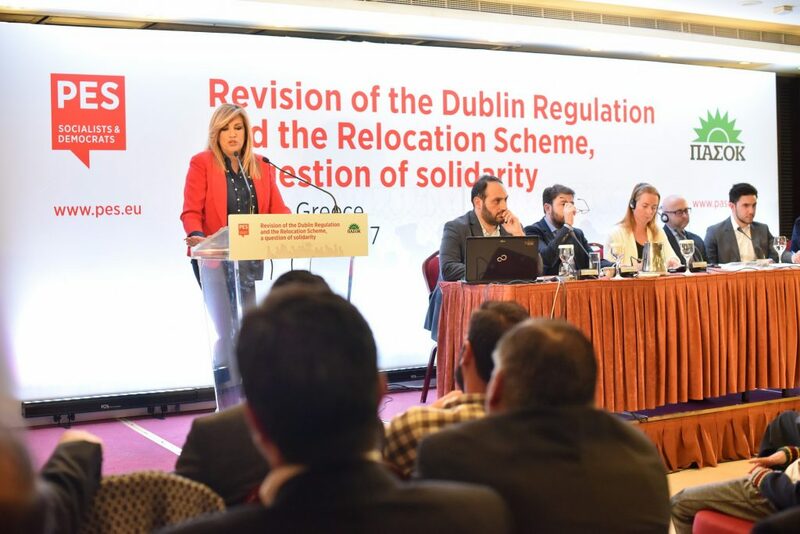 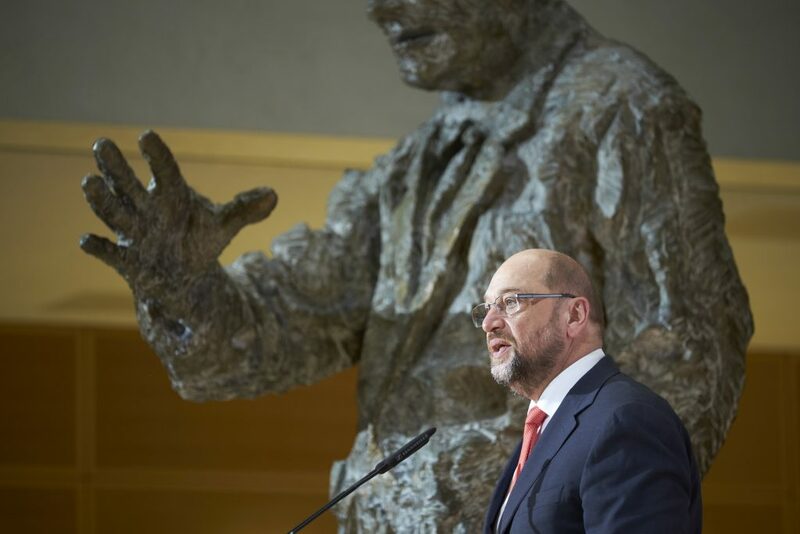 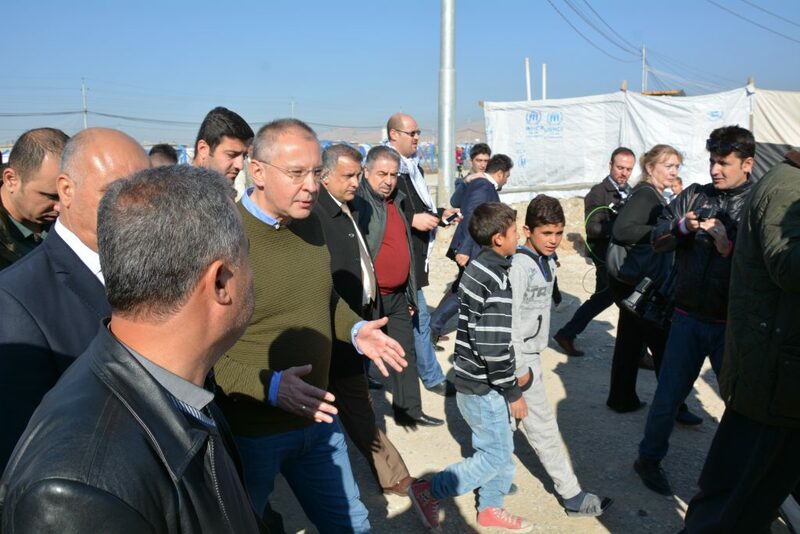 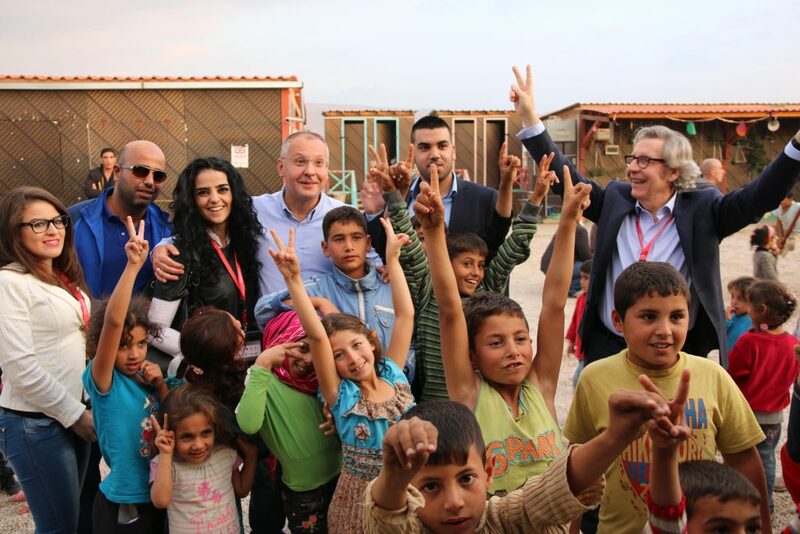 Refugee crisis – all must take their responsibility. 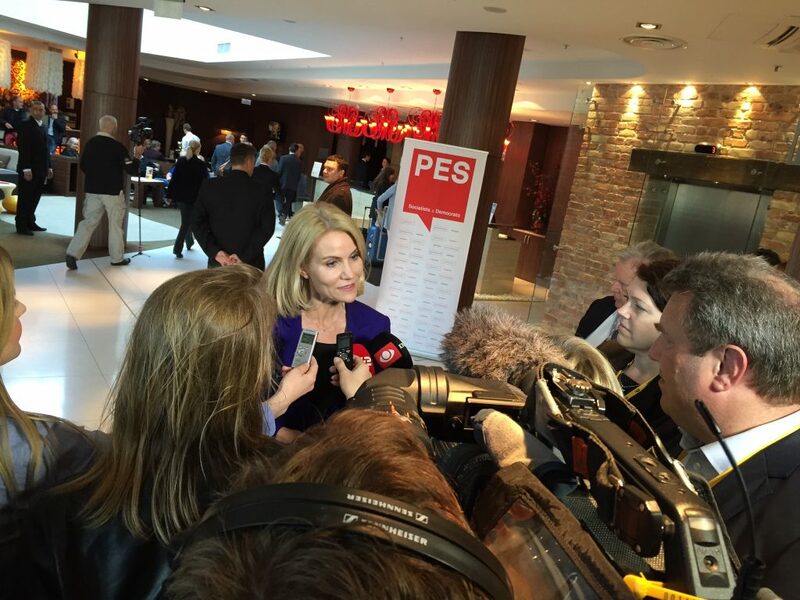 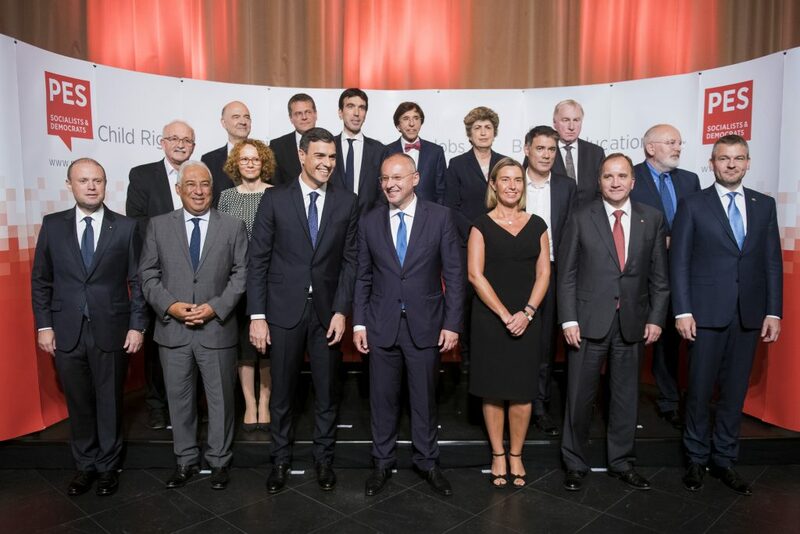 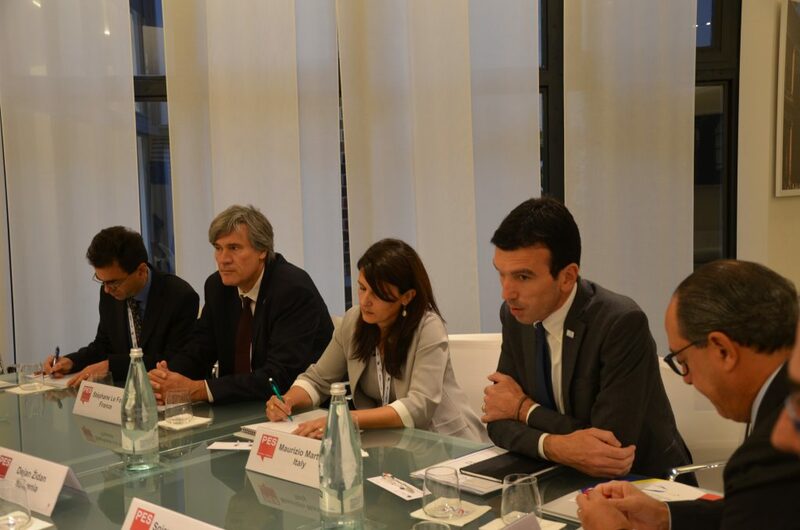 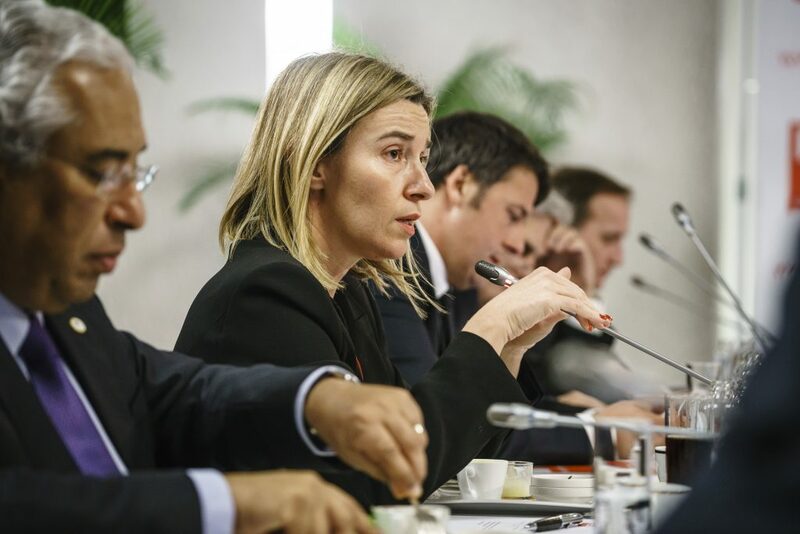 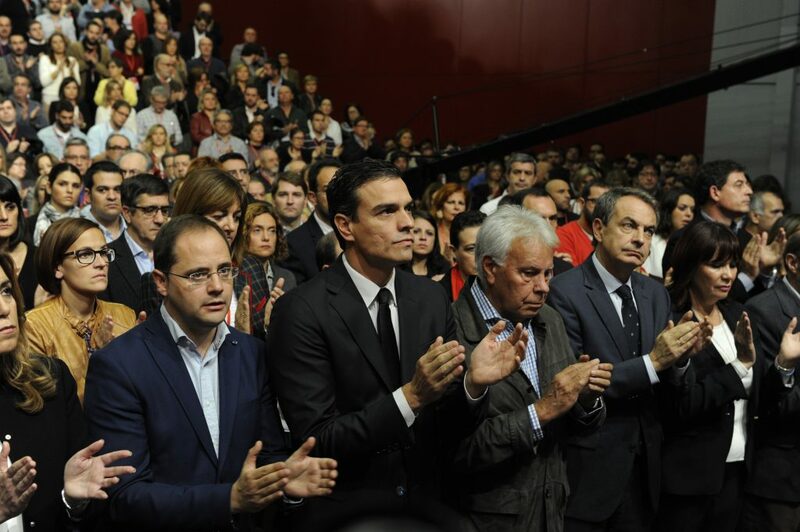 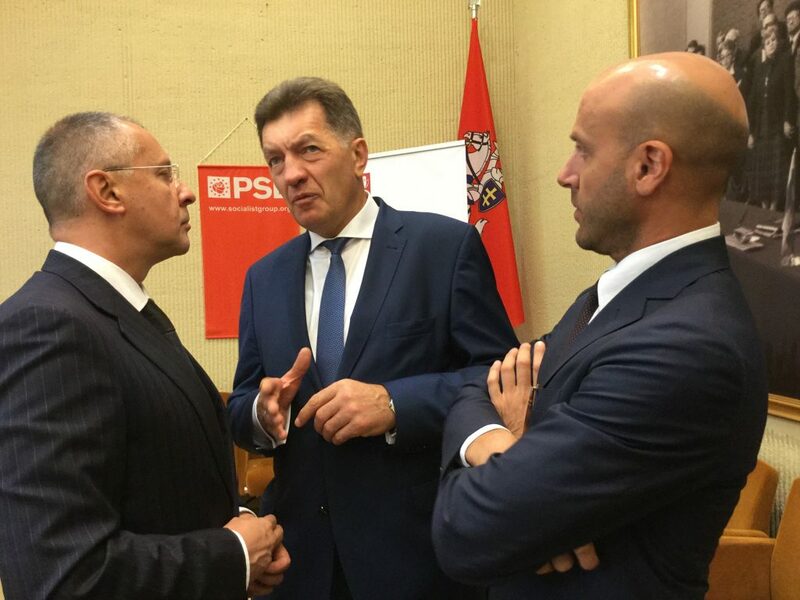 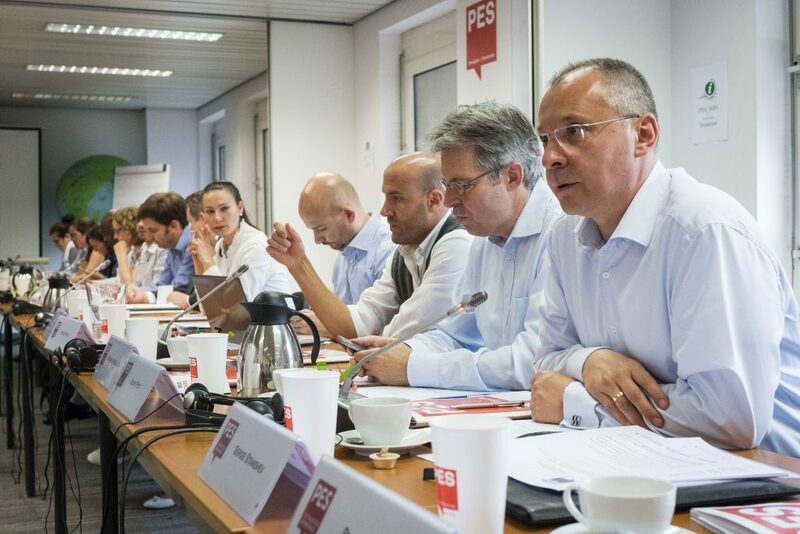 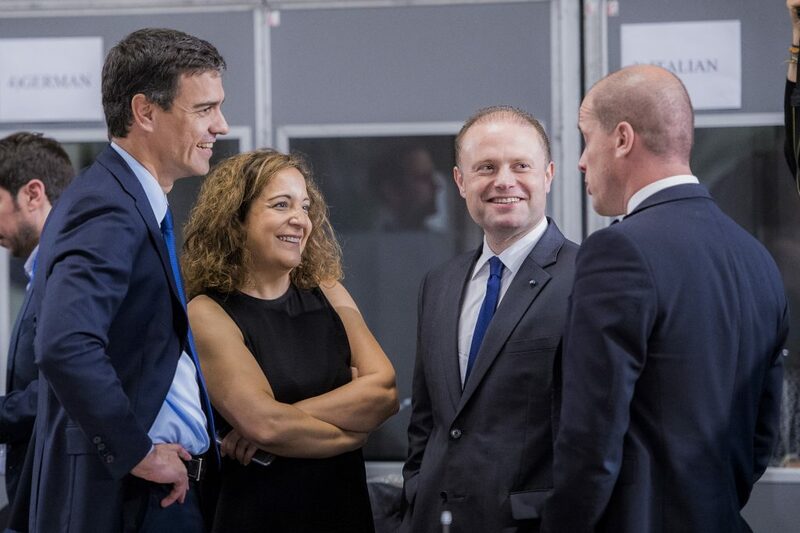 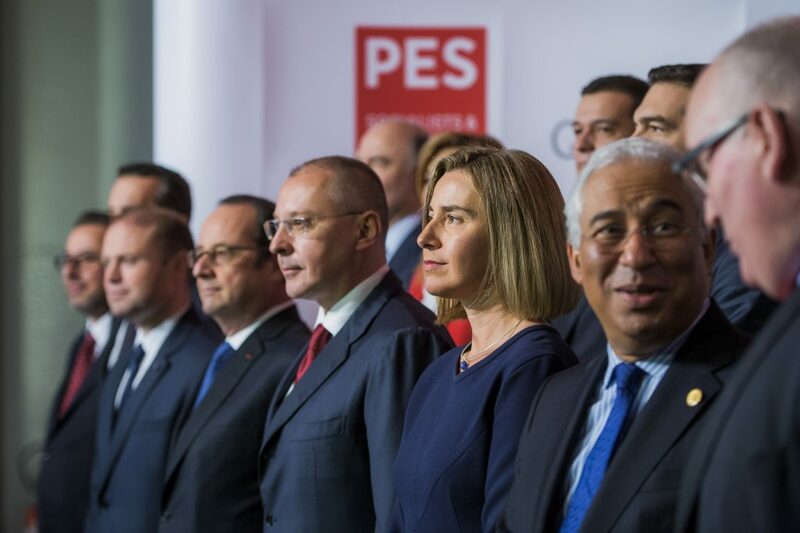 PES Prime Ministers’ pre-Council meeting on the 23rd of September 2015. 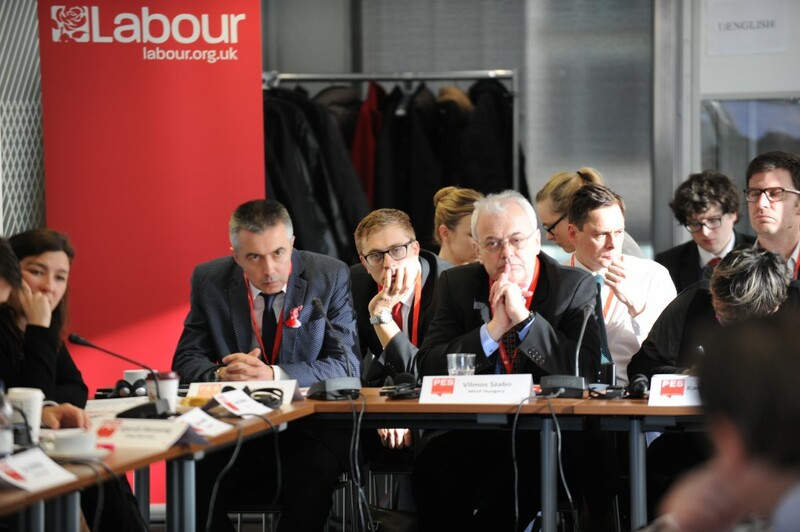 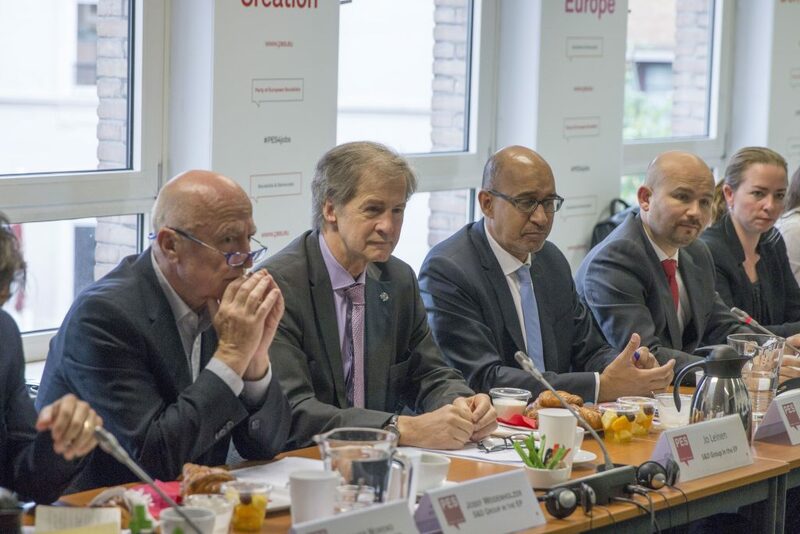 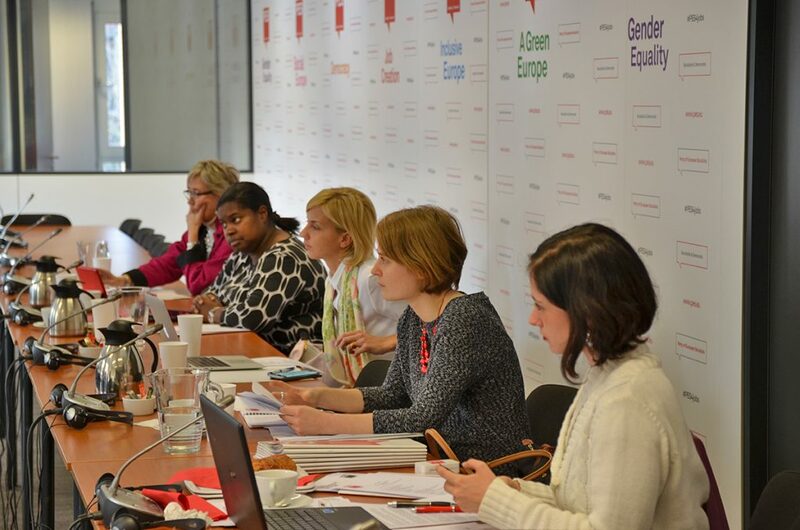 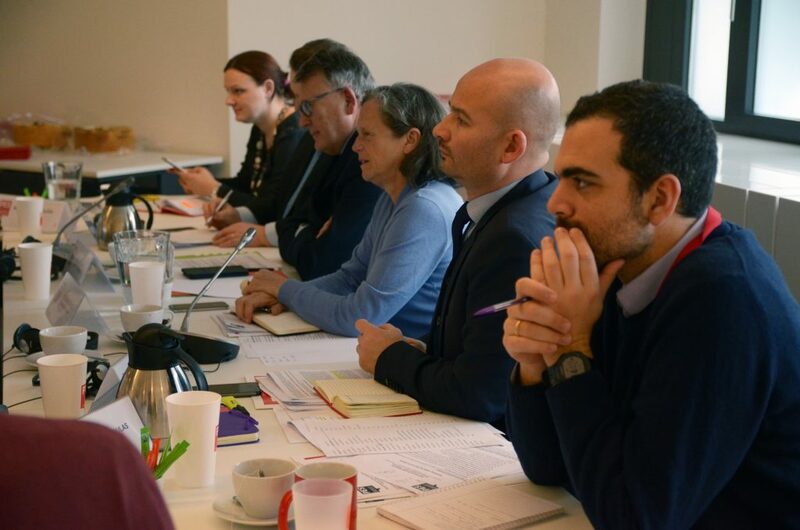 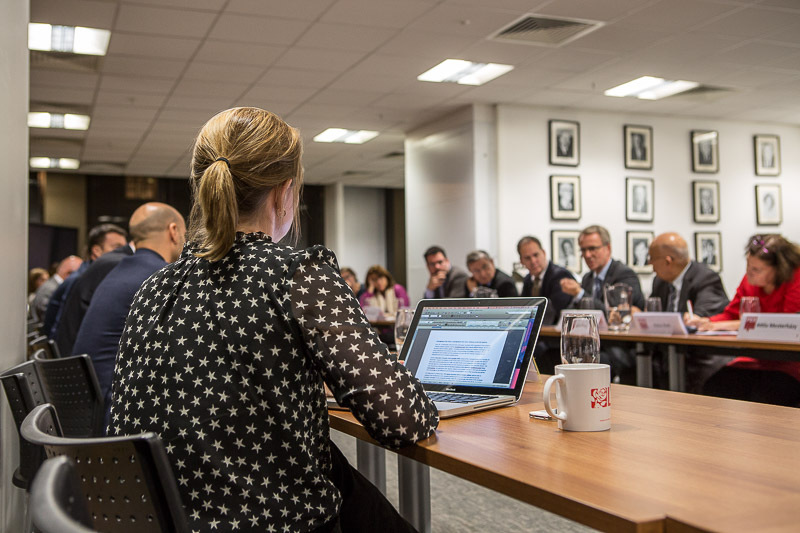 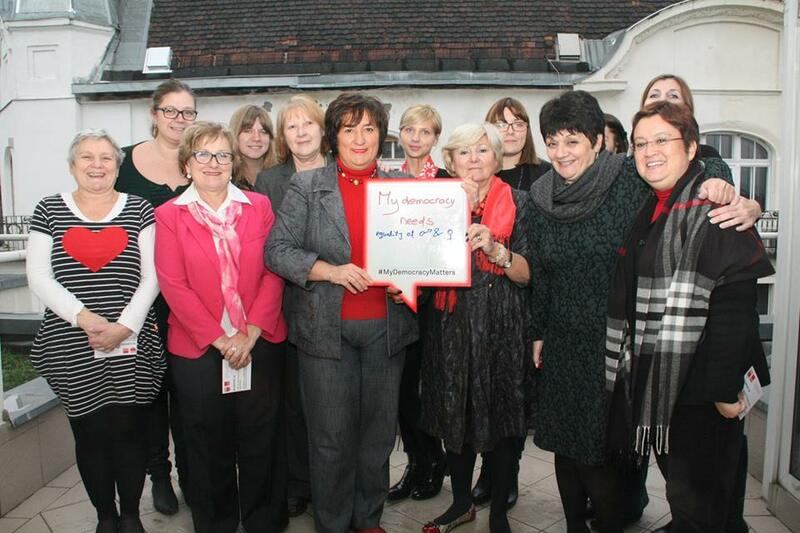 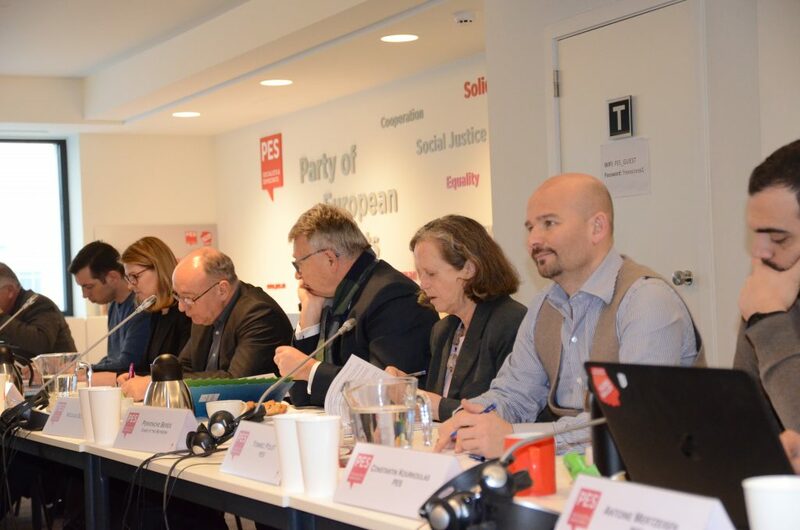 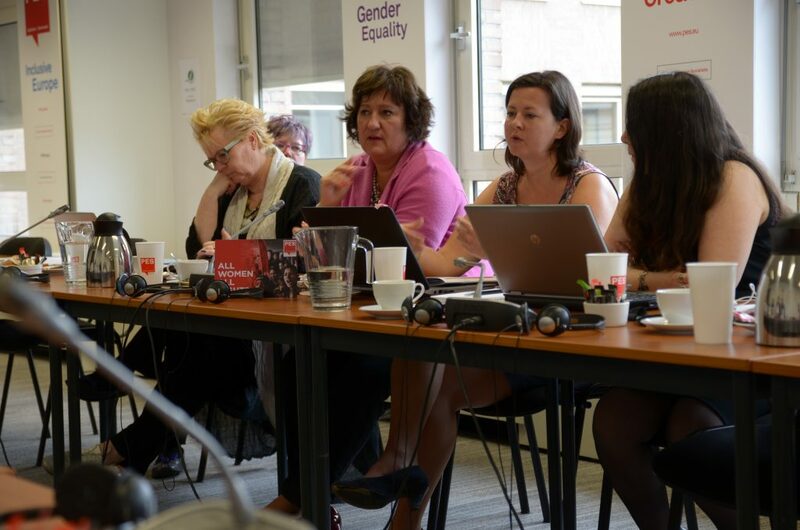 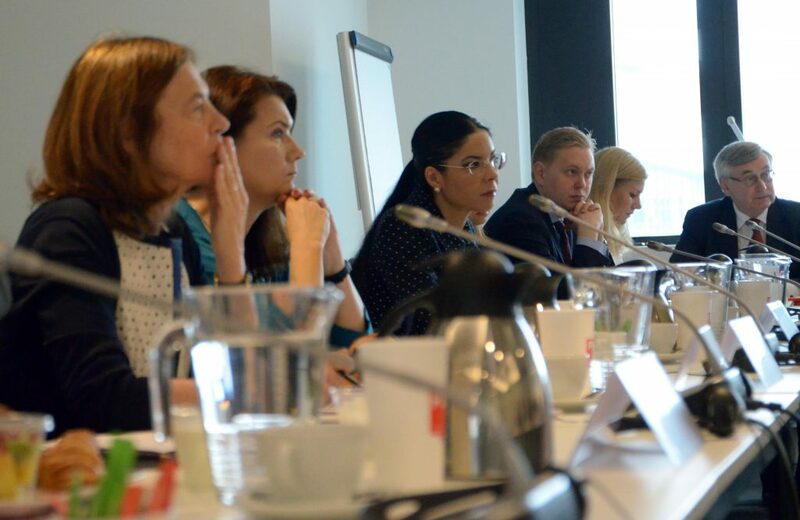 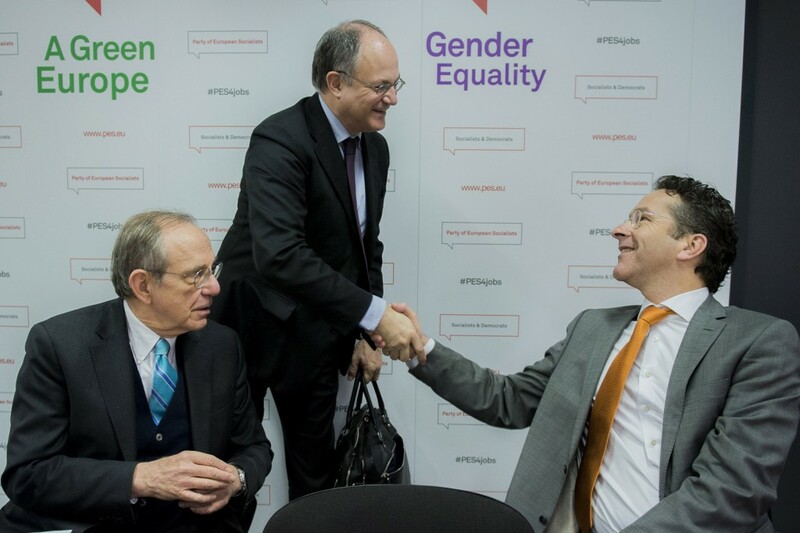 PES members gathered yesterday in London for a meeting to discuss the sustainable development goals. 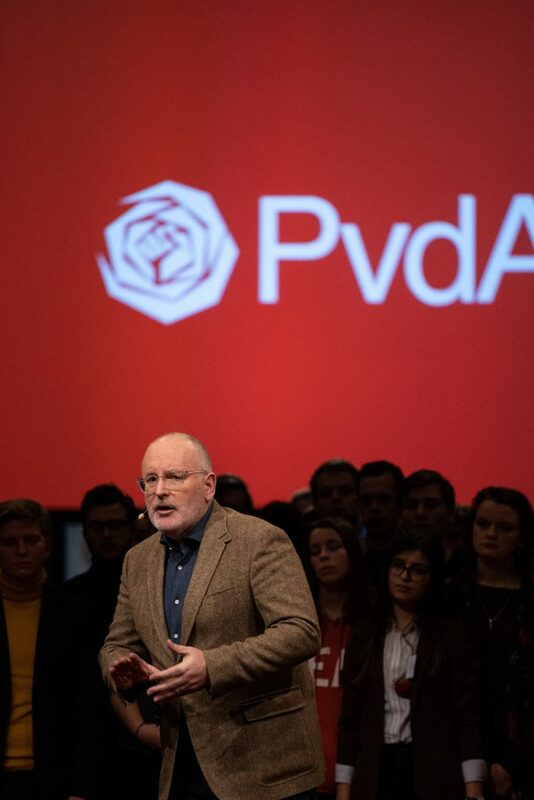 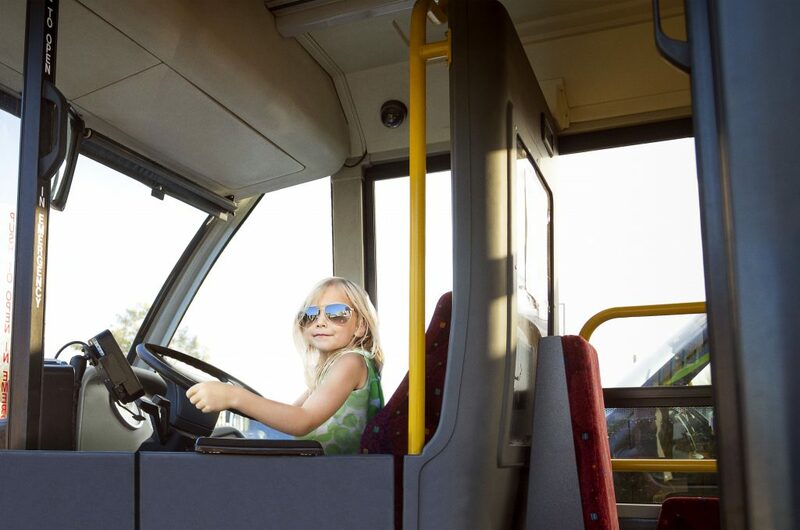 For more information check here. 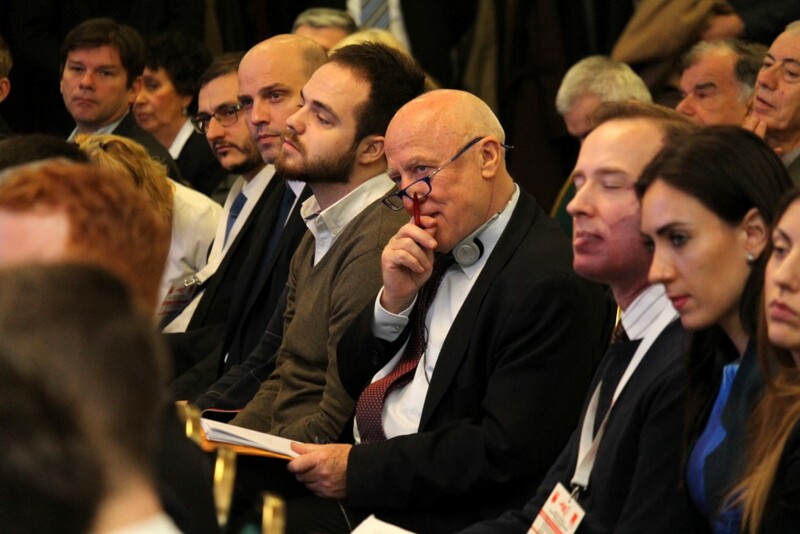 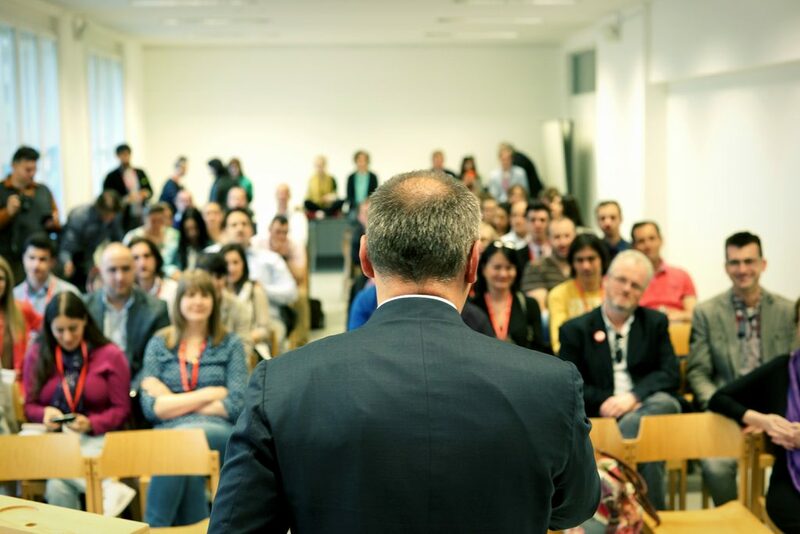 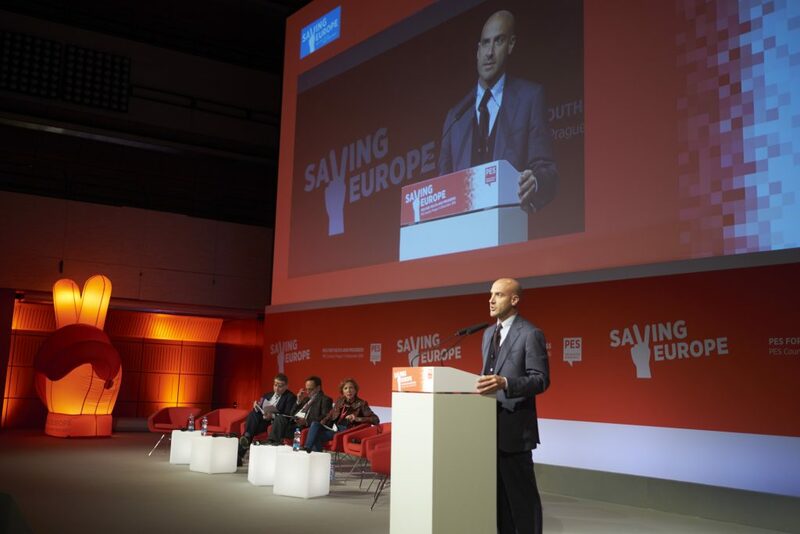 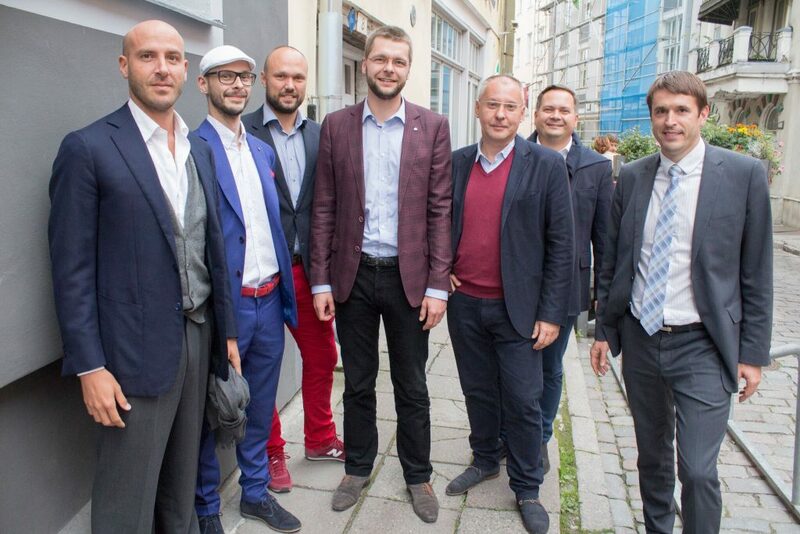 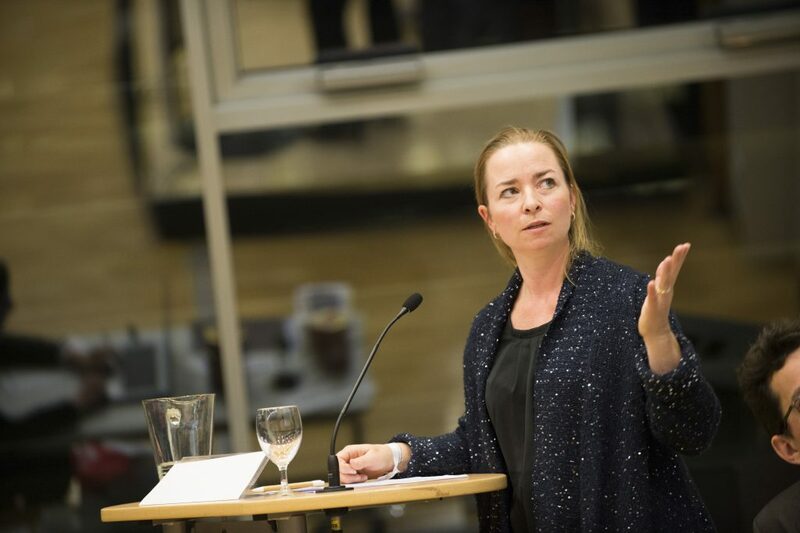 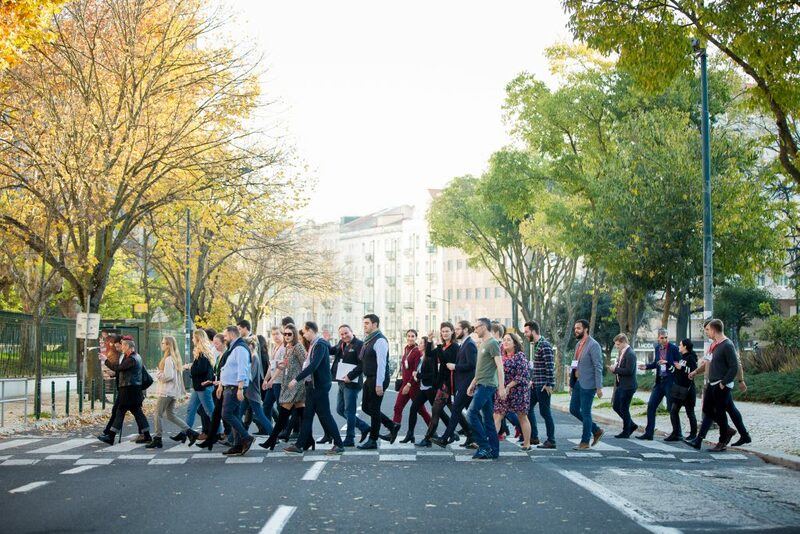 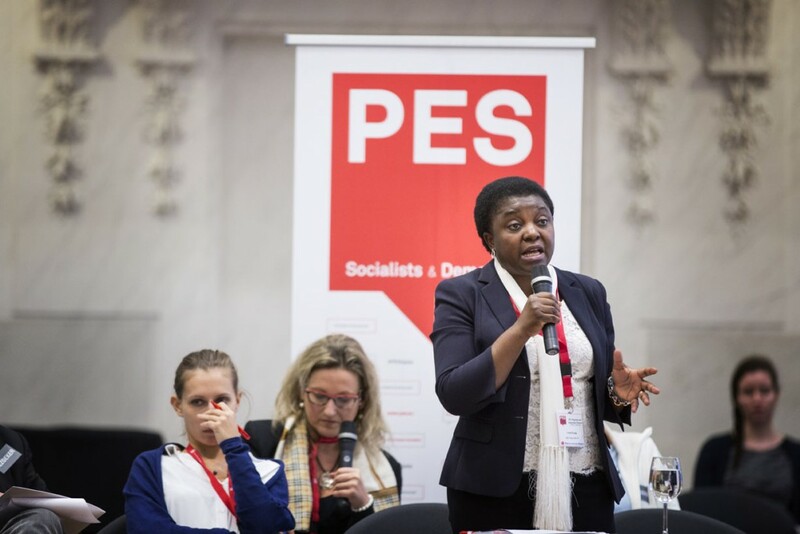 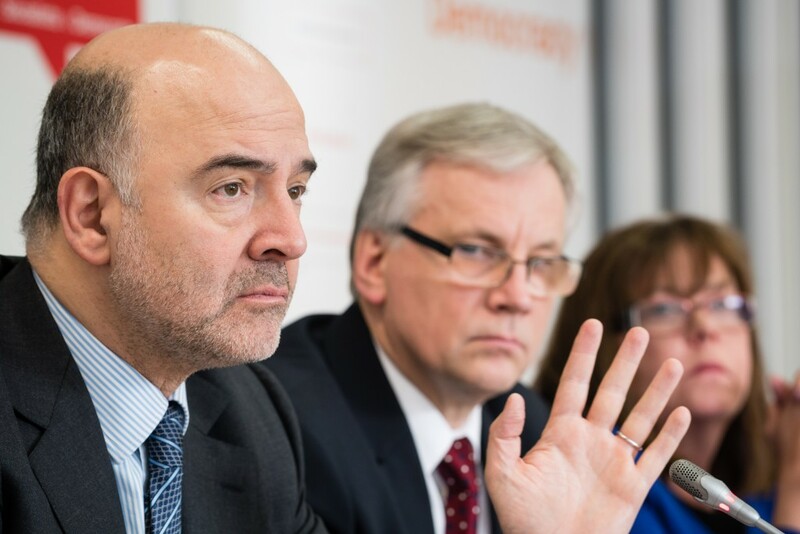 EU POLICIES AGAINST AUSTERITY, RACISM AND EXTREMISM Conference held in Prague from the 15th to the 17th of November 2014.